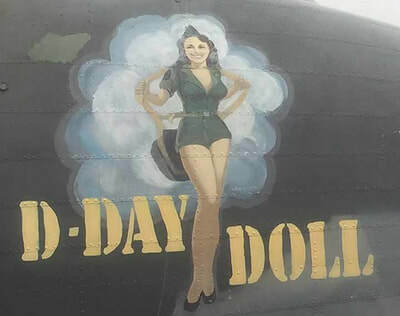 This sign is the logo for the event and is available on a limited basis. 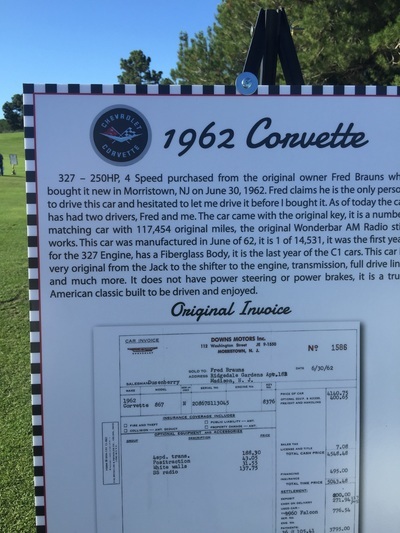 The sign measures 16" tall by 12" wide. 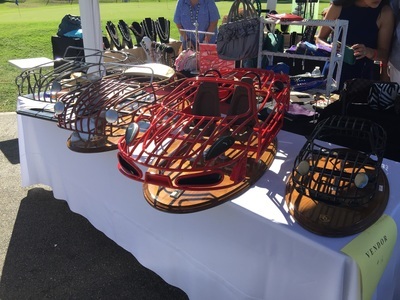 Thank you for supporting this program. 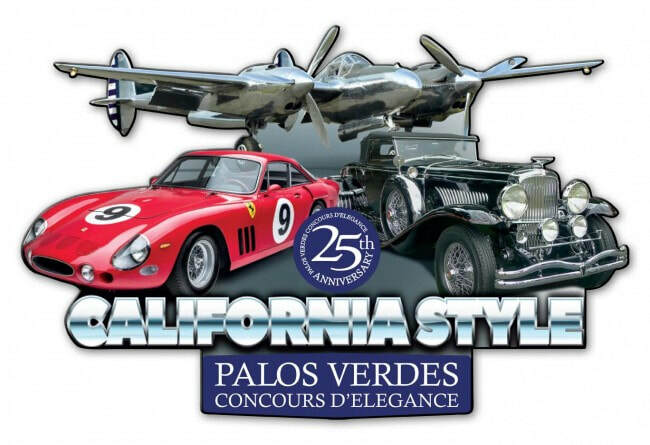 This is a custom plasma cut metal sign done for the Palos Verdes 2018 25 Year Anniversary Concours Event. 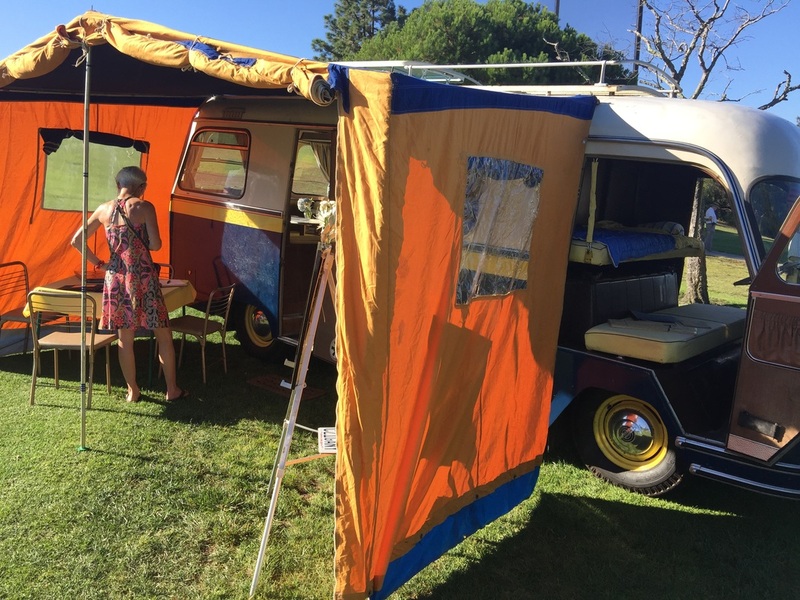 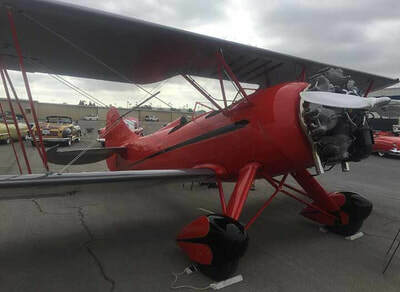 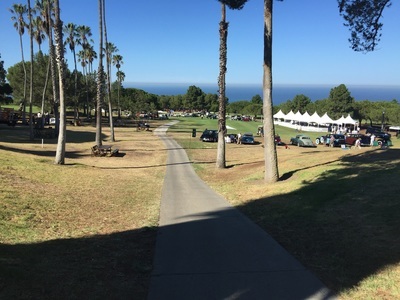 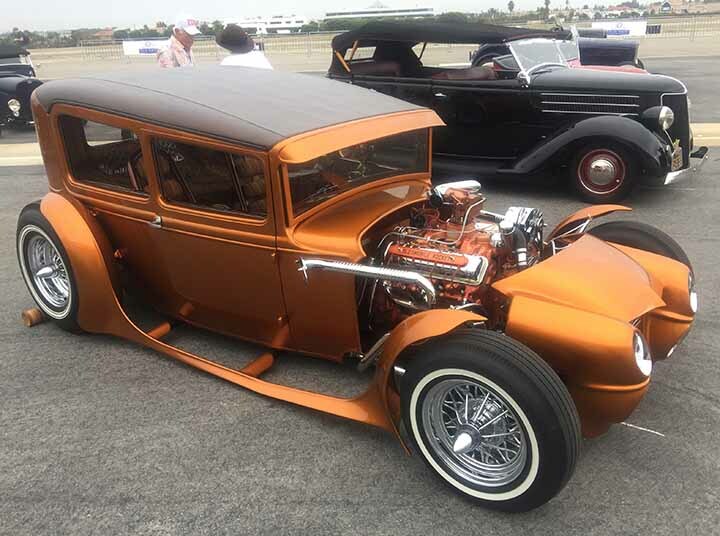 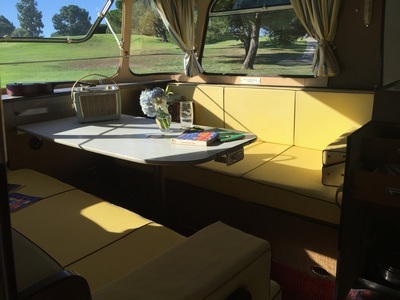 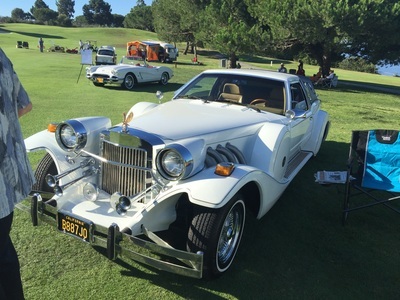 This event's theme was California Style. 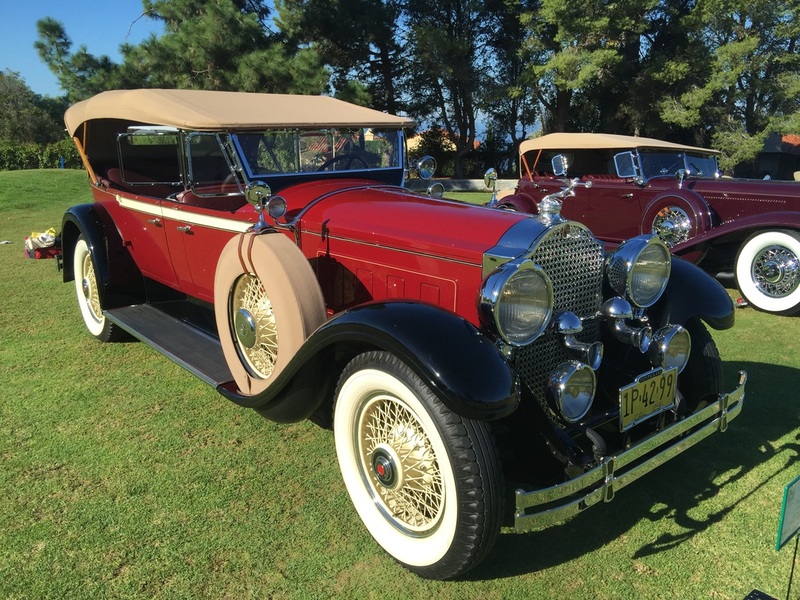 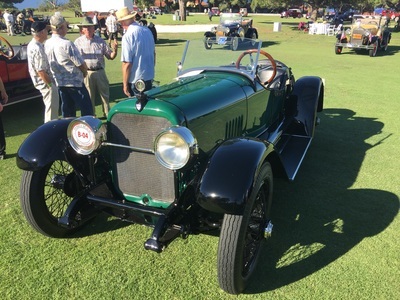 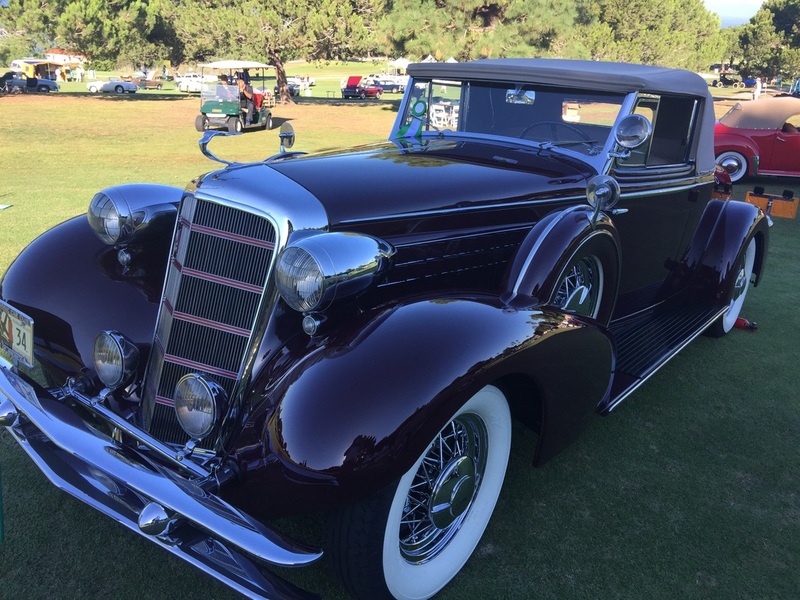 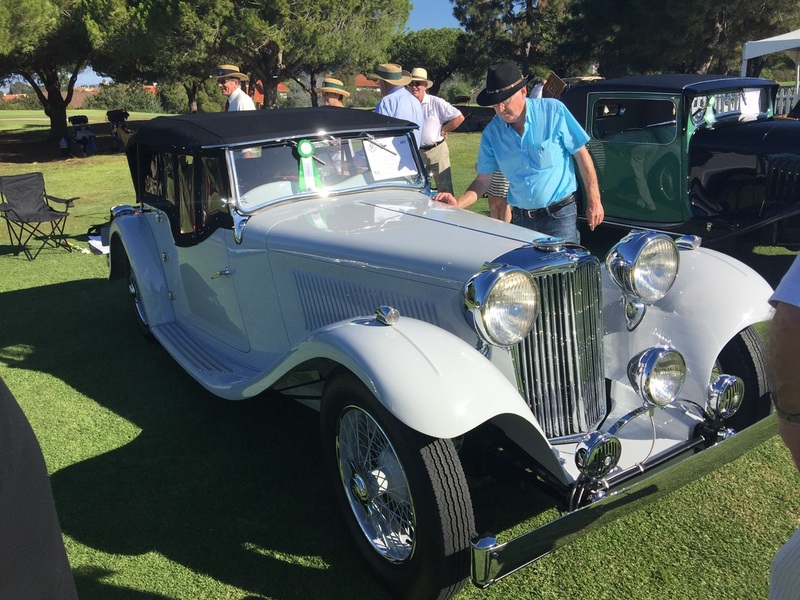 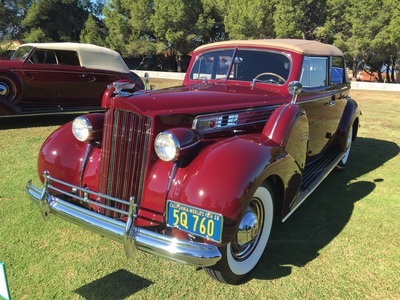 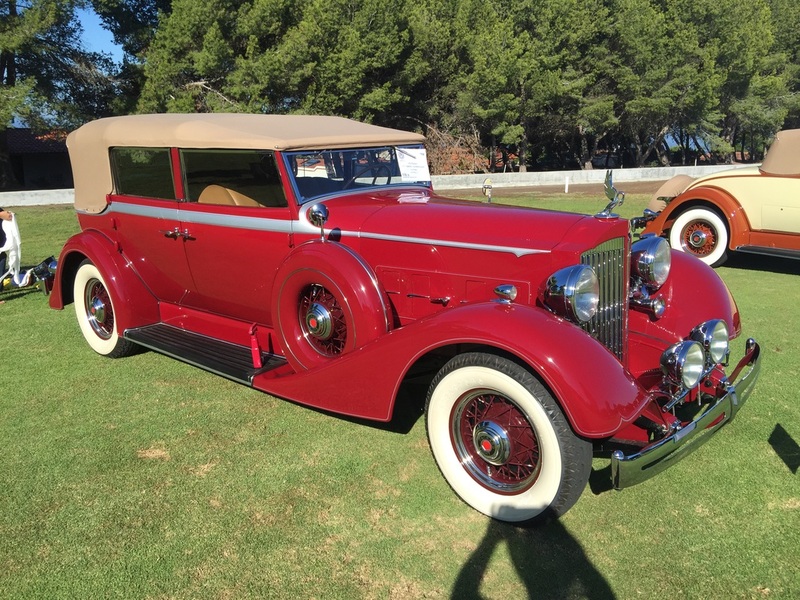 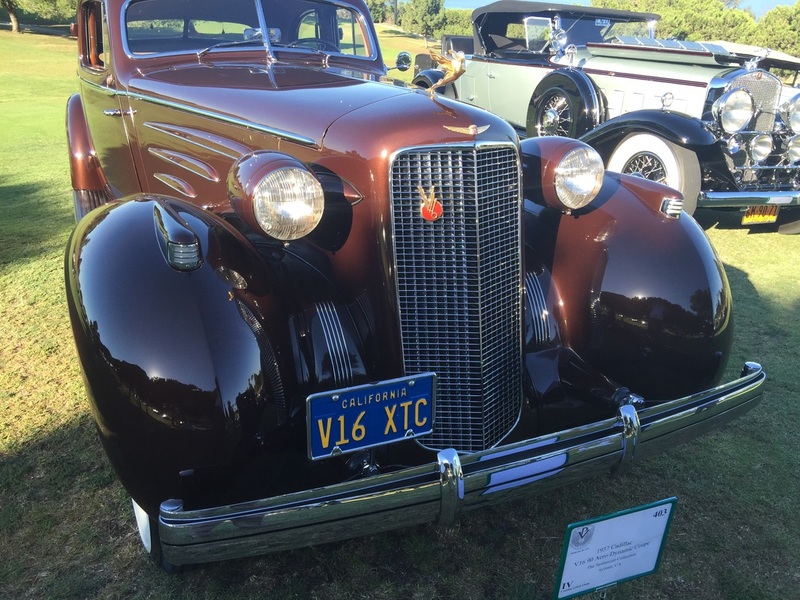 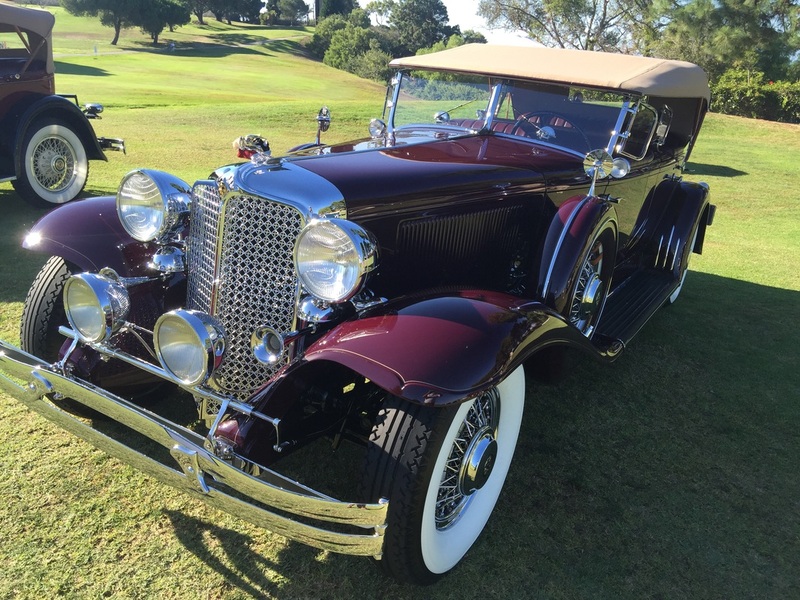 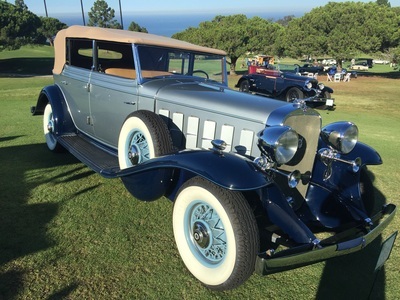 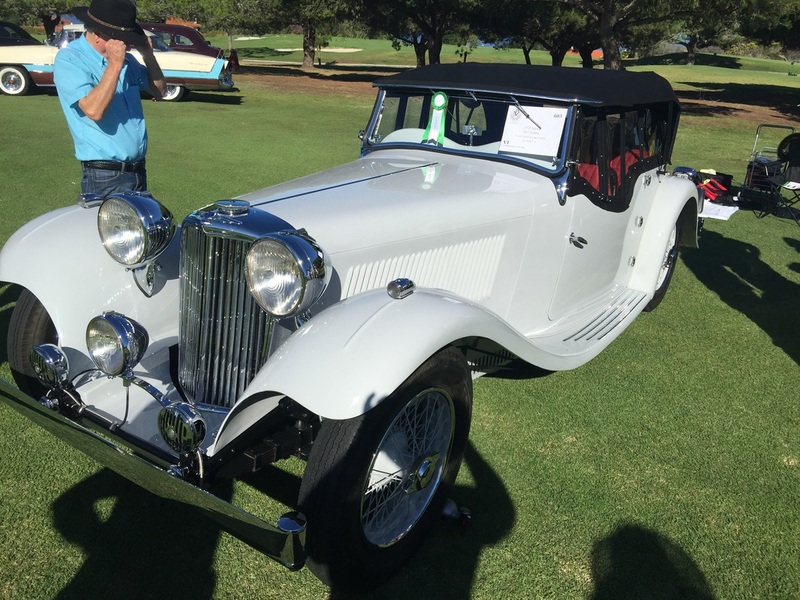 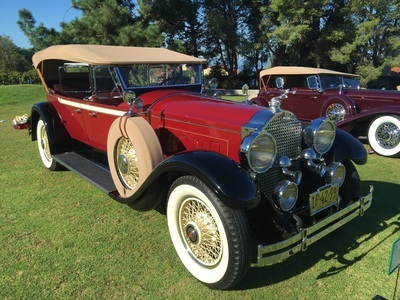 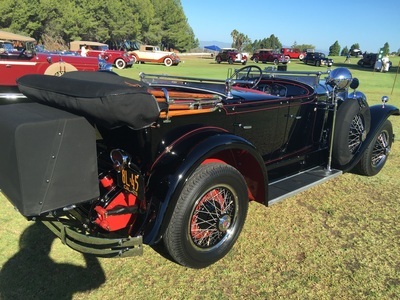 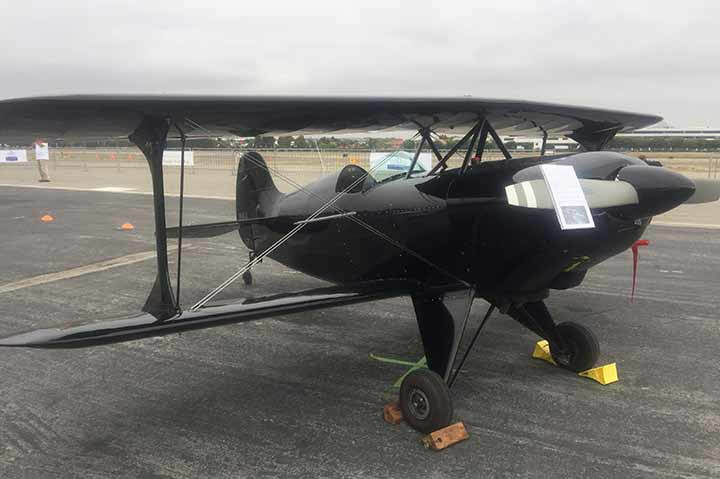 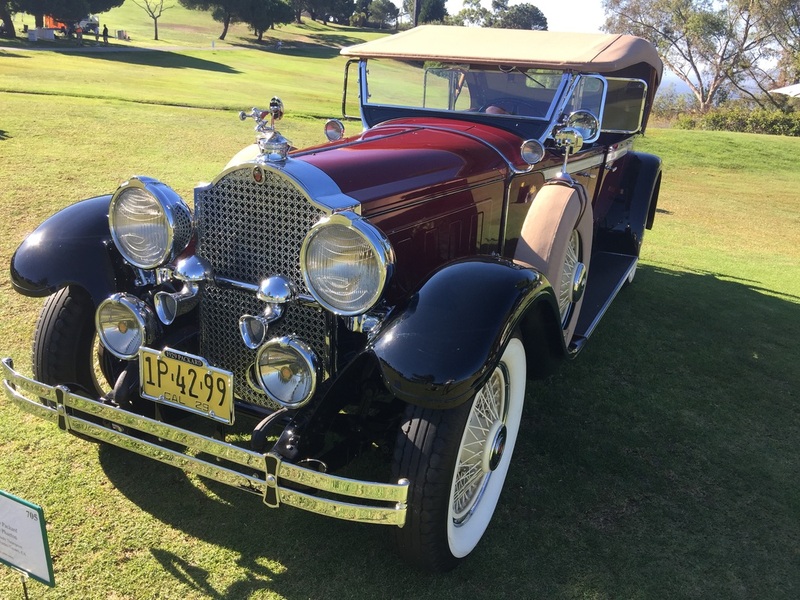 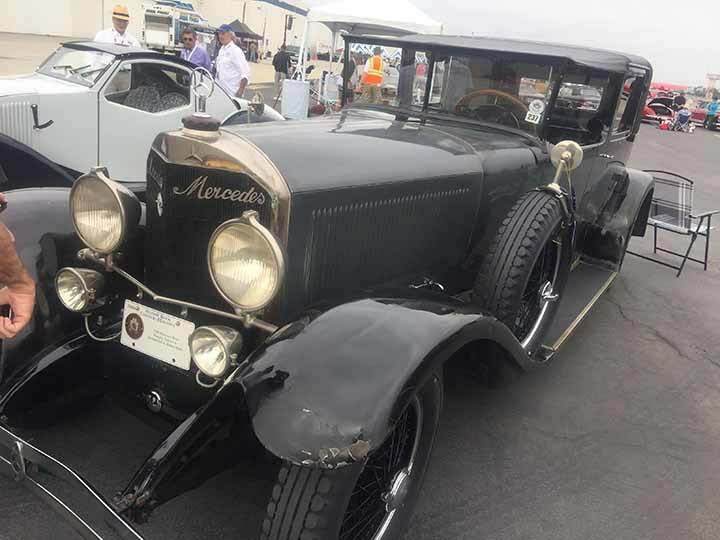 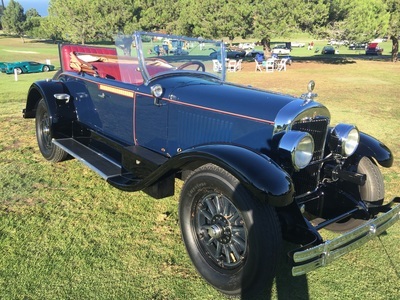 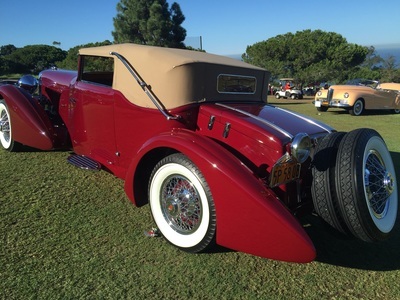 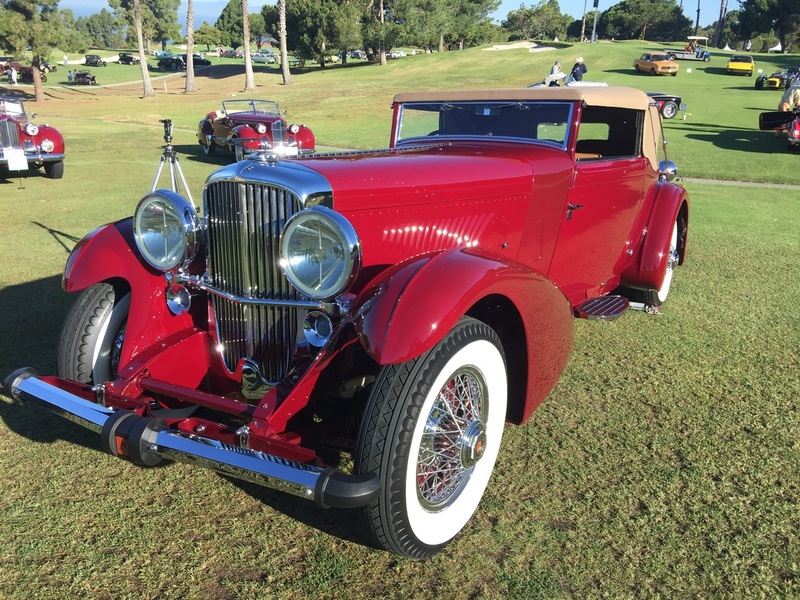 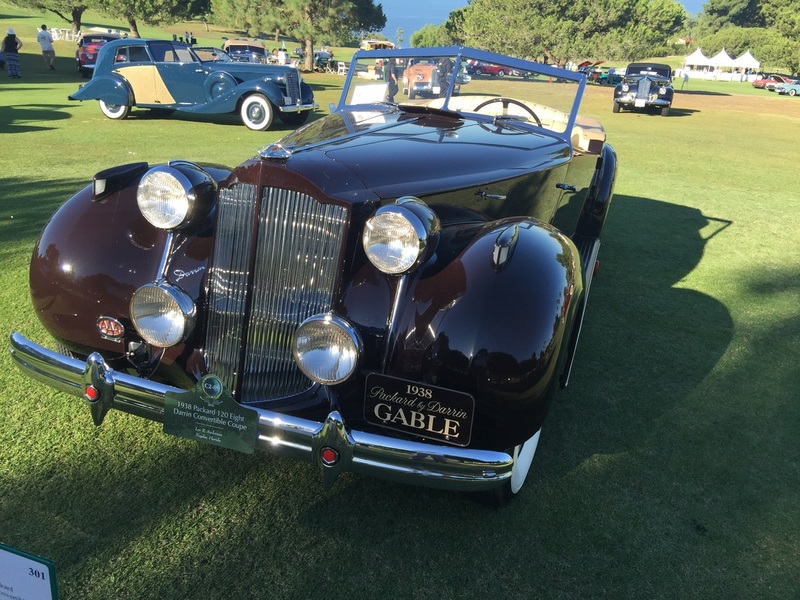 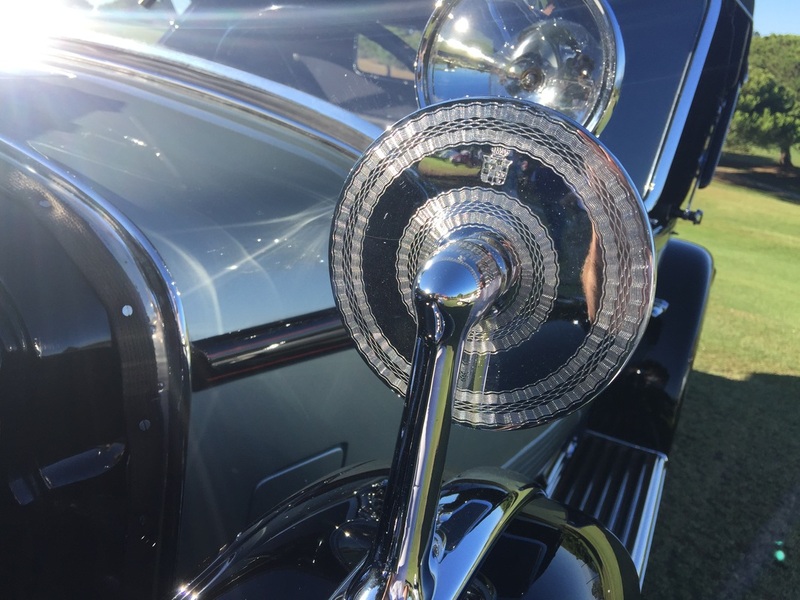 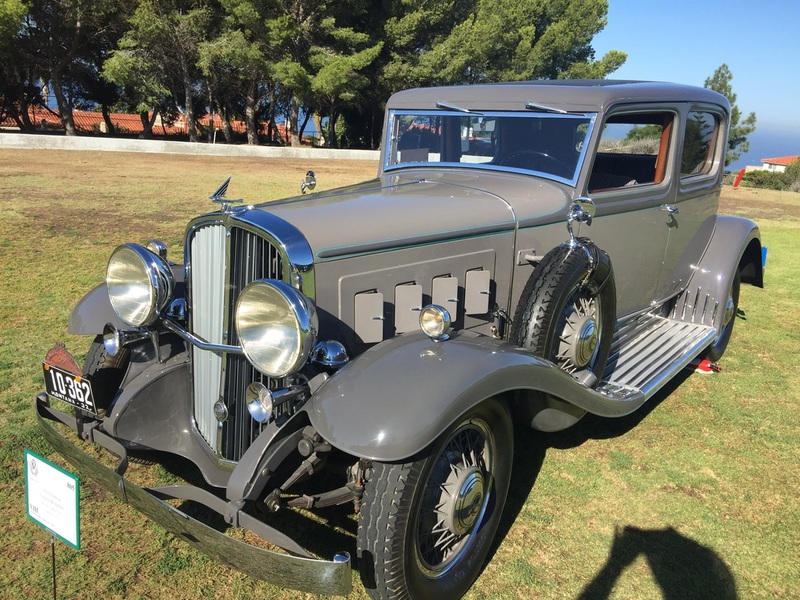 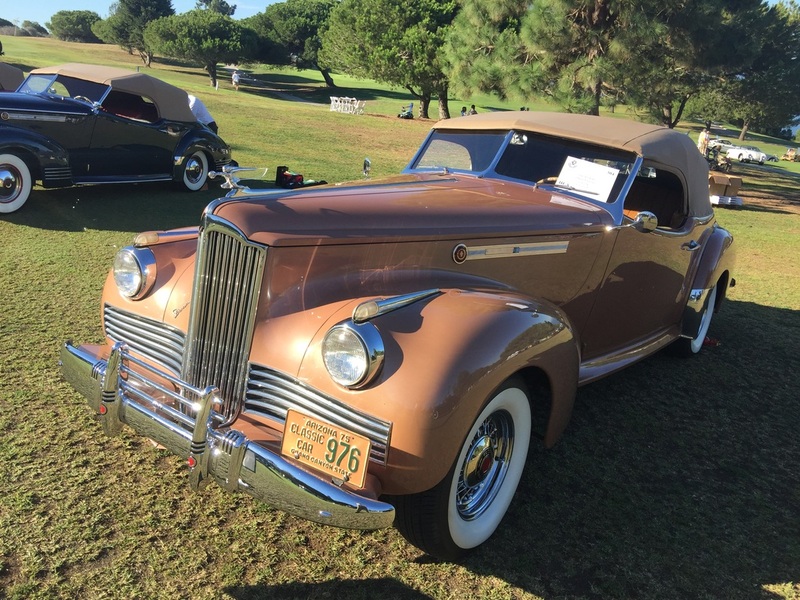 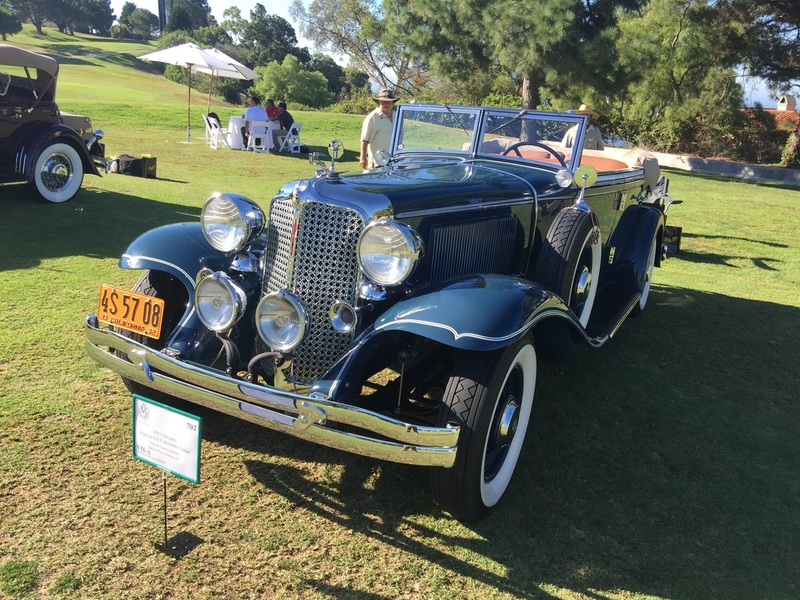 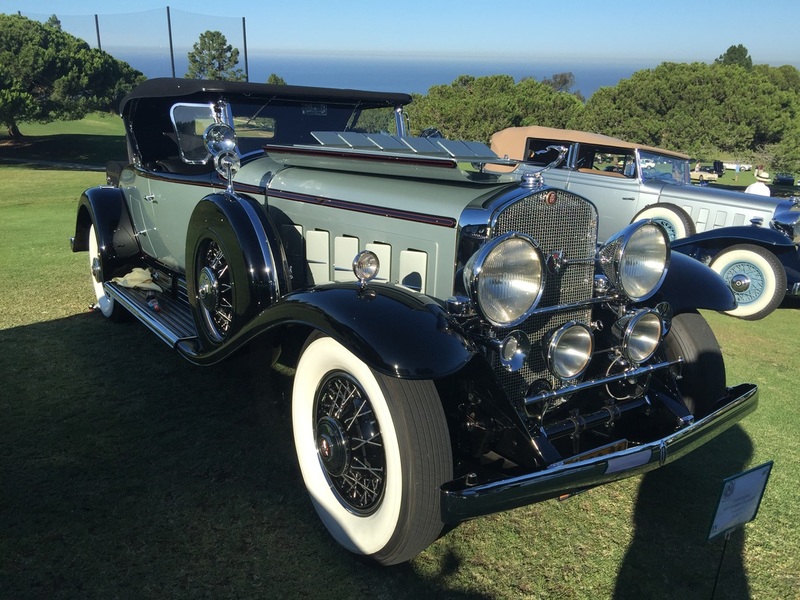 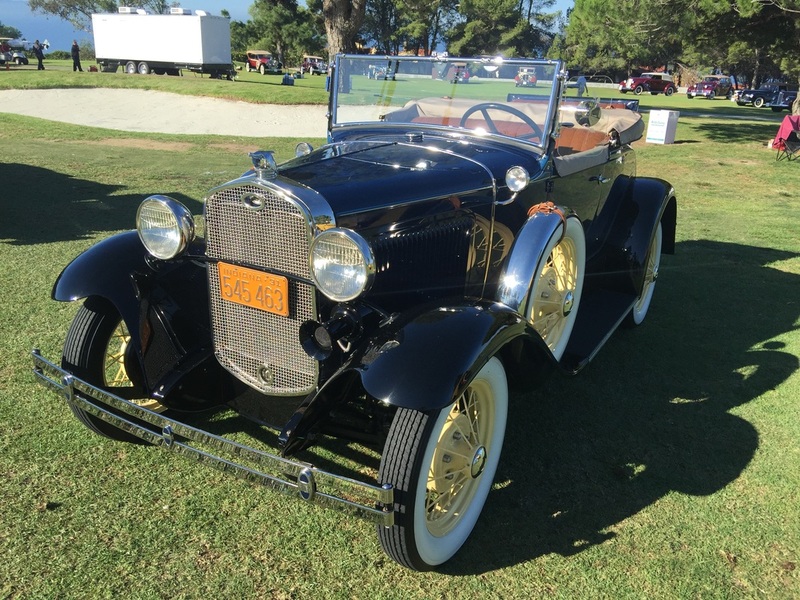 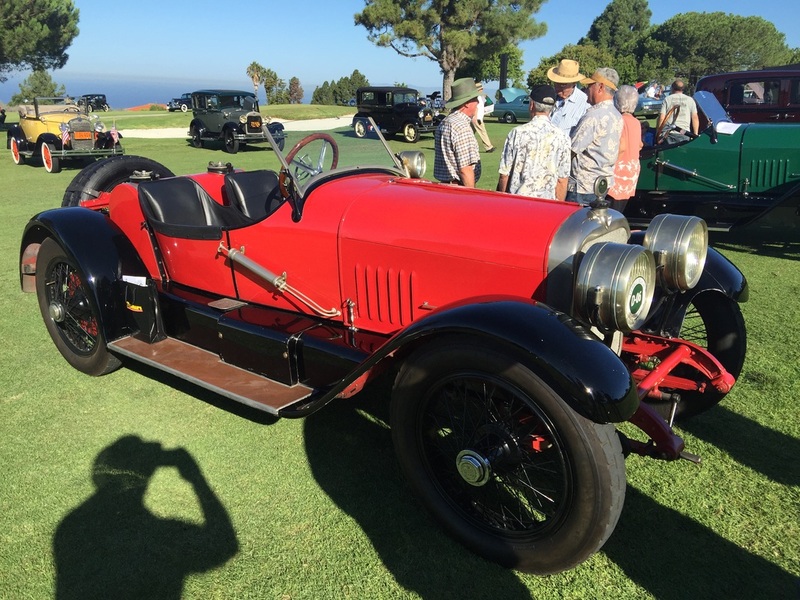 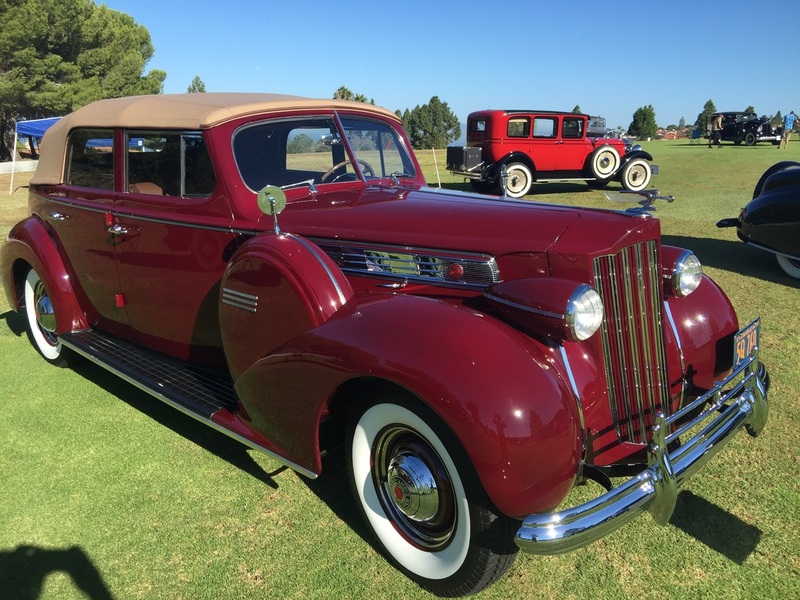 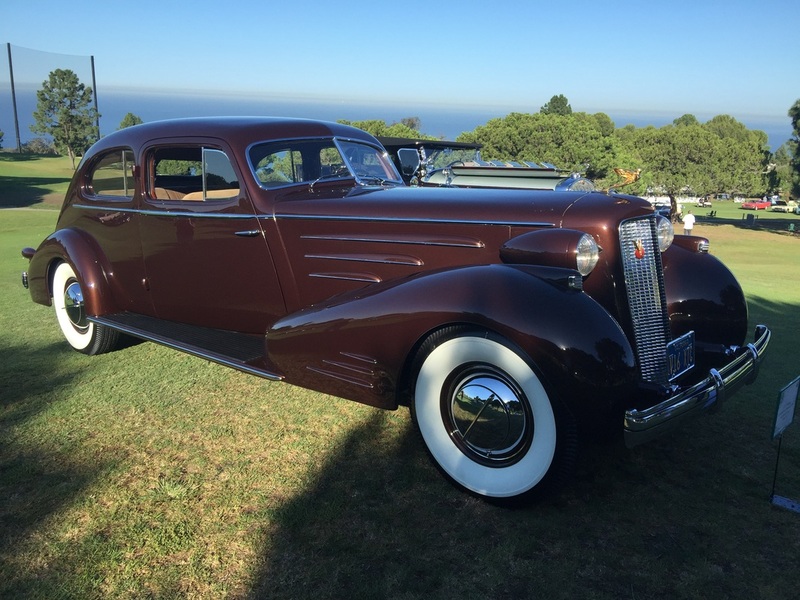 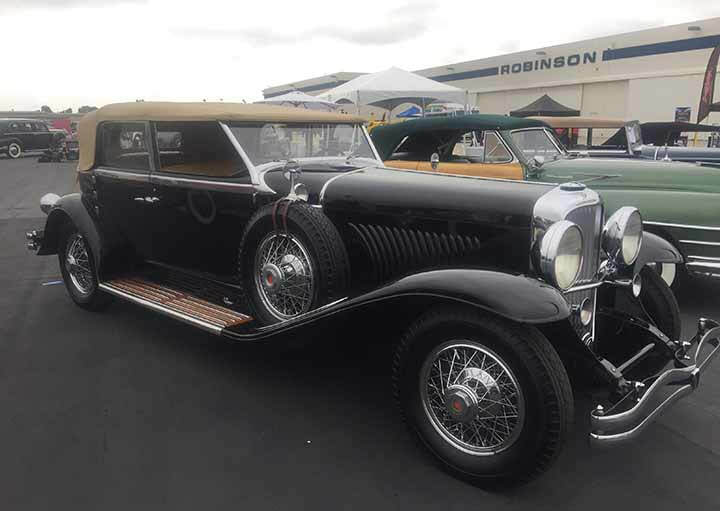 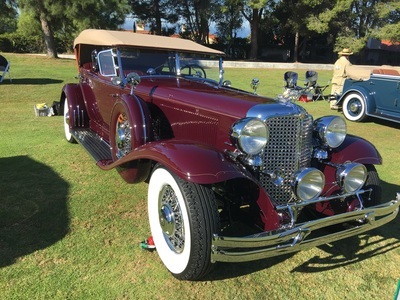 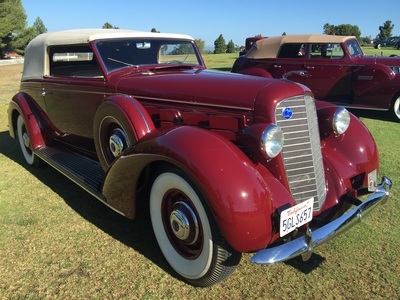 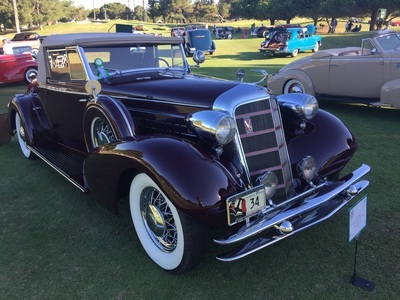 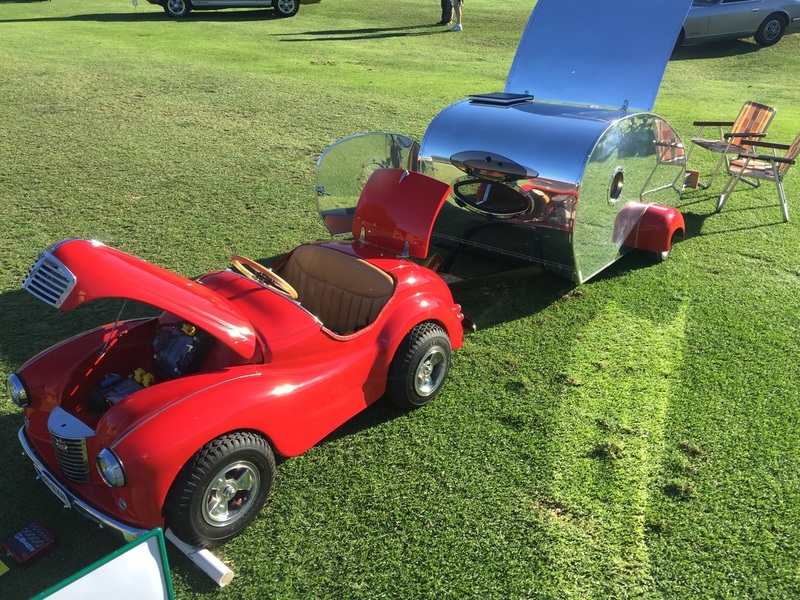 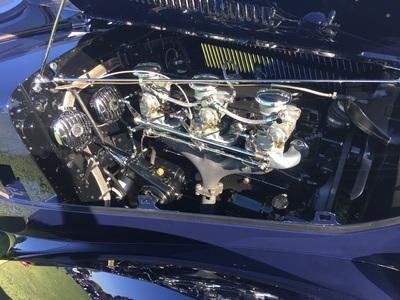 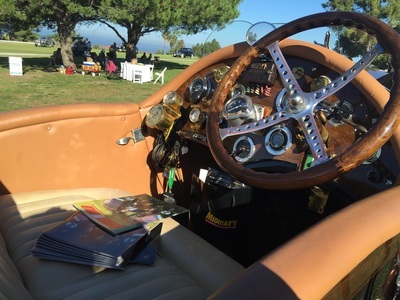 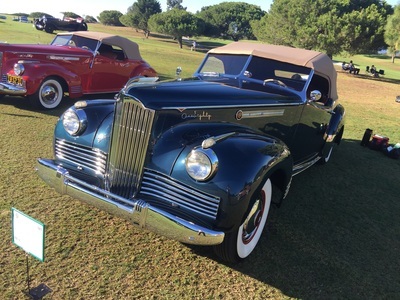 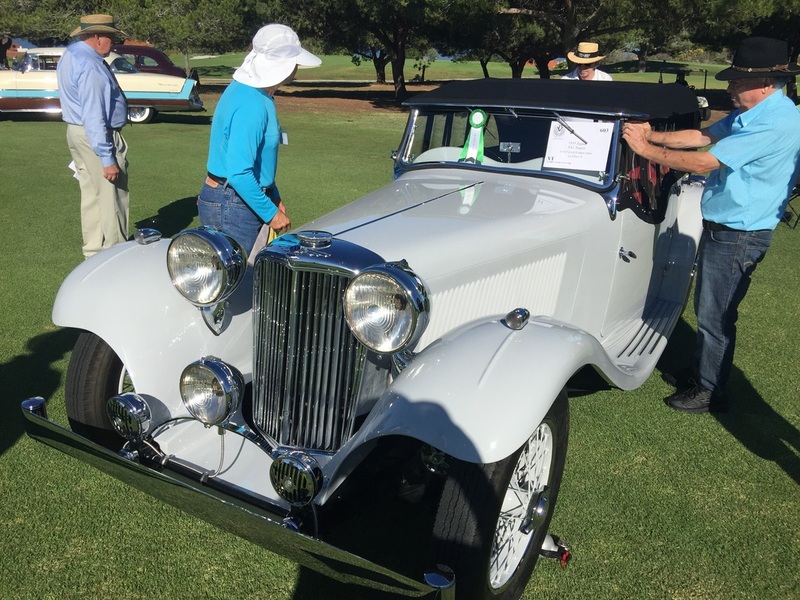 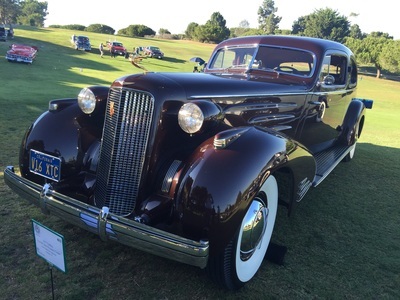 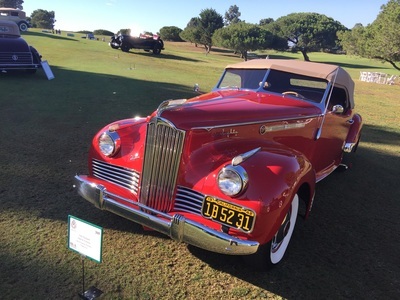 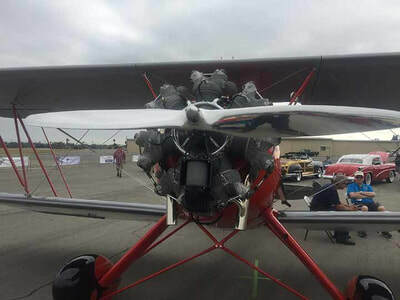 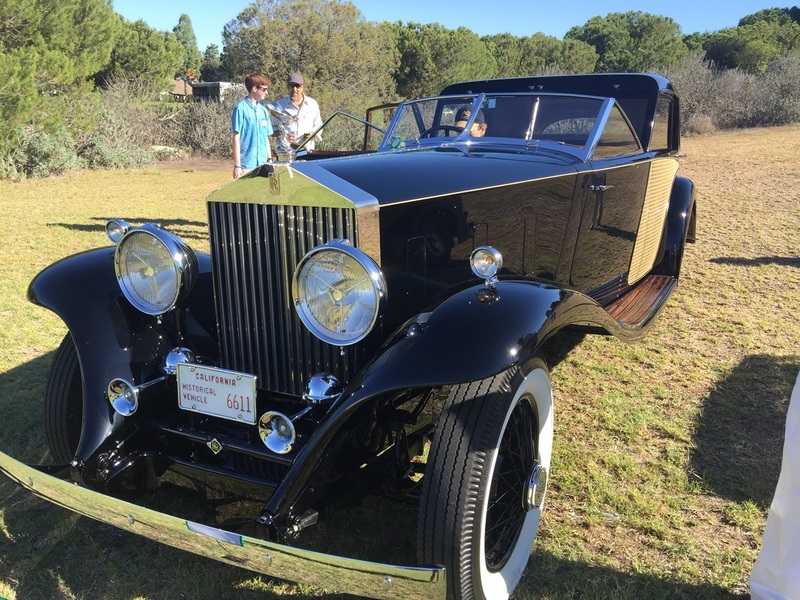 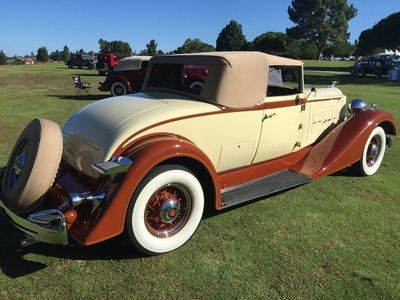 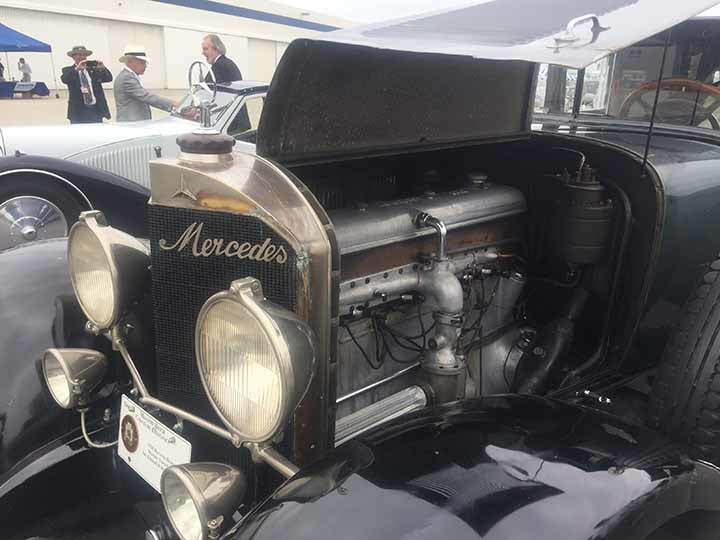 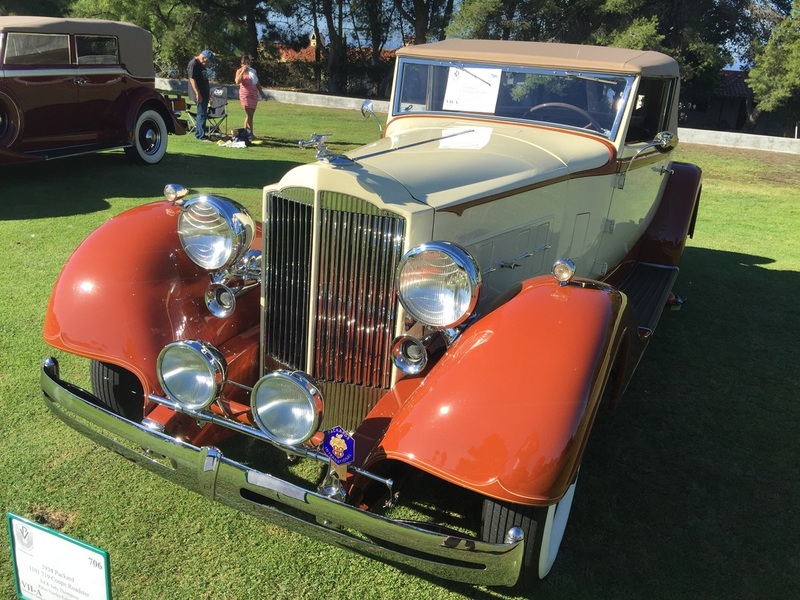 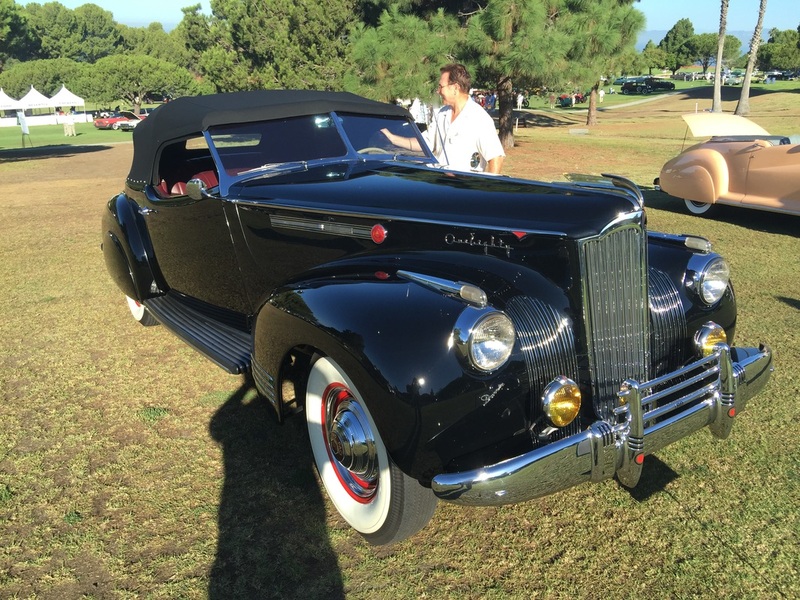 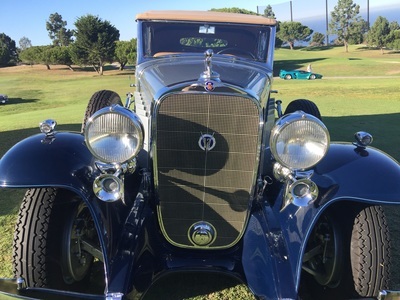 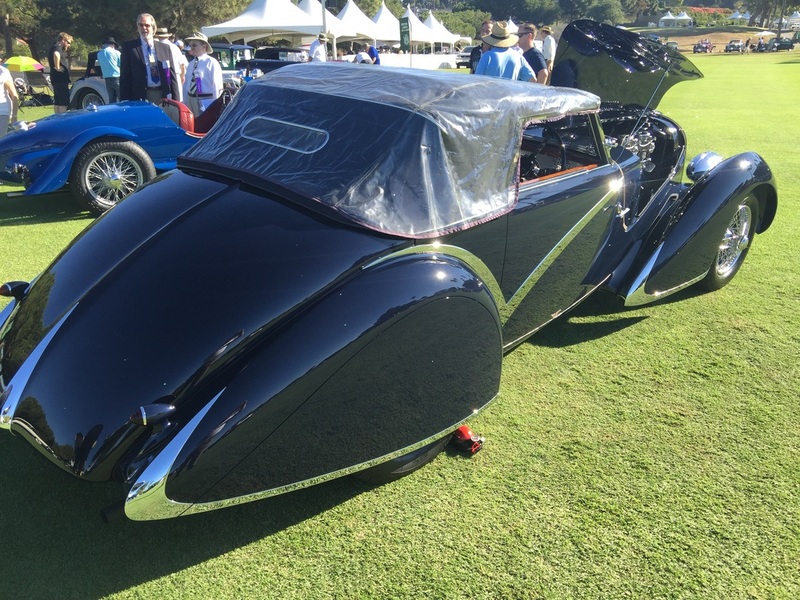 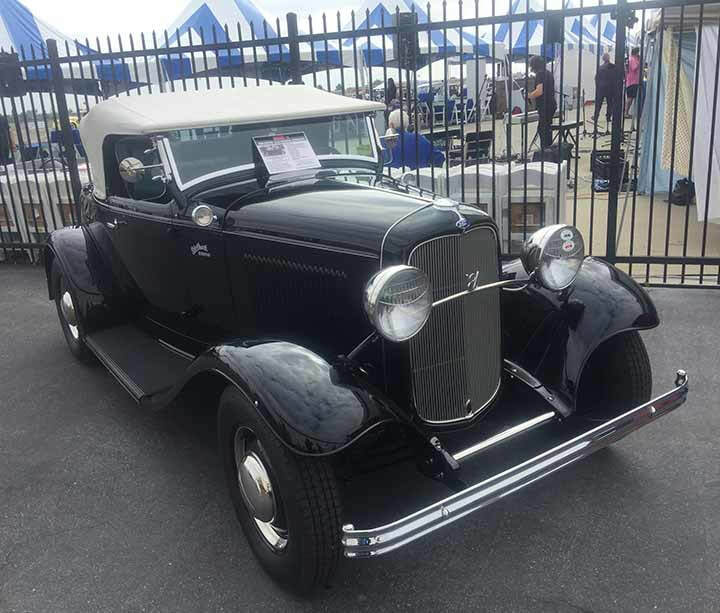 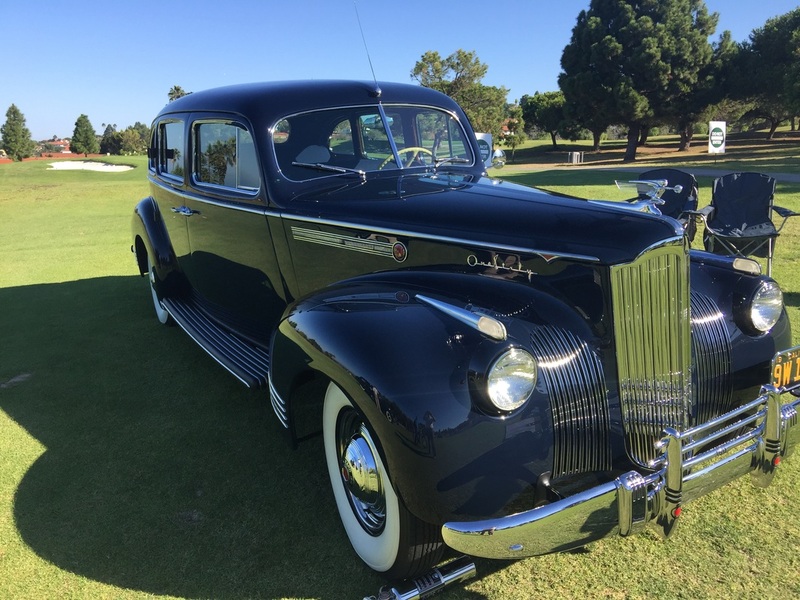 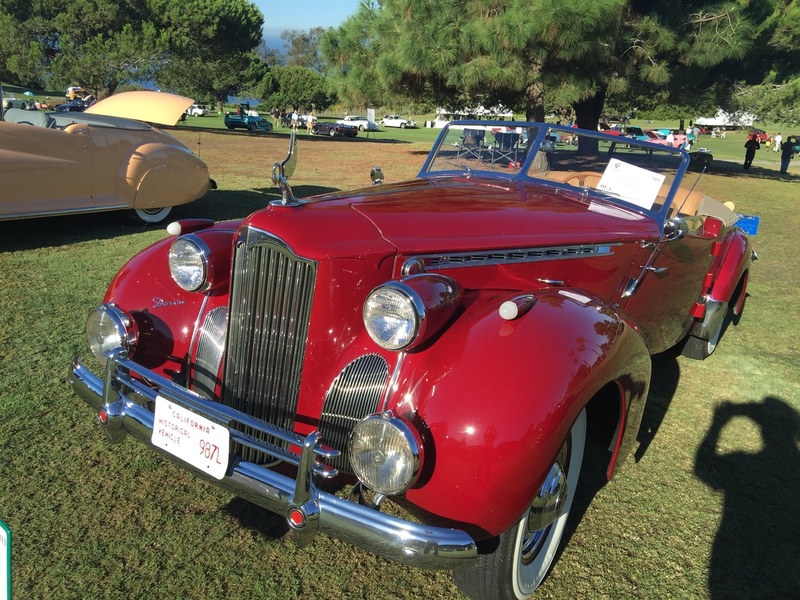 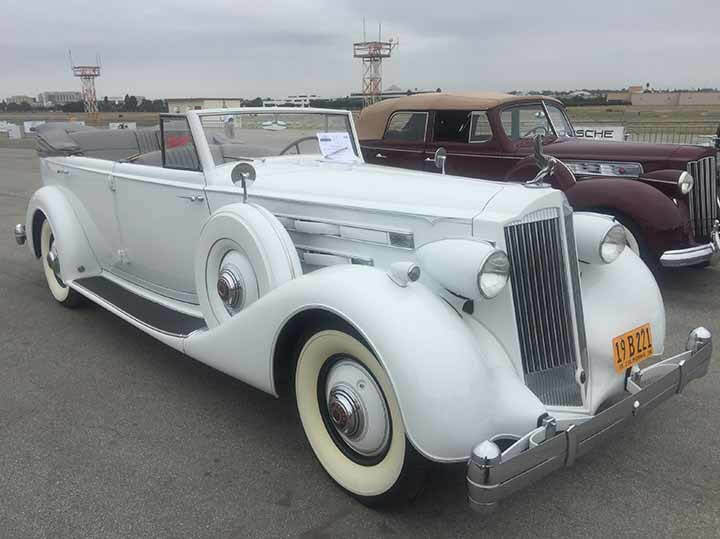 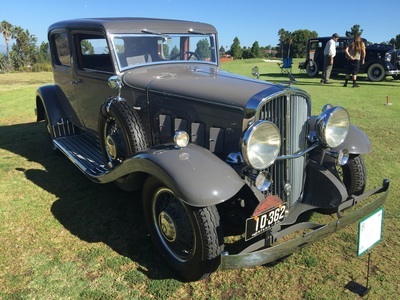 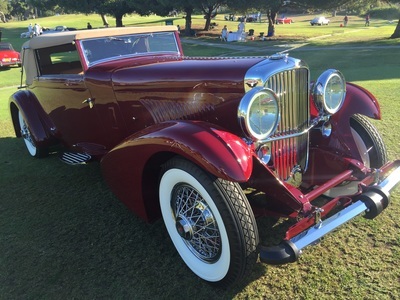 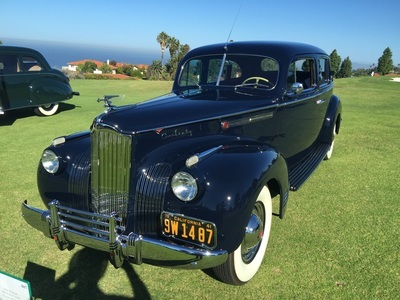 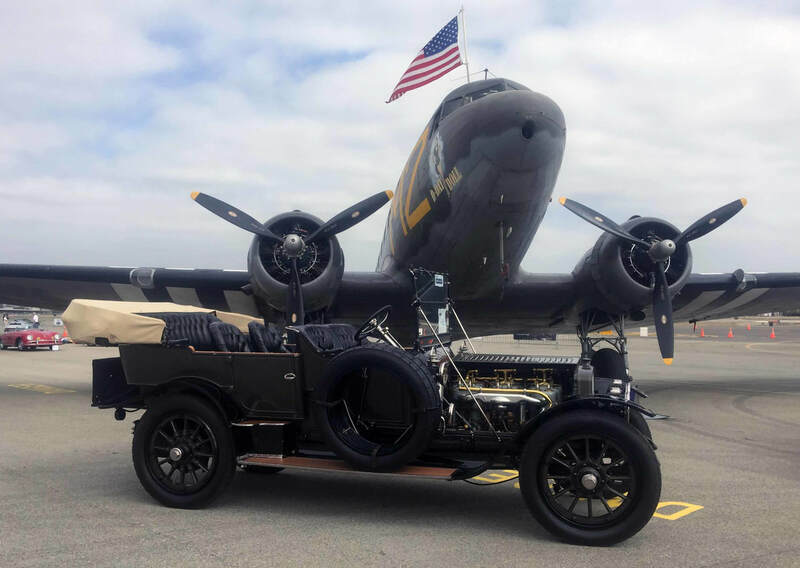 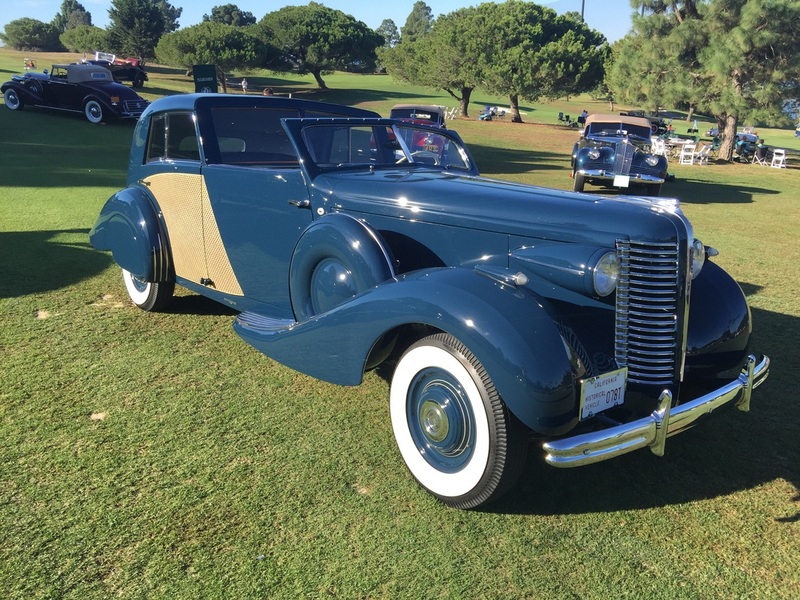 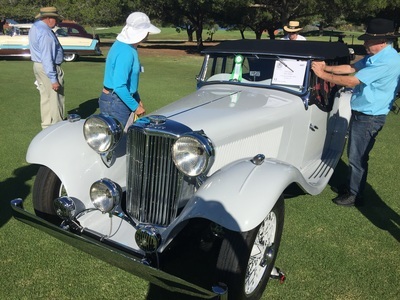 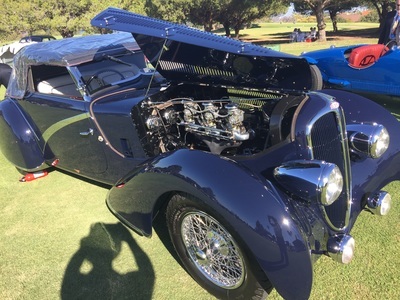 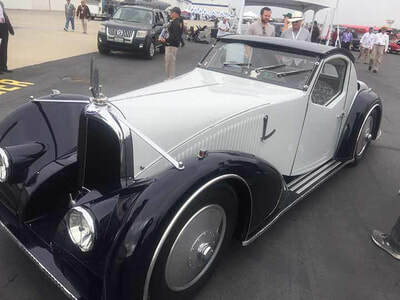 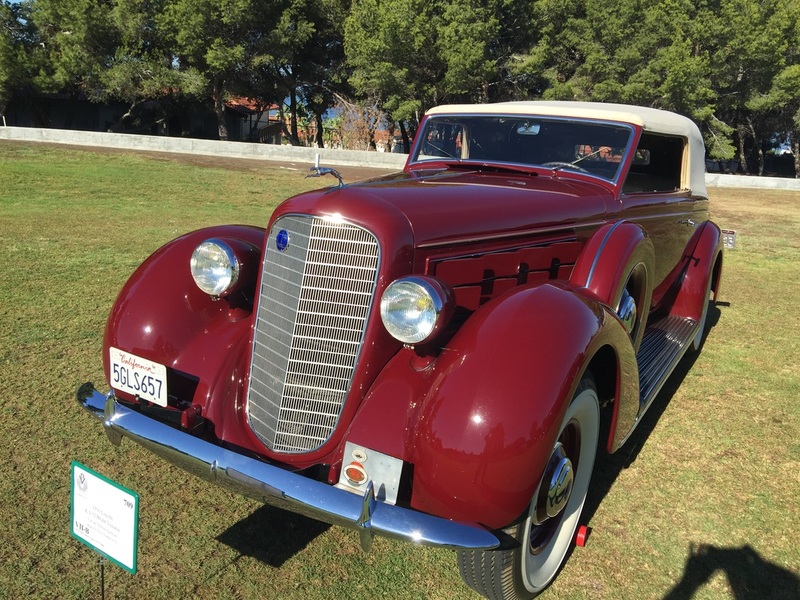 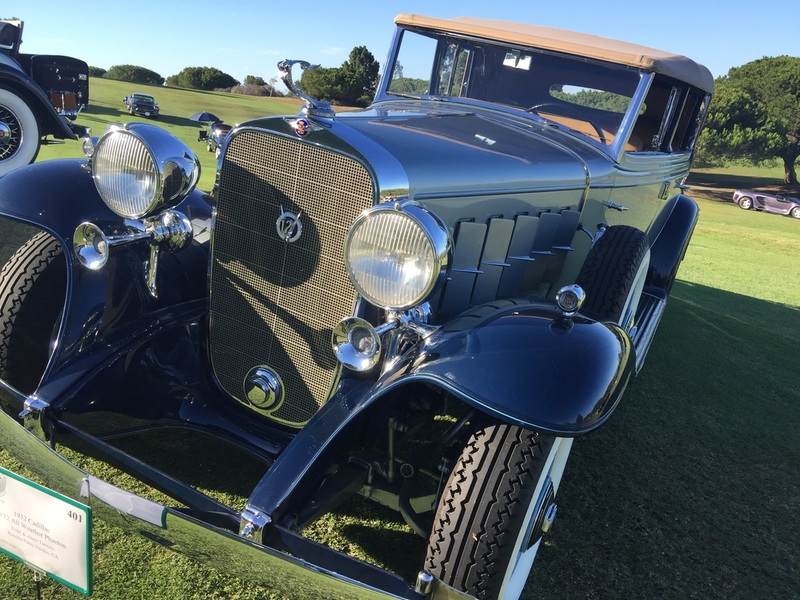 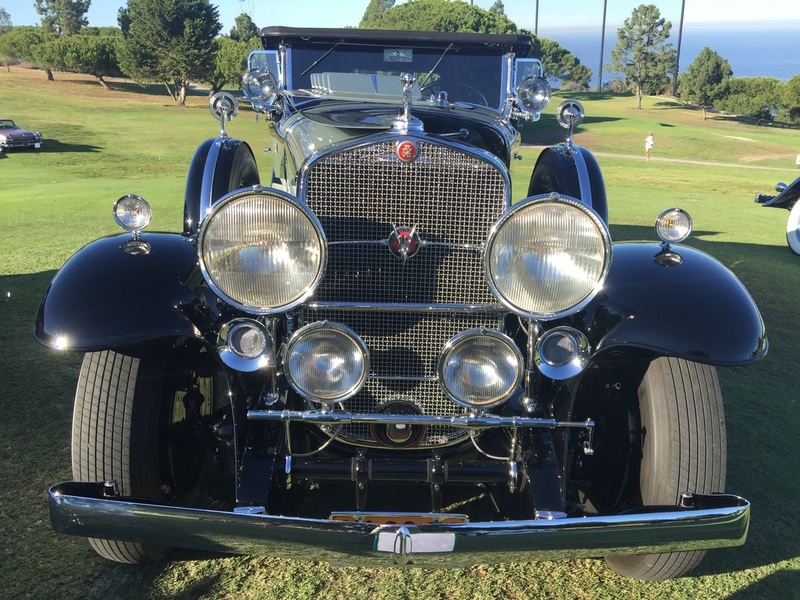 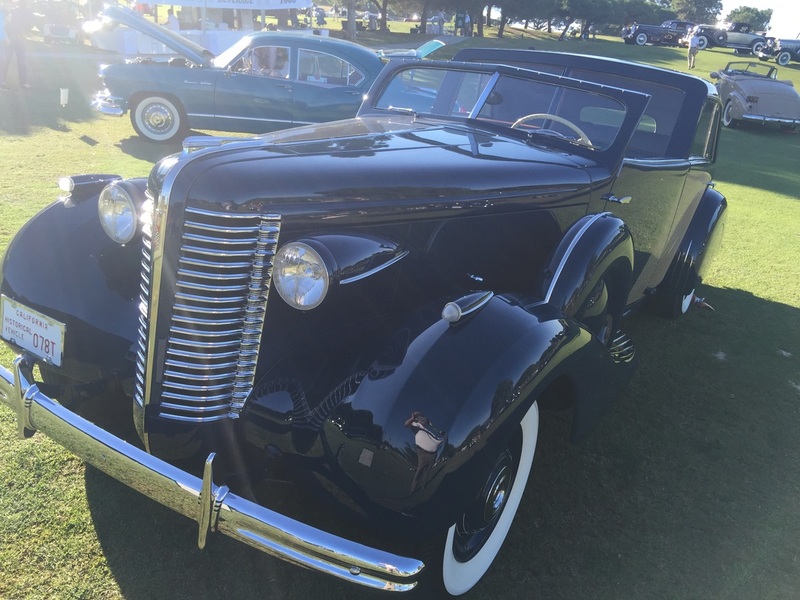 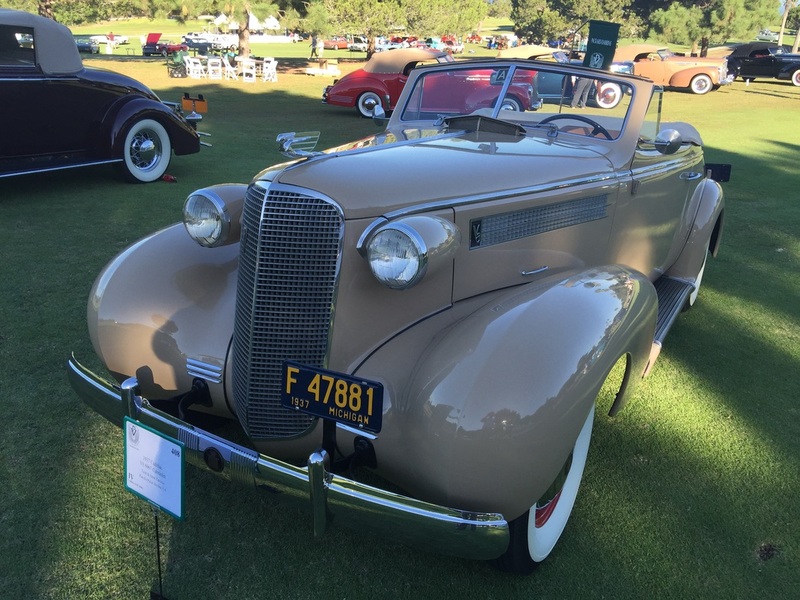 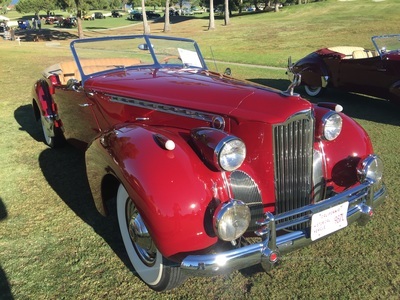 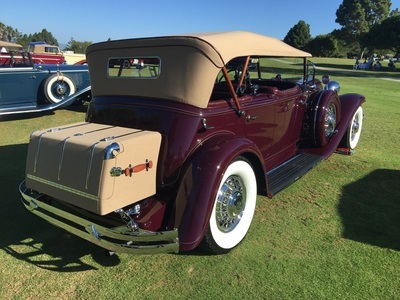 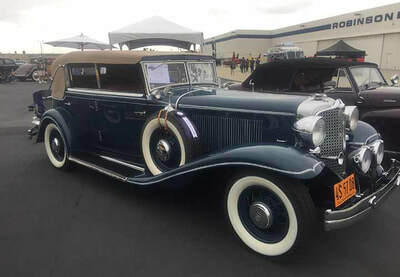 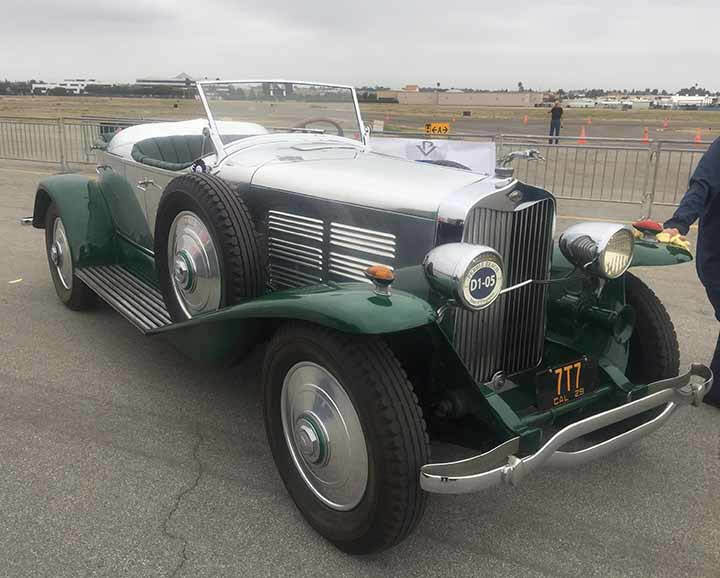 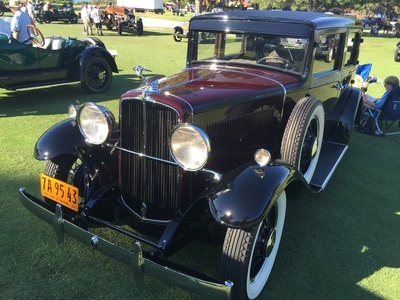 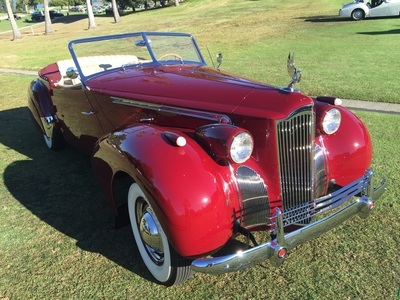 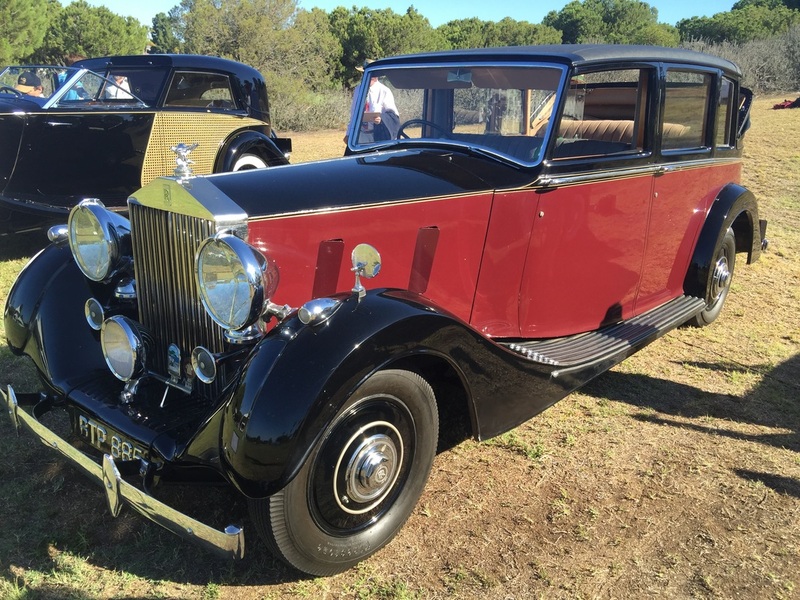 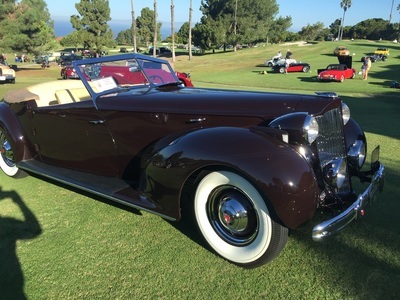 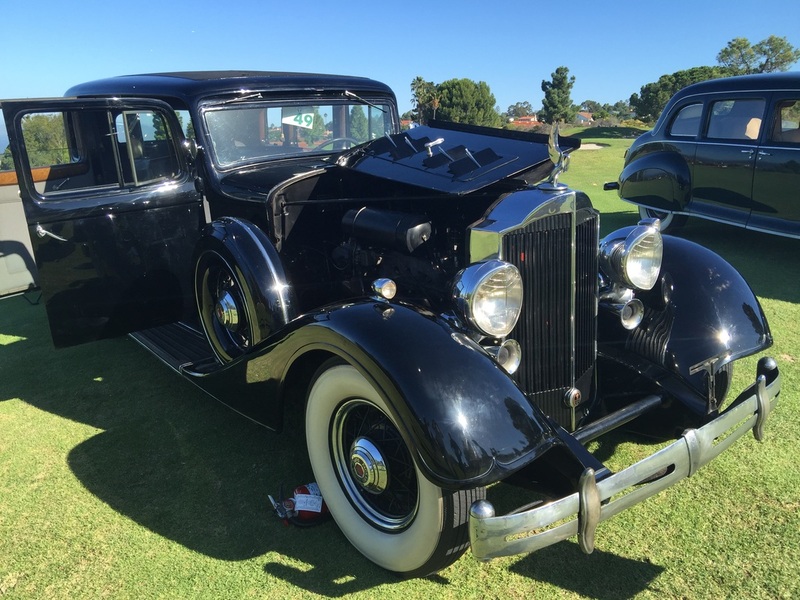 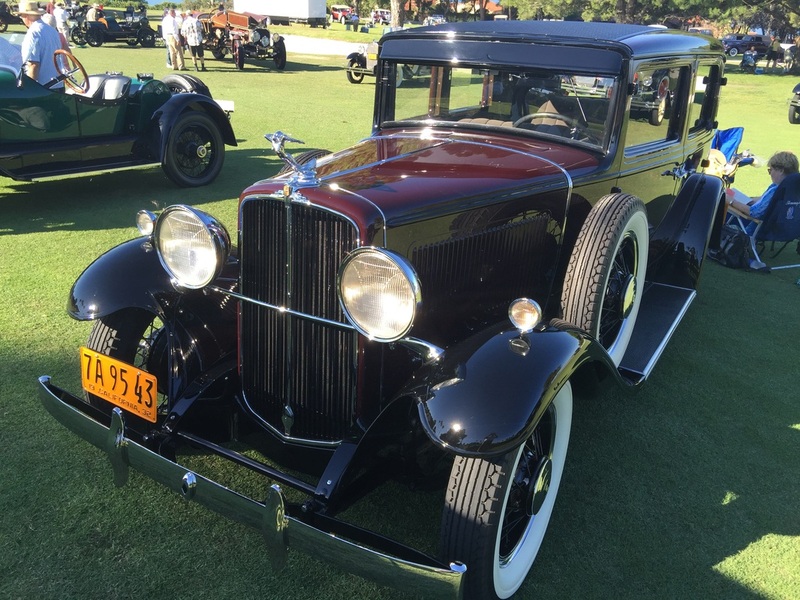 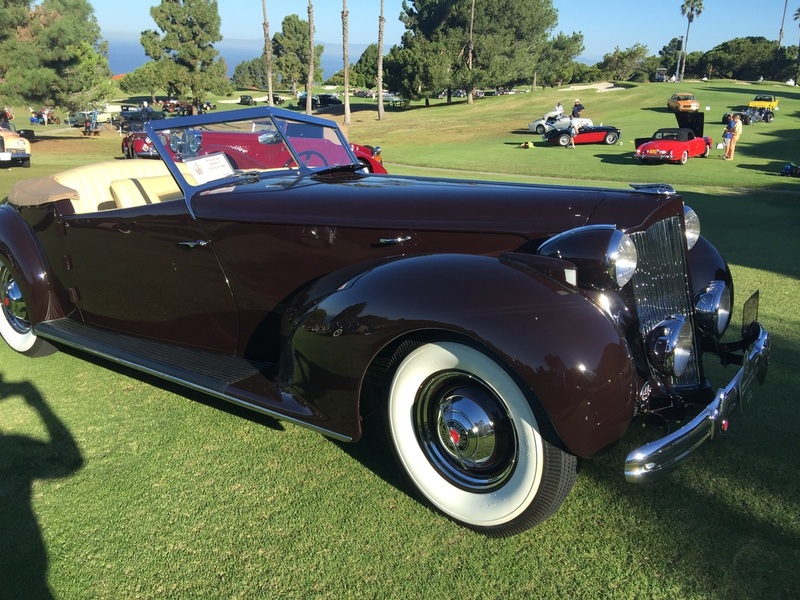 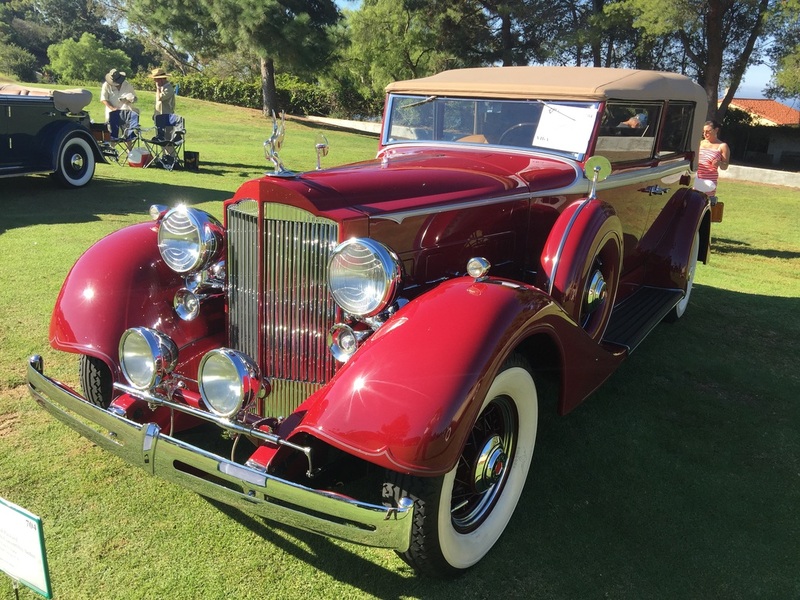 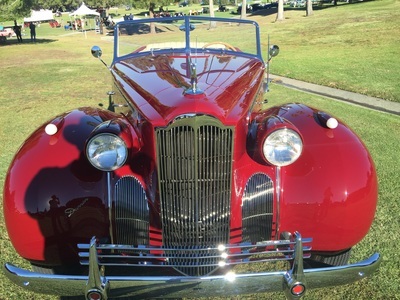 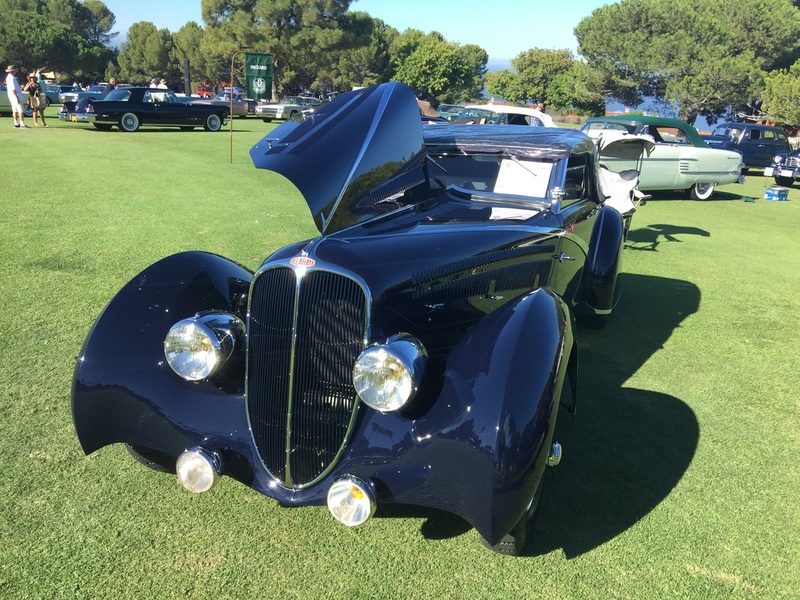 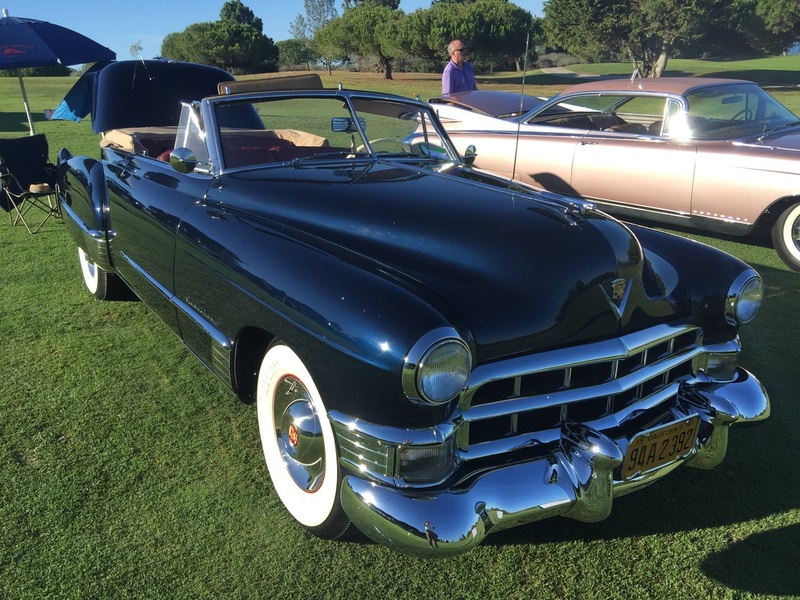 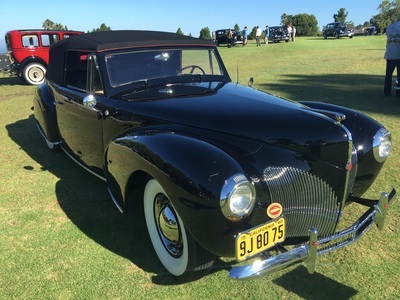 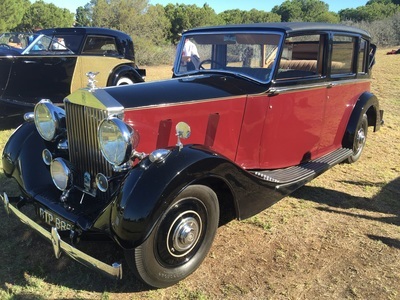 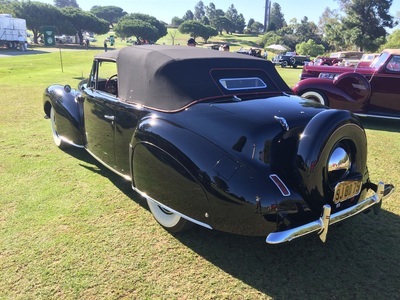 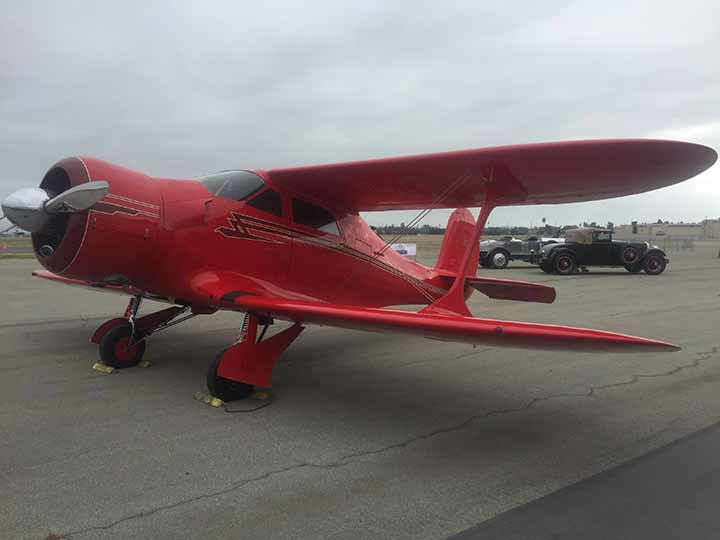 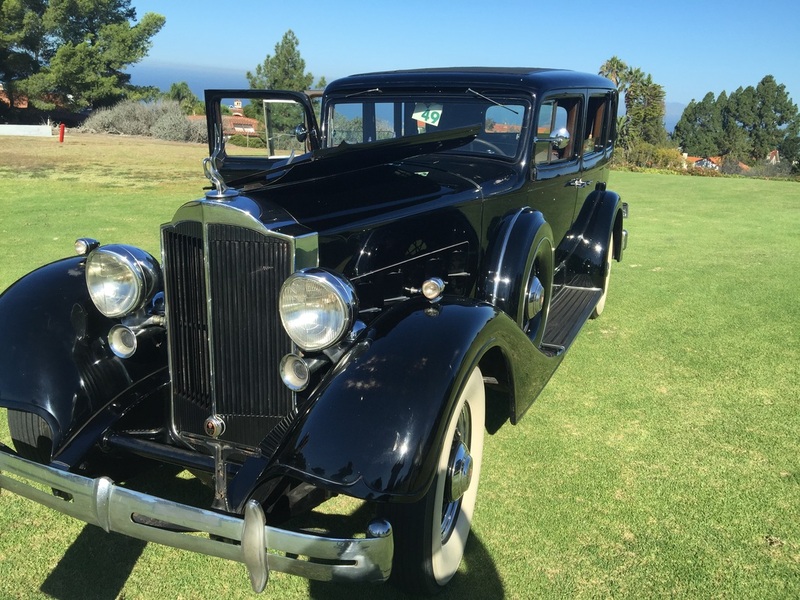 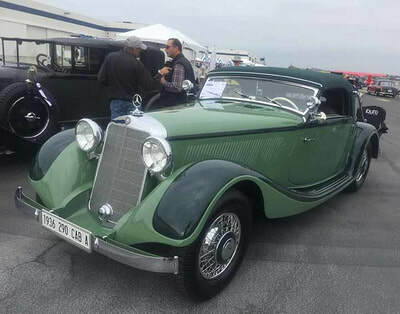 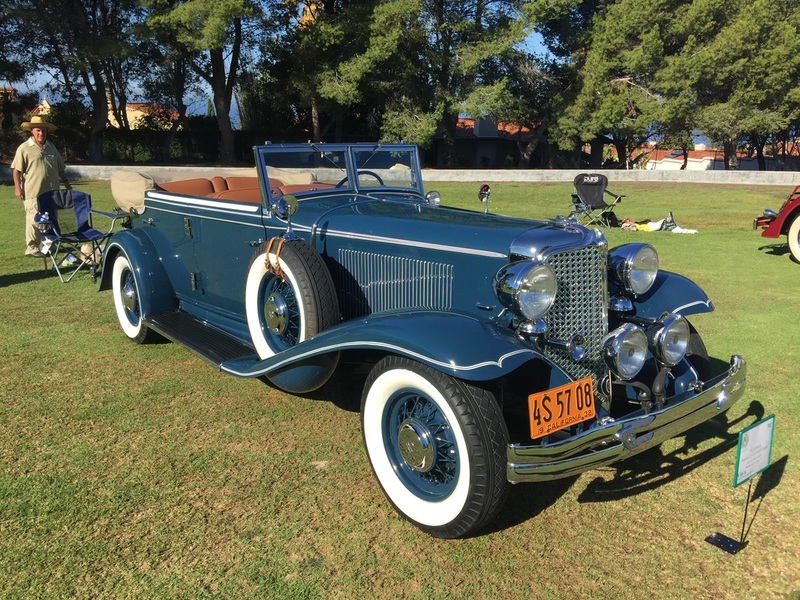 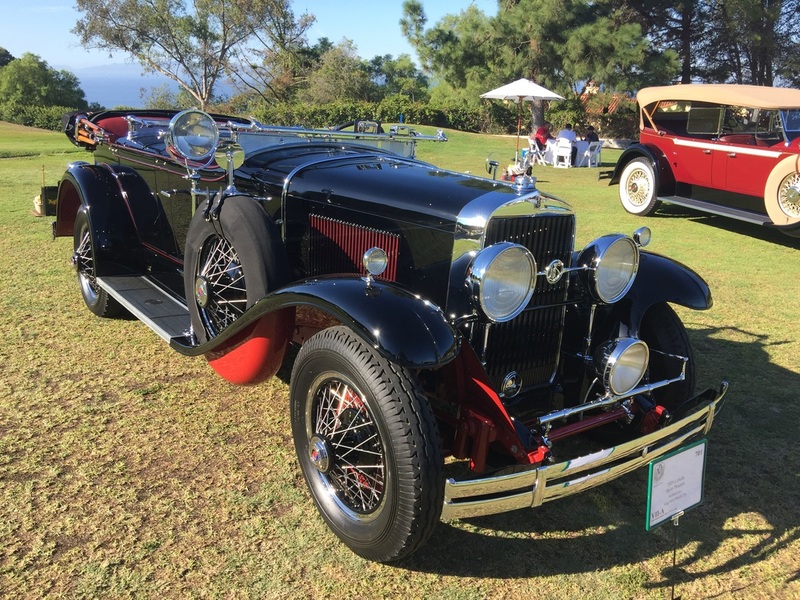 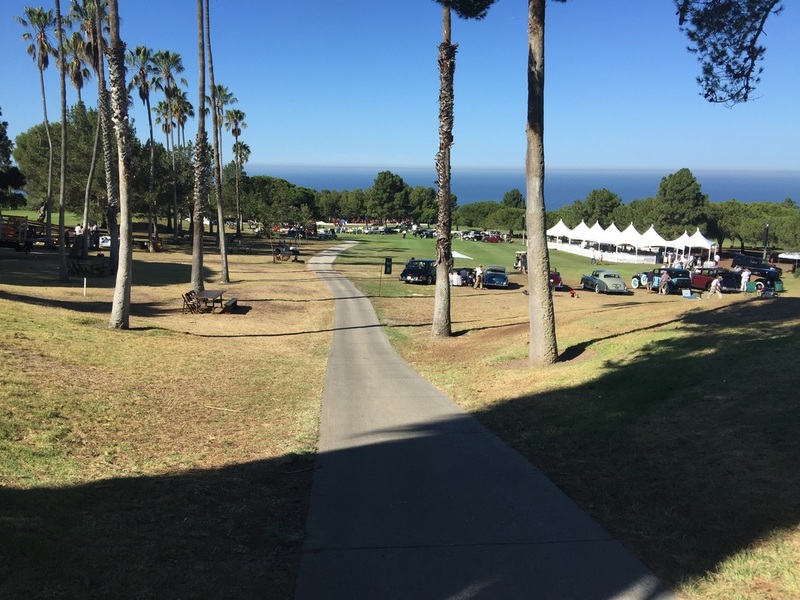 Above is a picture of the 1935 Duesenberg Fernandez & Darrin Victoria, winner of the Most Elegant Award at the 2015 Palos Verdes Concours d'Elegance, held at the Los Verdes Golf Course in Rancho Palos Verdes, CA on Sunday September 20. 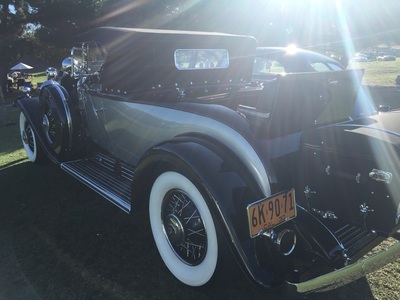 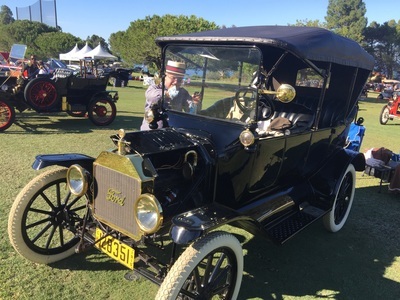 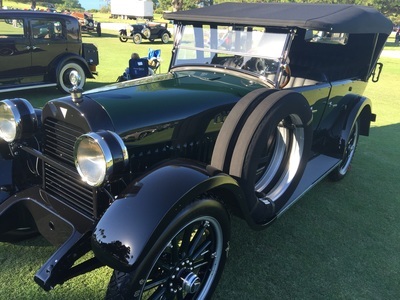 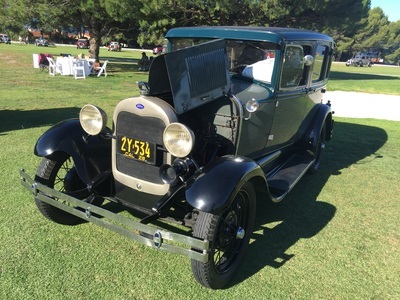 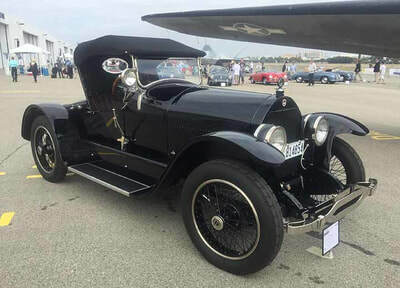 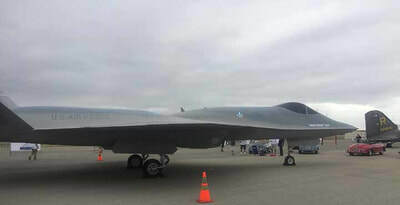 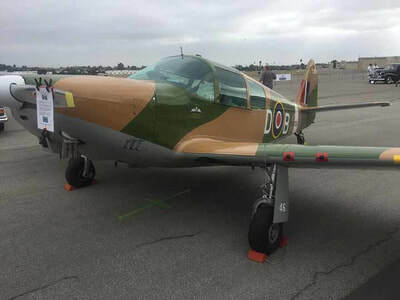 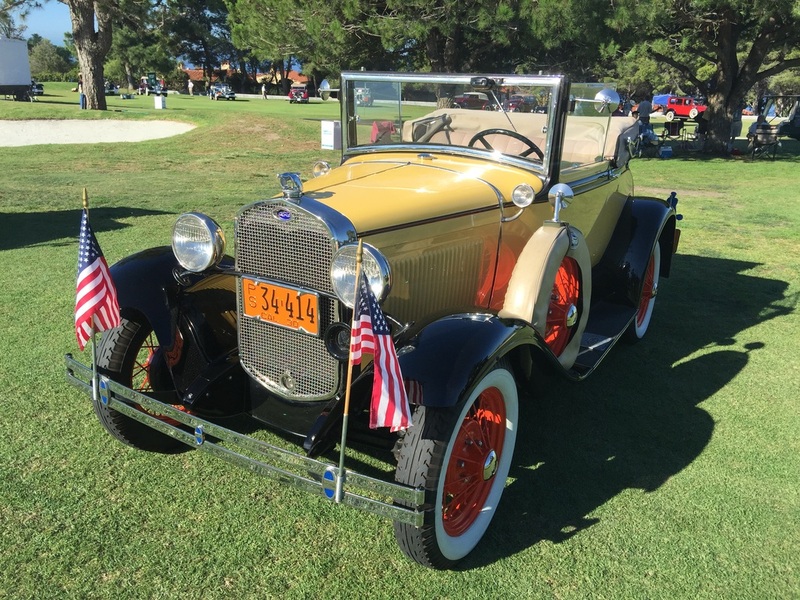 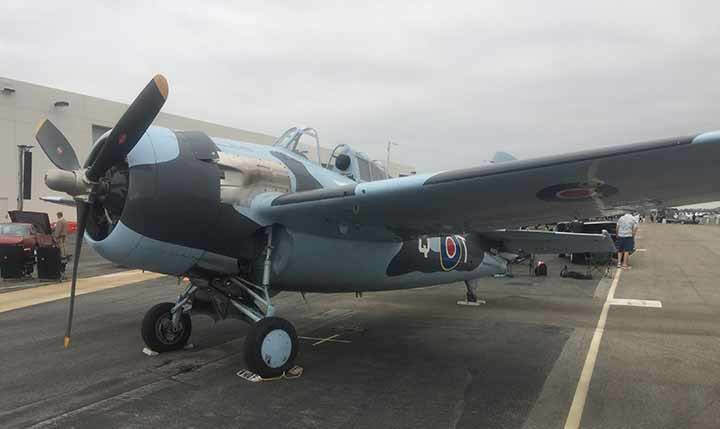 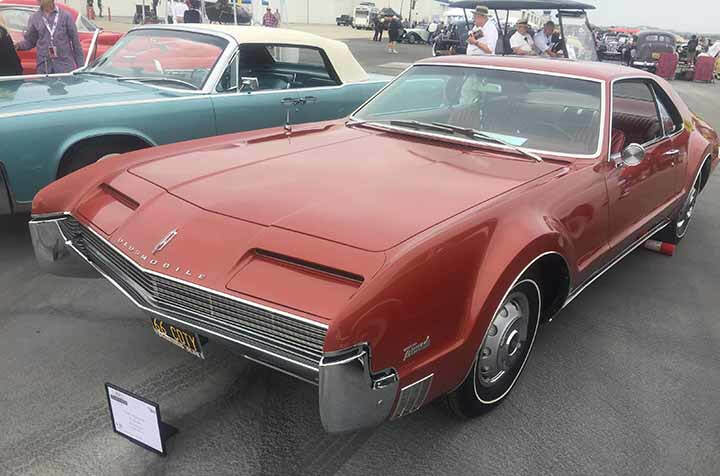 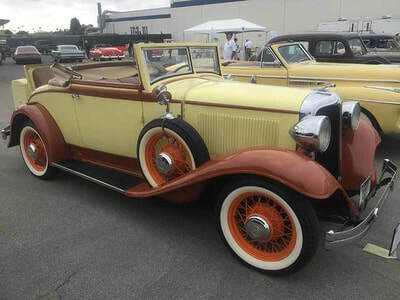 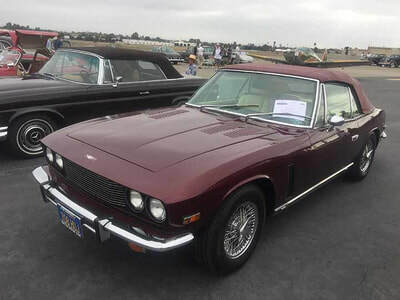 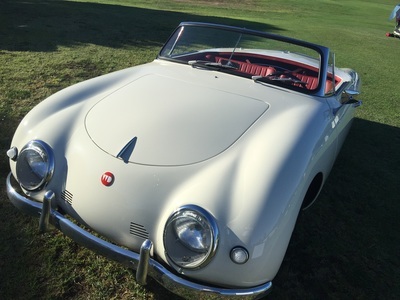 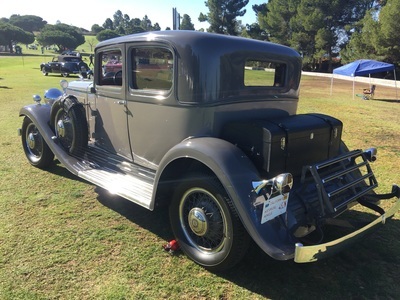 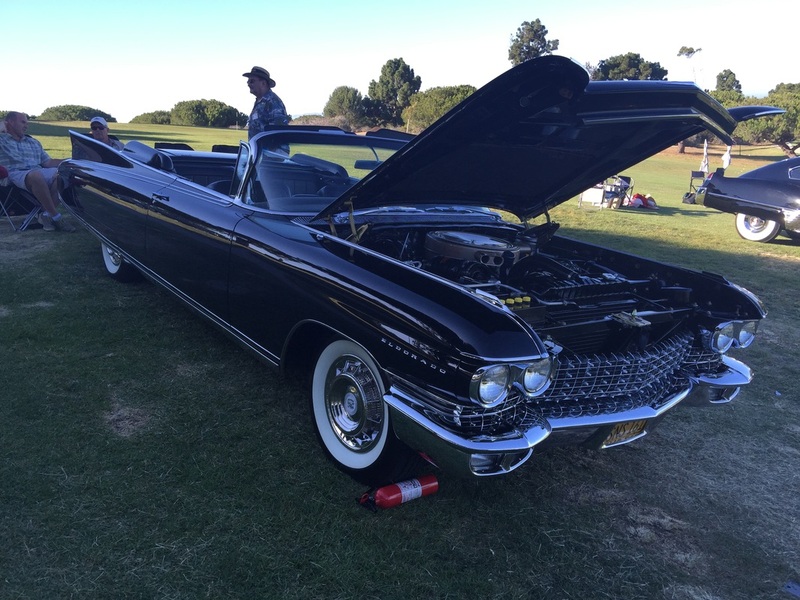 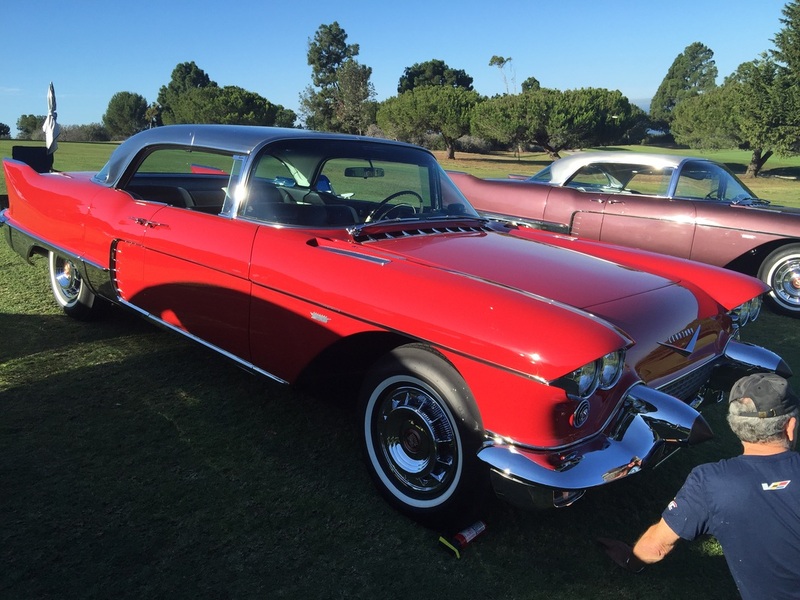 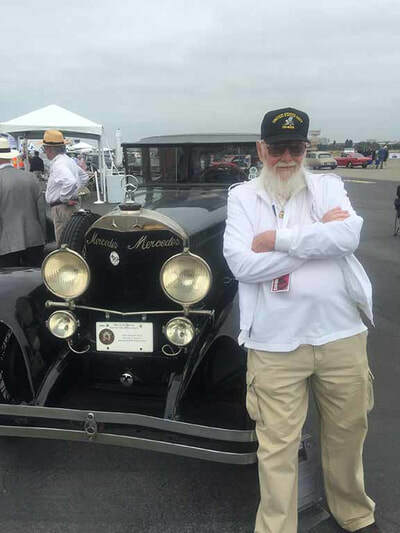 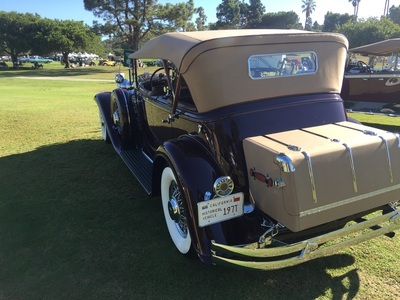 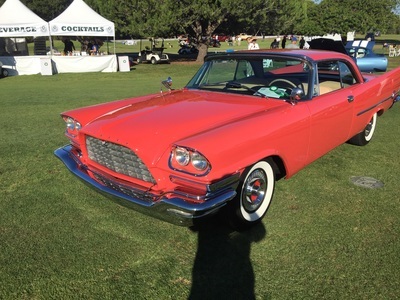 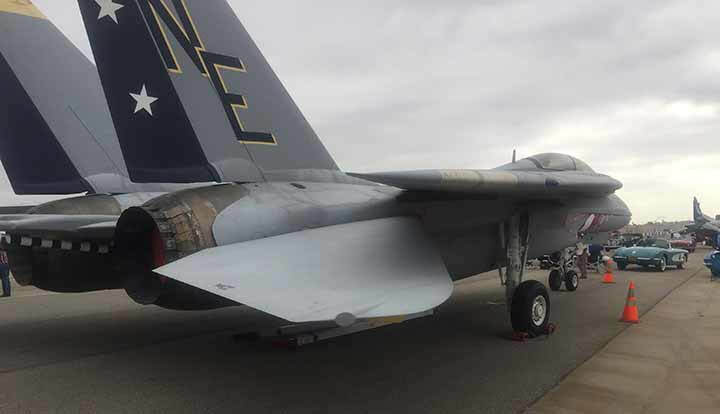 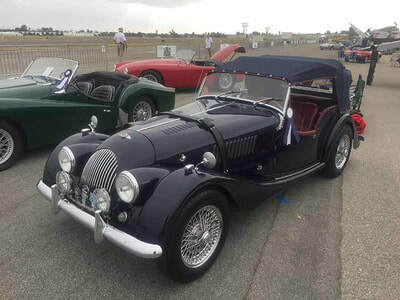 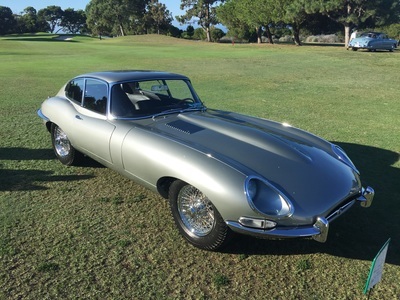 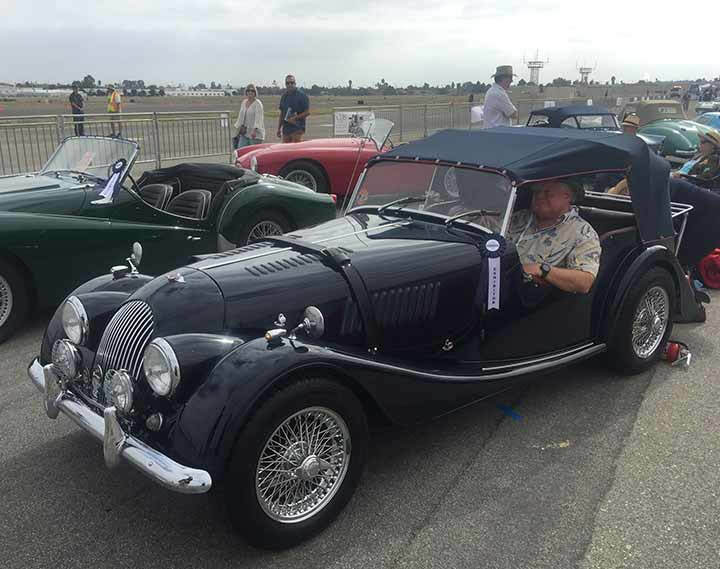 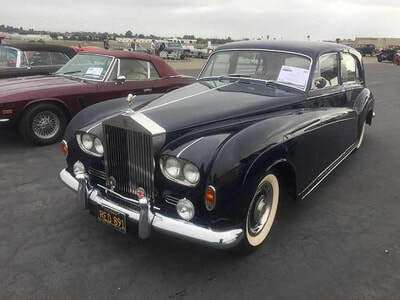 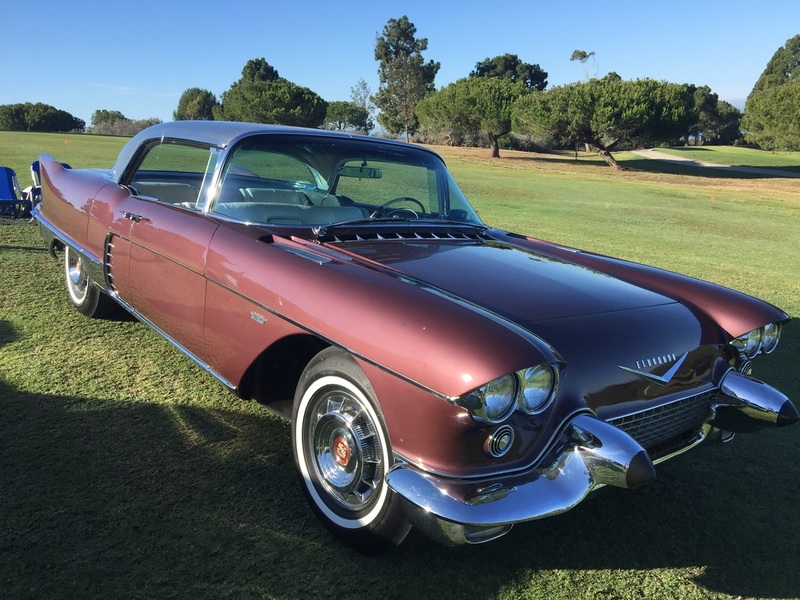 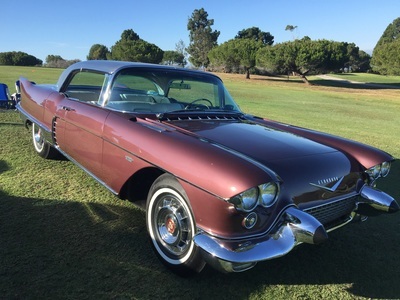 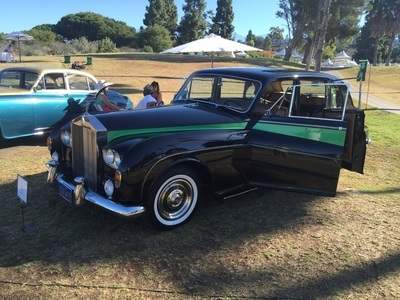 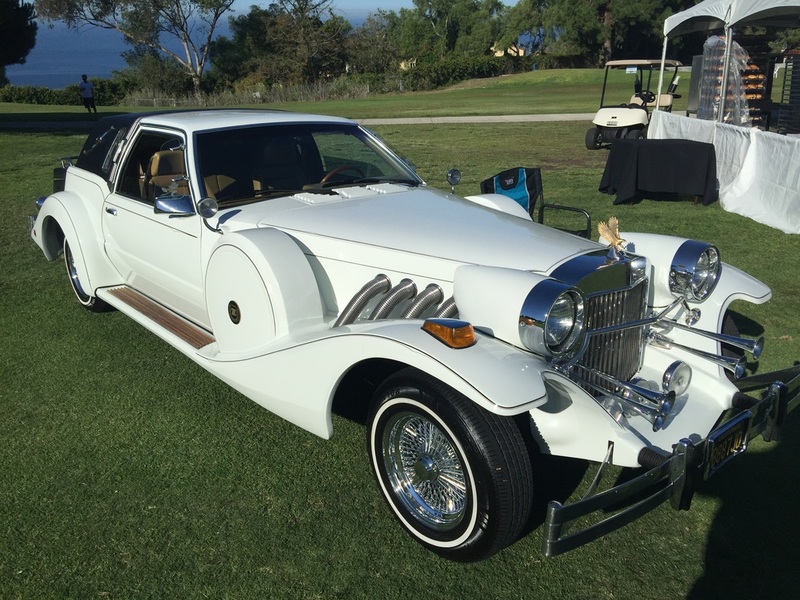 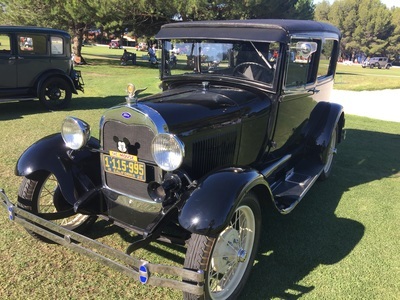 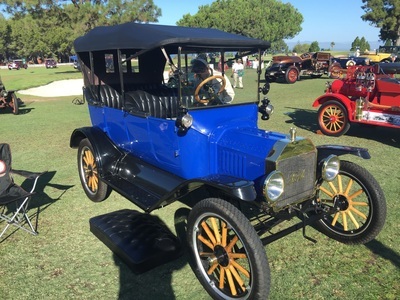 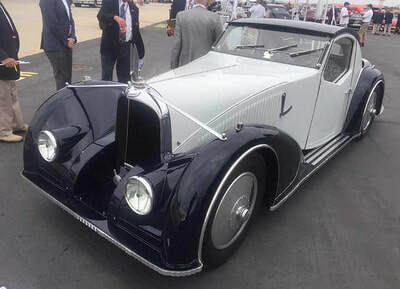 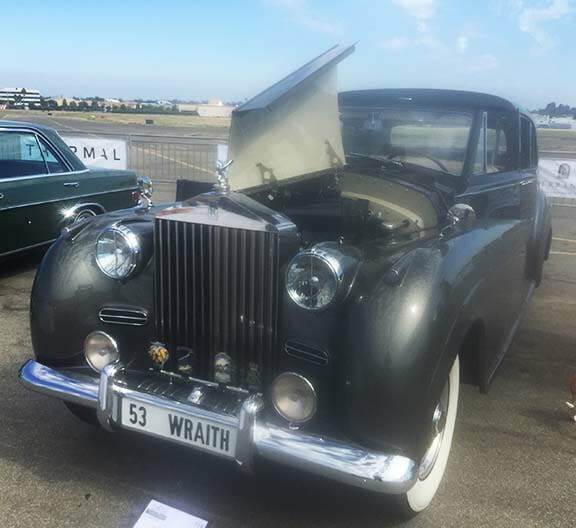 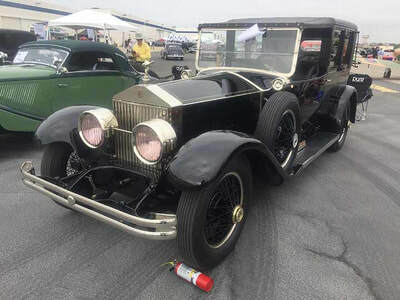 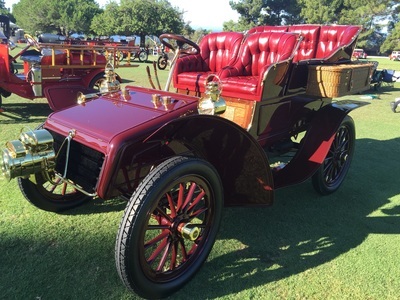 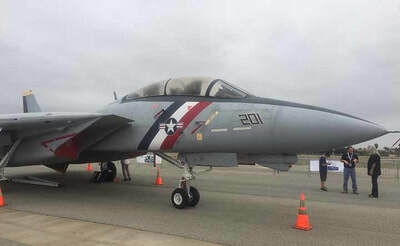 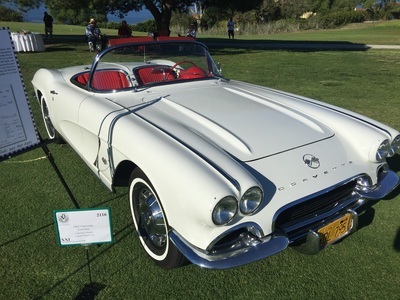 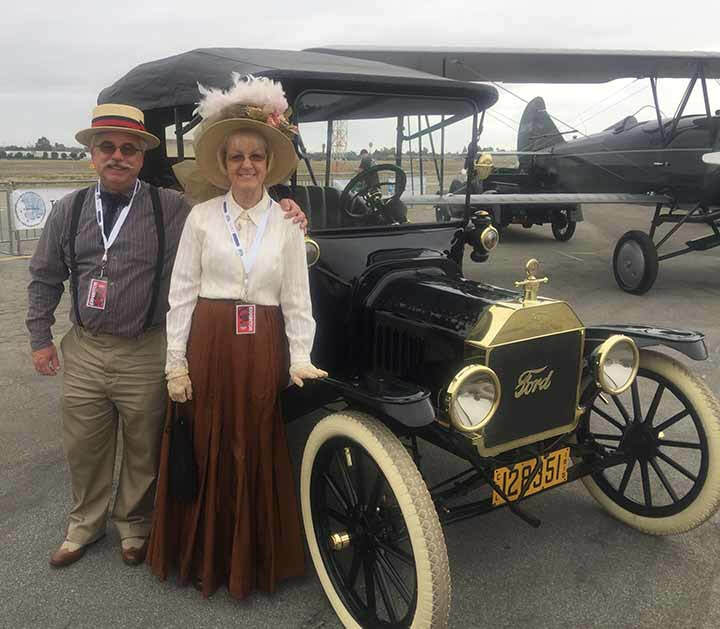 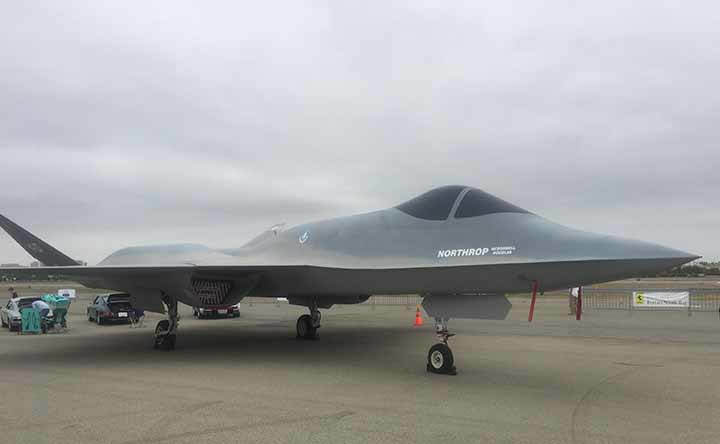 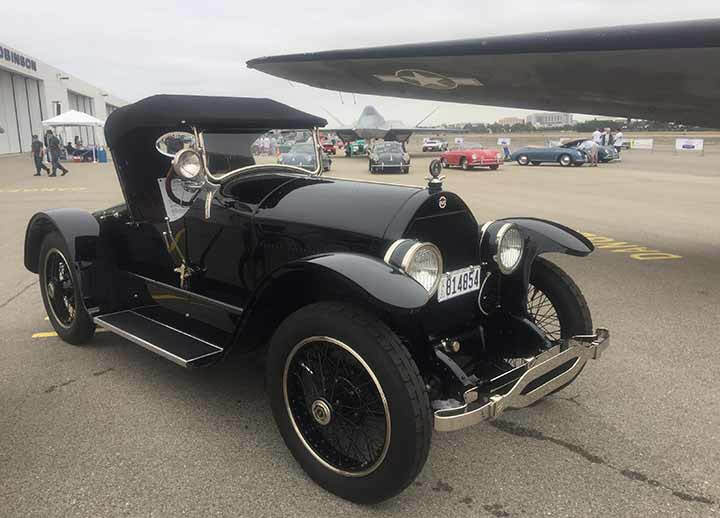 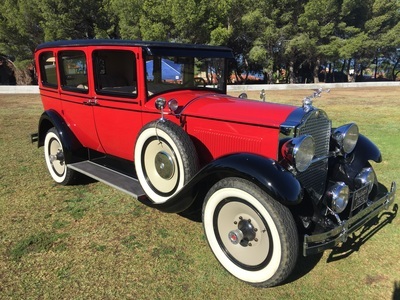 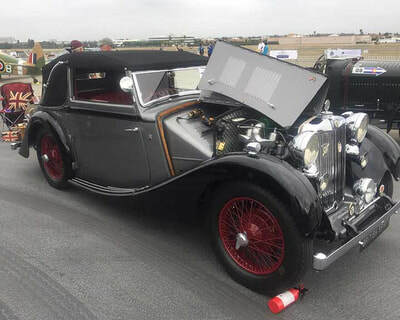 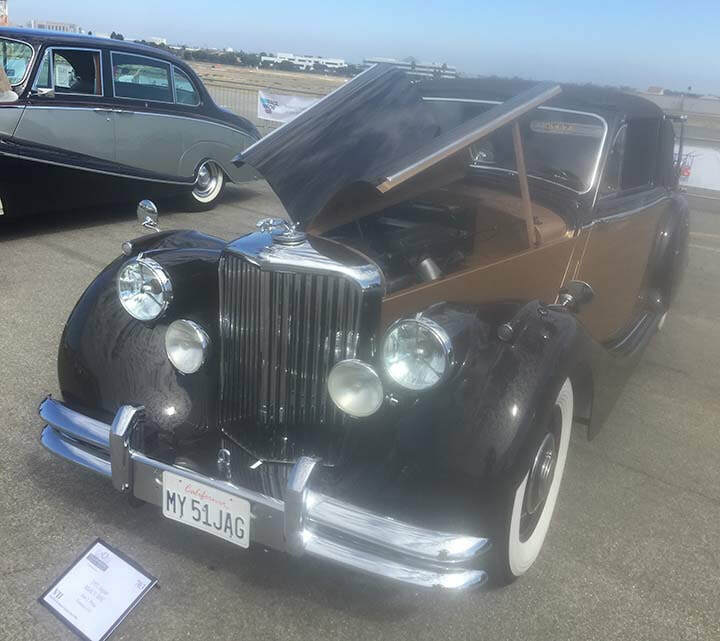 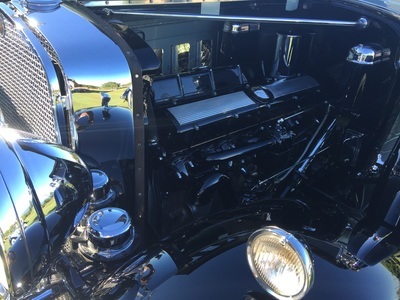 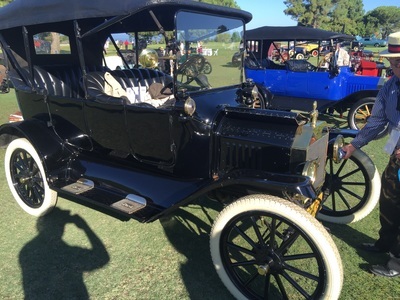 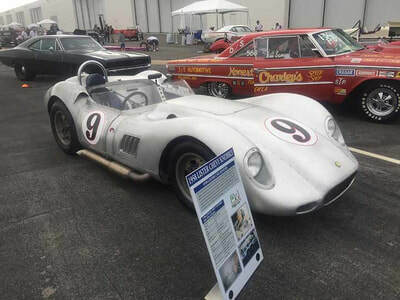 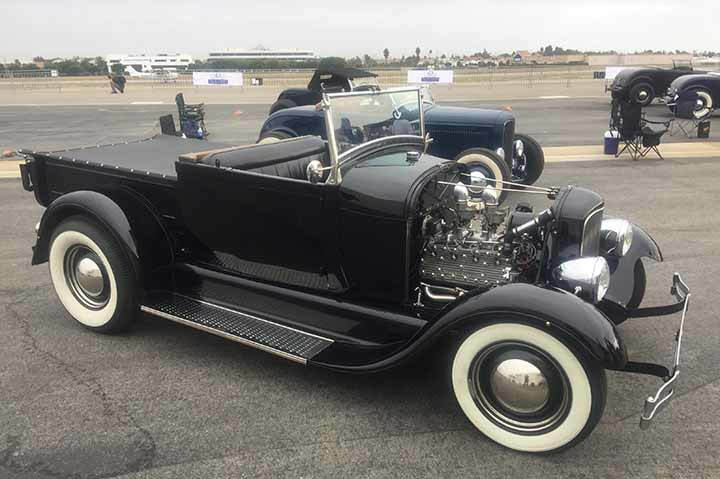 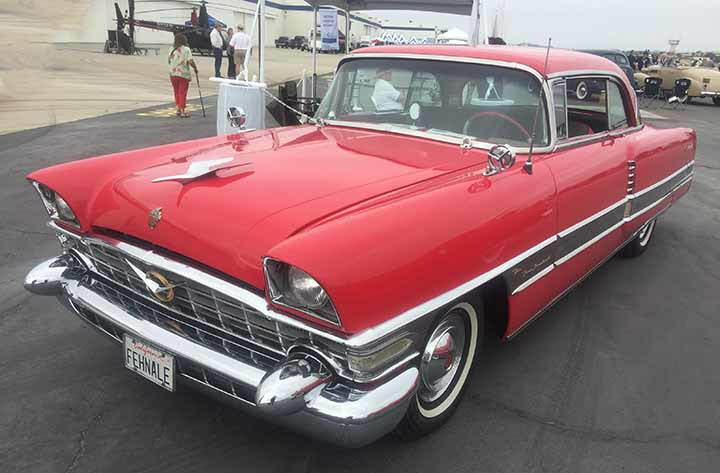 The car is owner by General William Lyon of Newport Beach, CA. 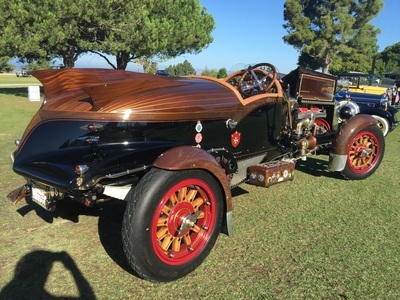 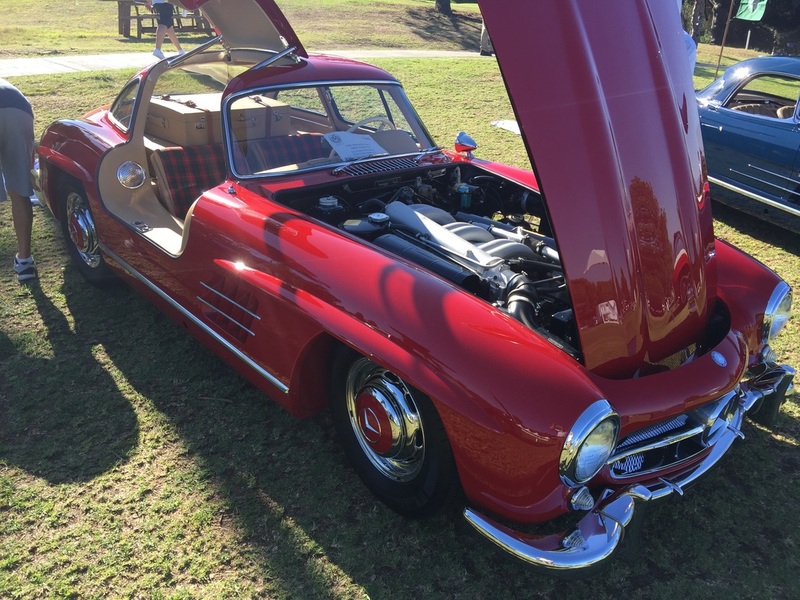 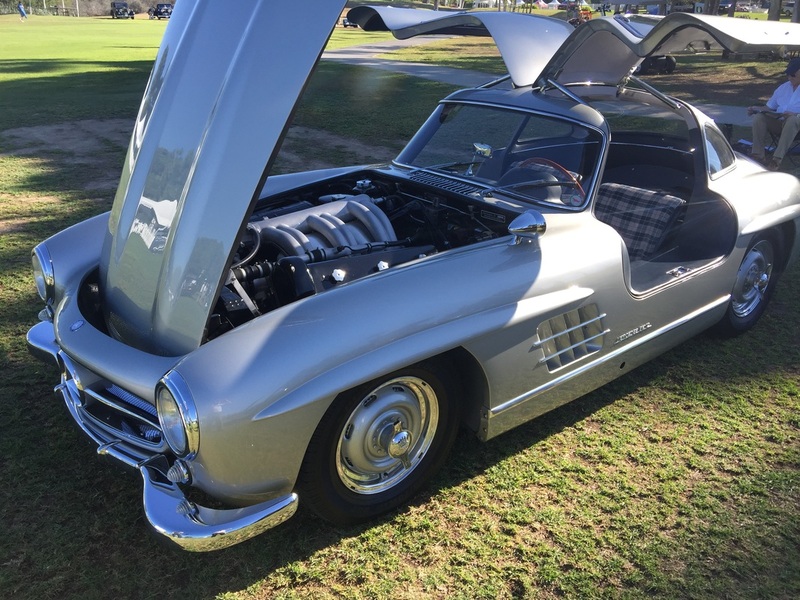 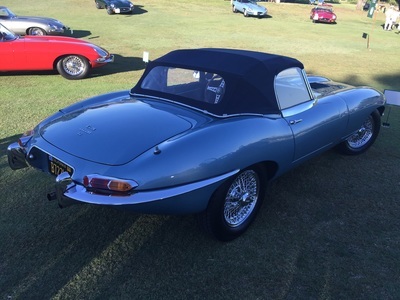 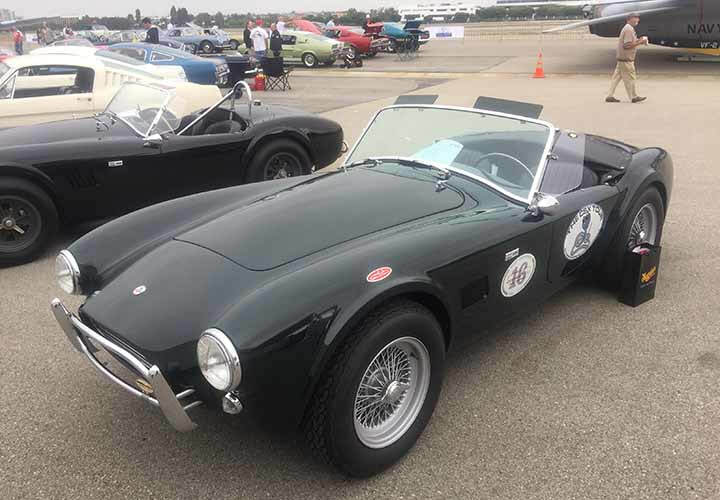 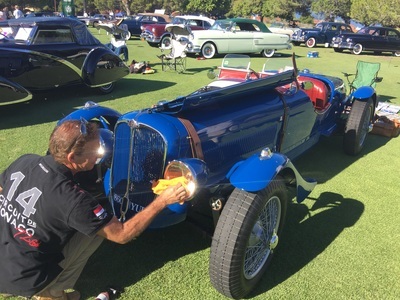 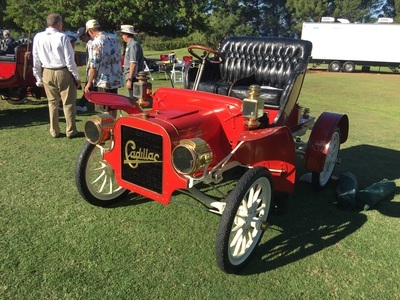 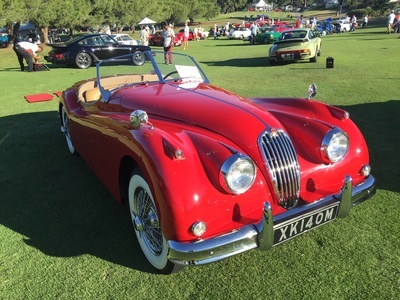 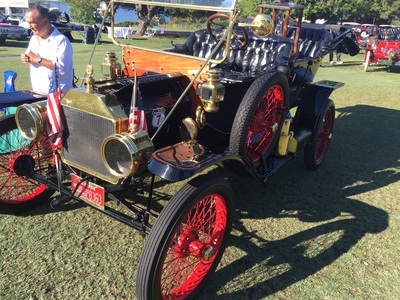 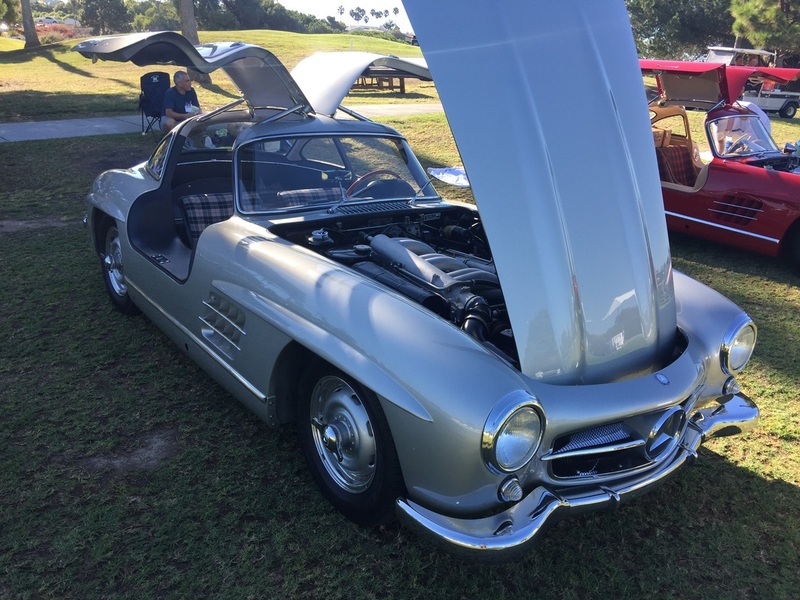 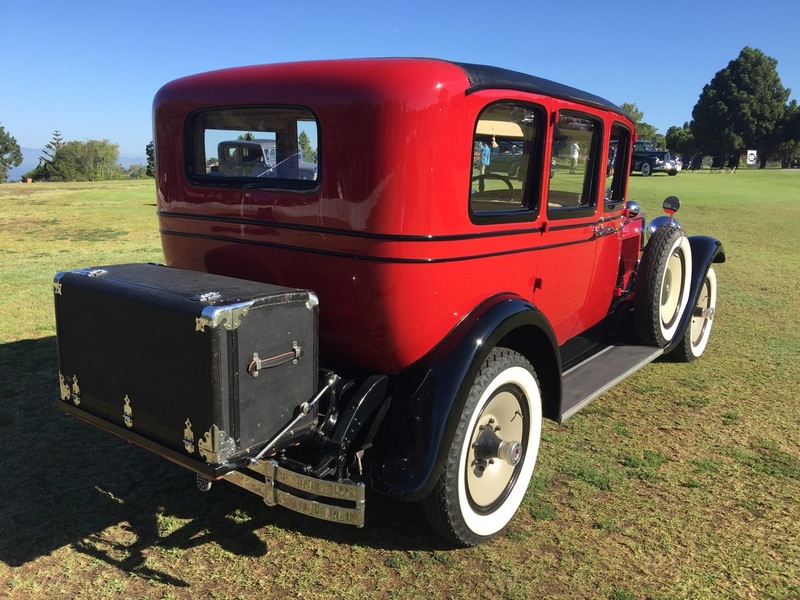 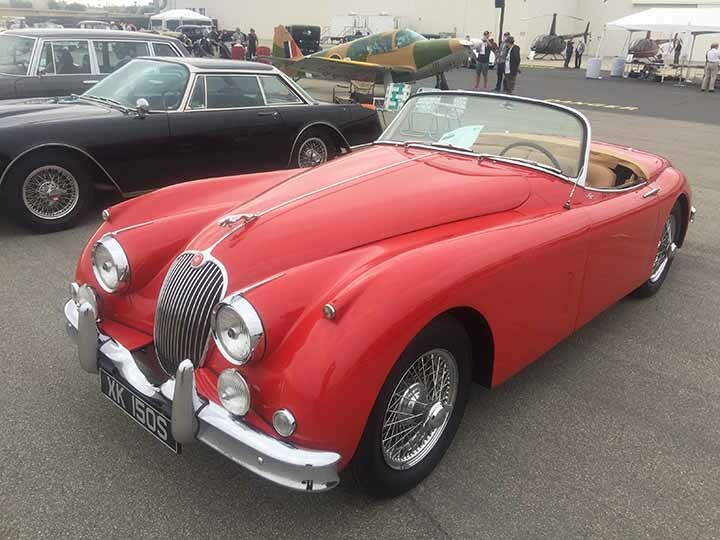 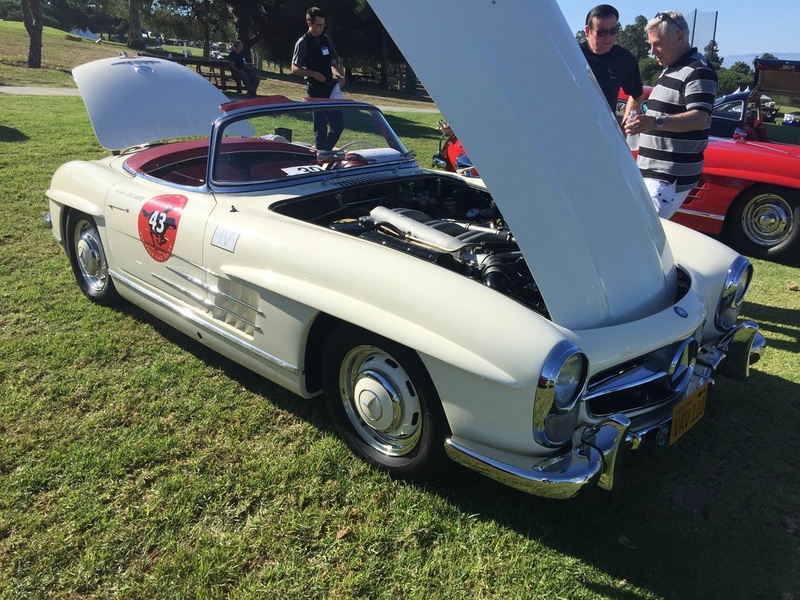 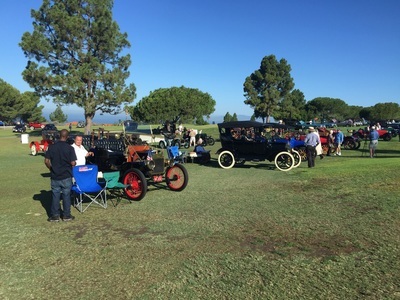 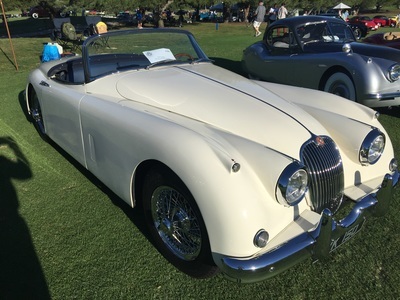 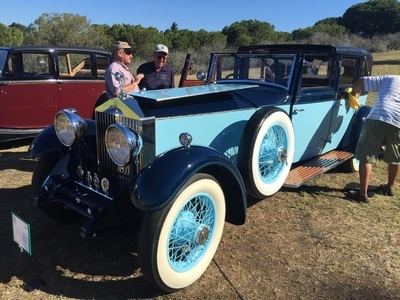 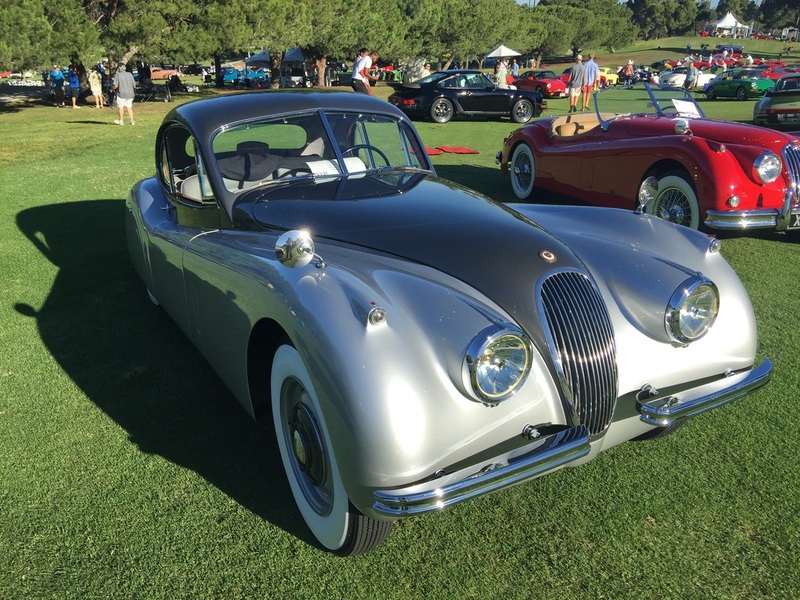 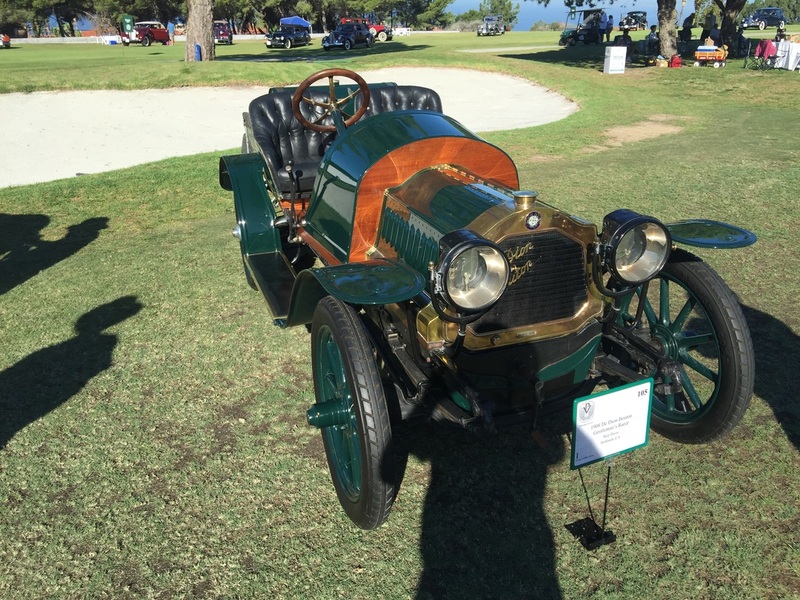 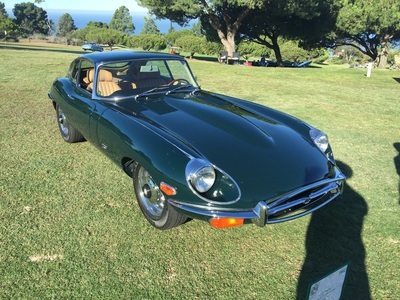 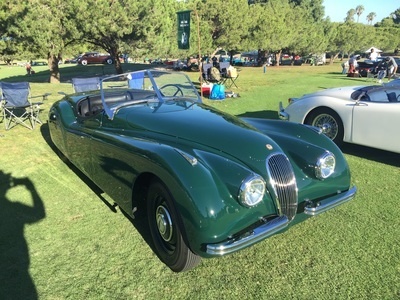 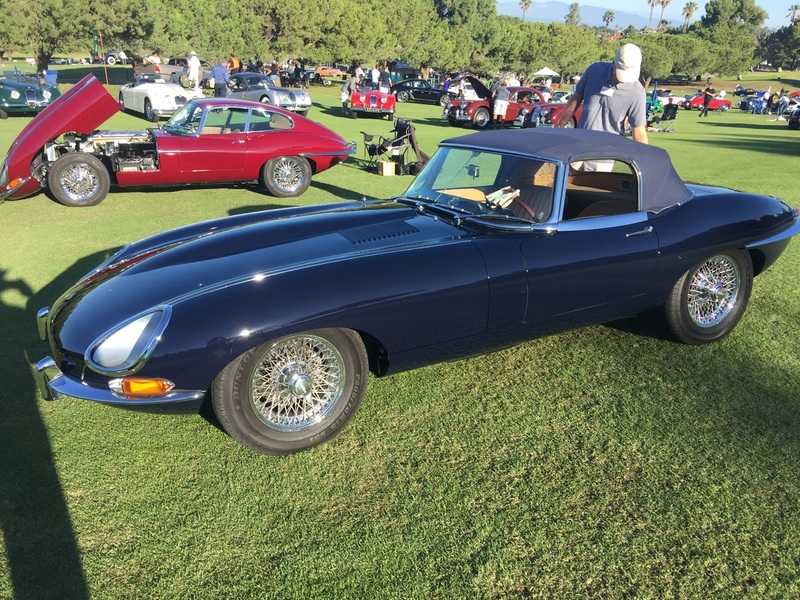 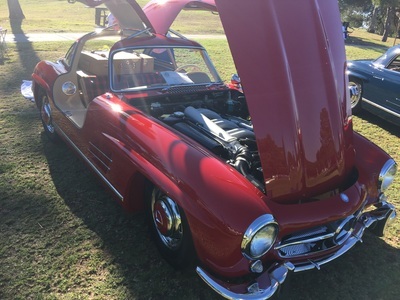 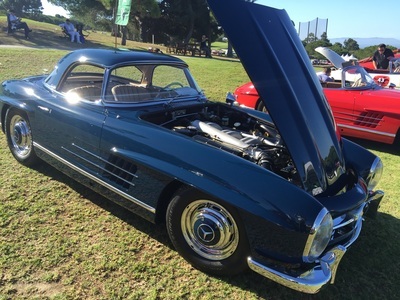 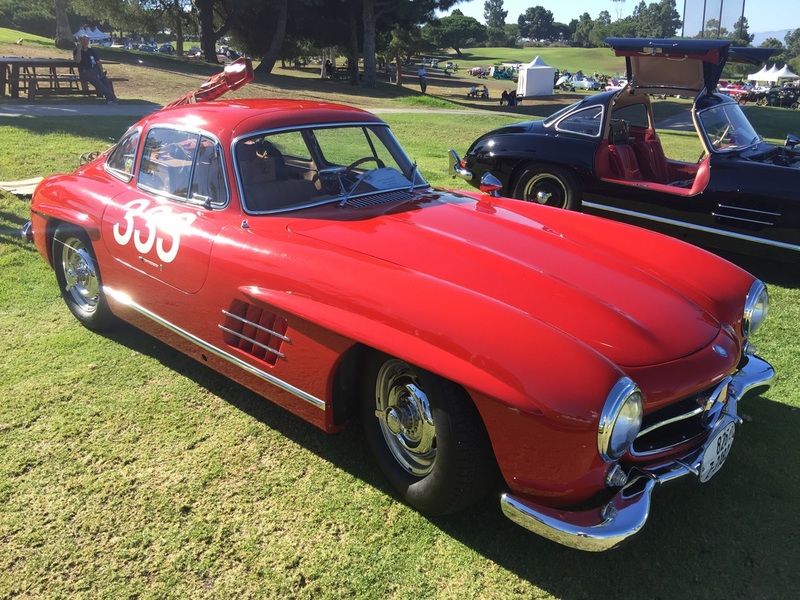 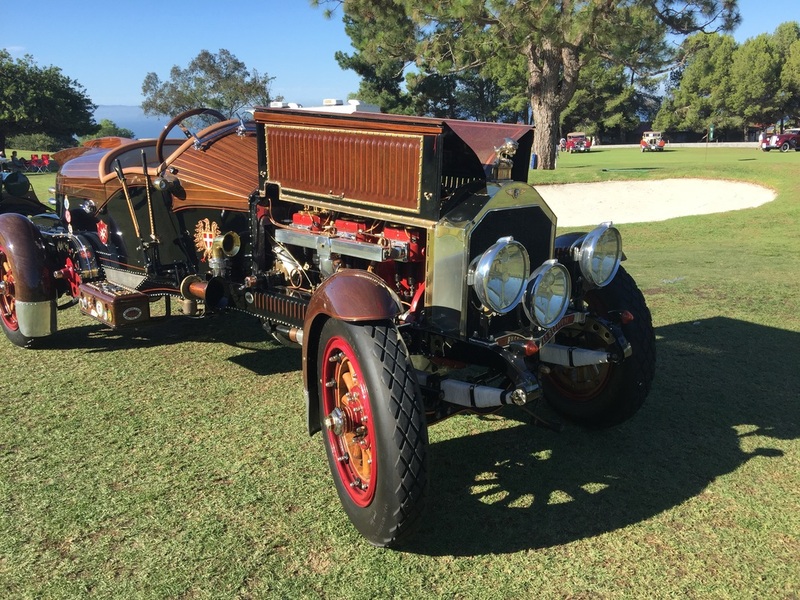 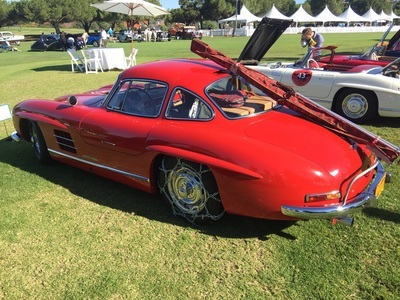 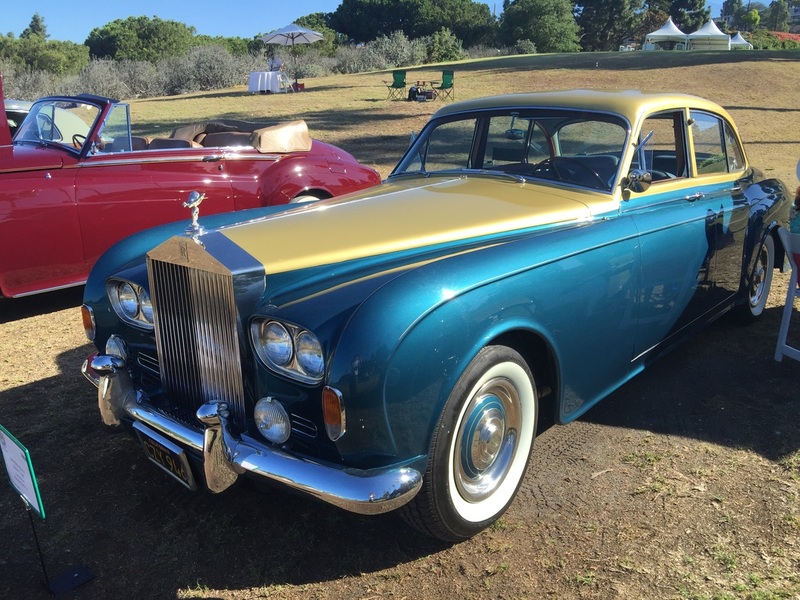 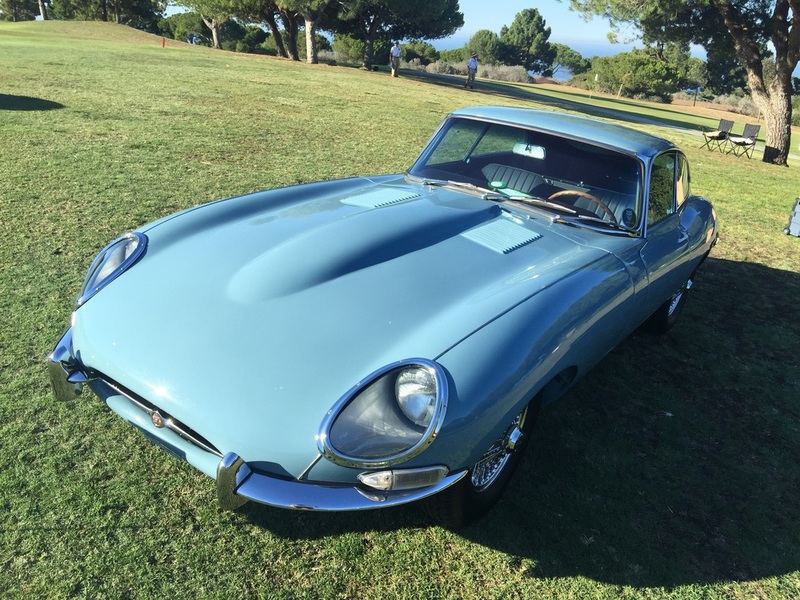 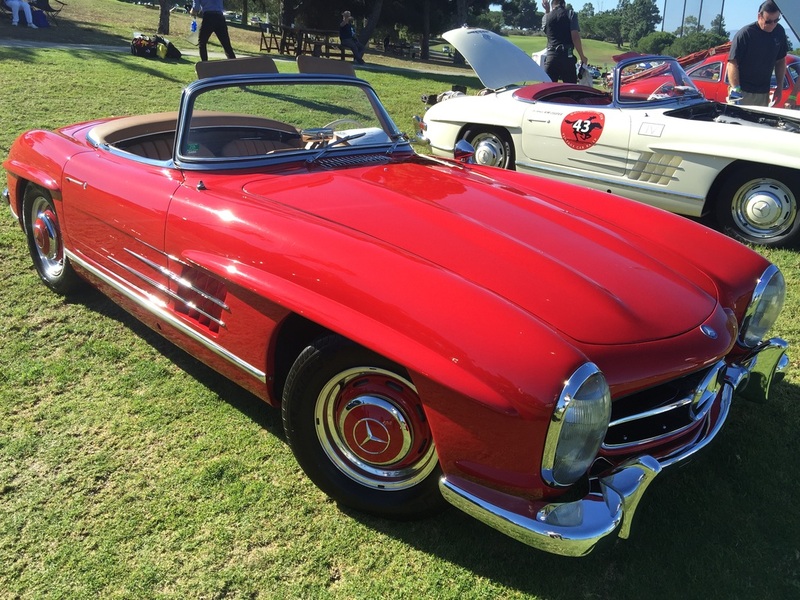 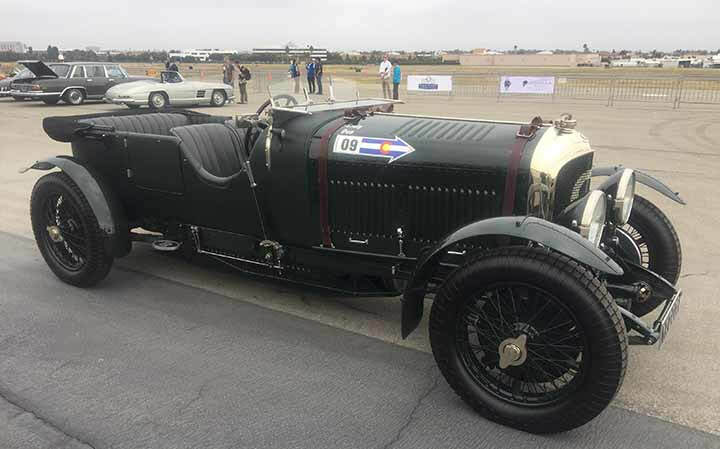 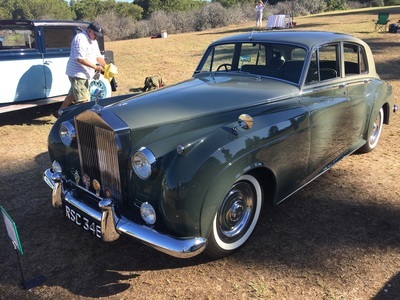 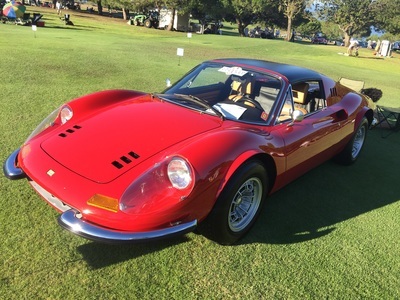 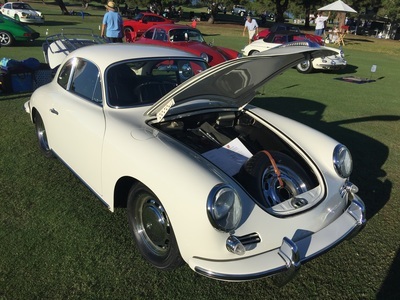 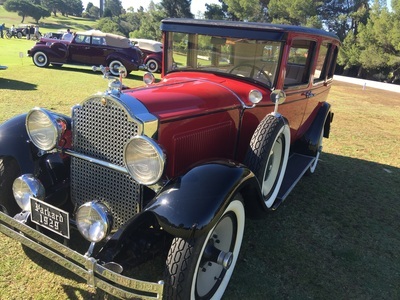 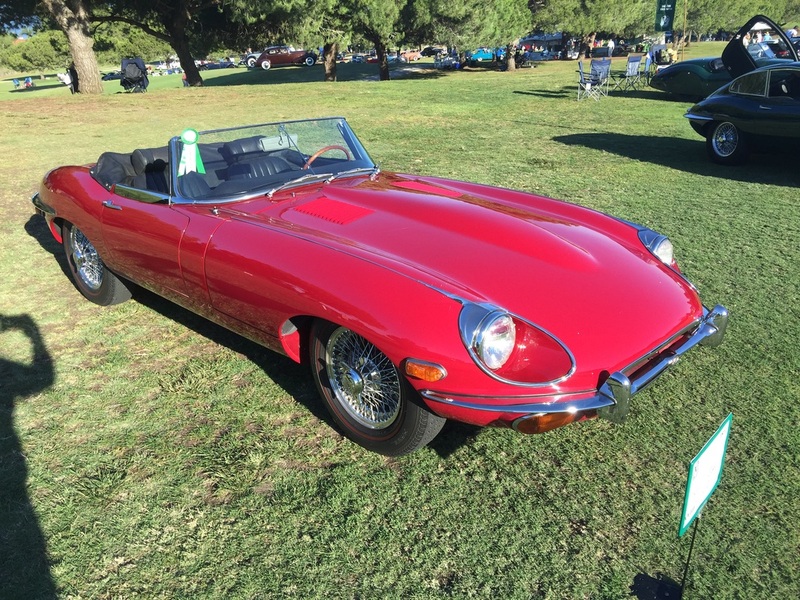 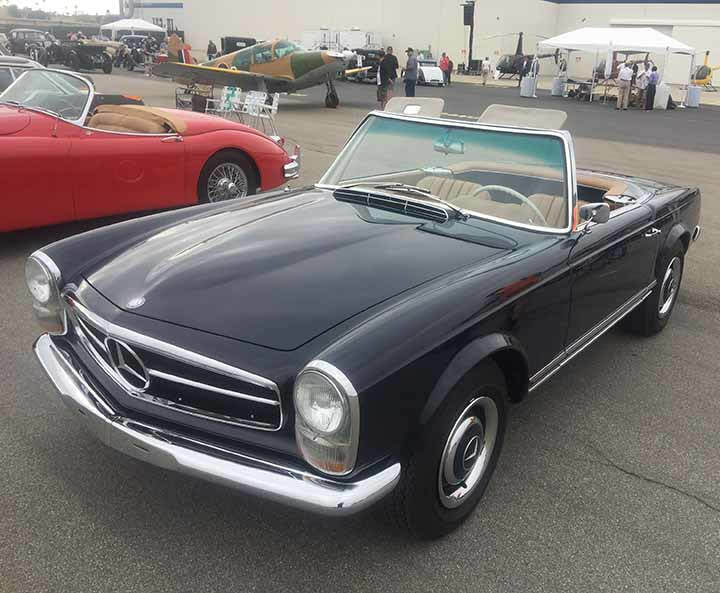 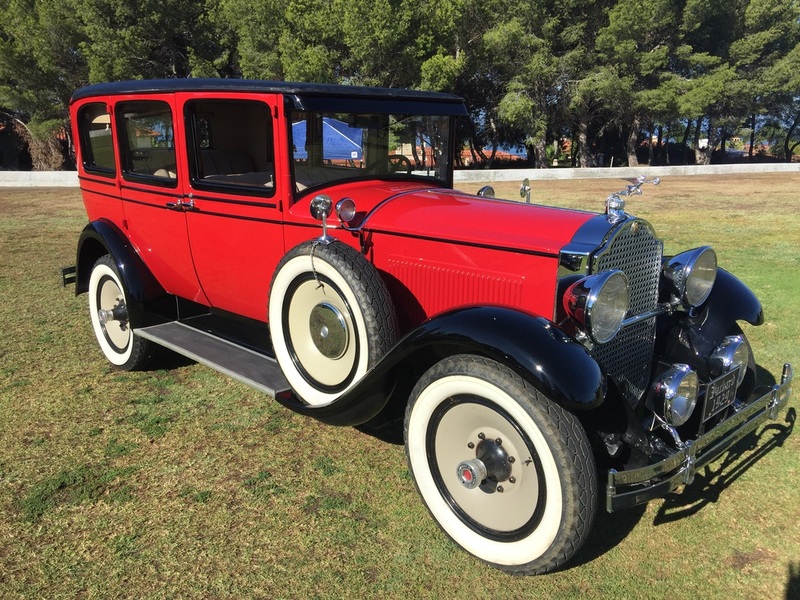 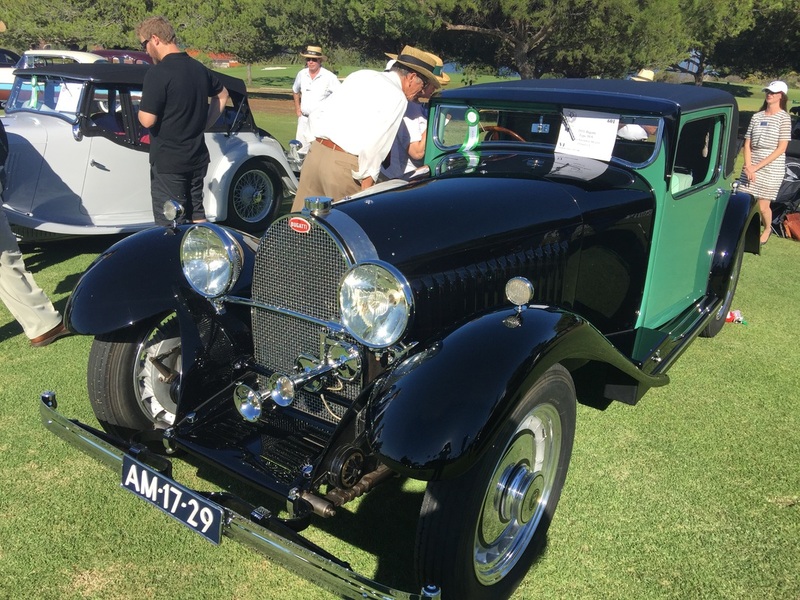 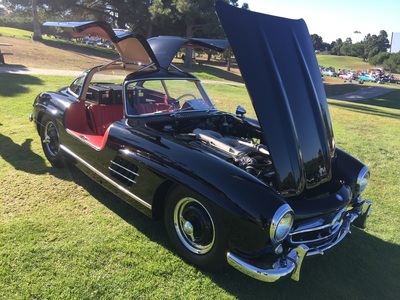 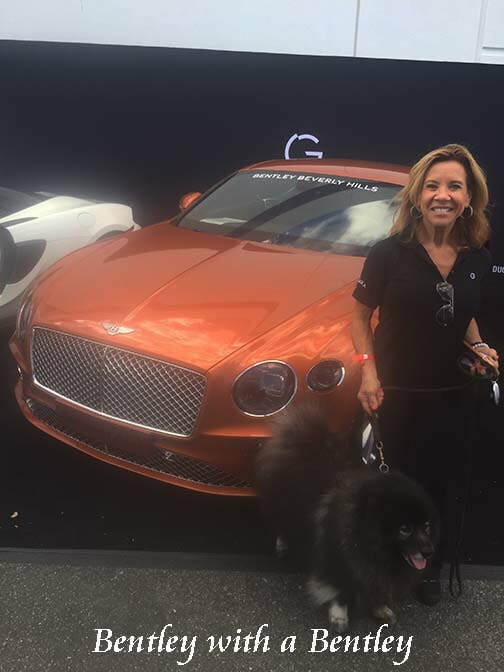 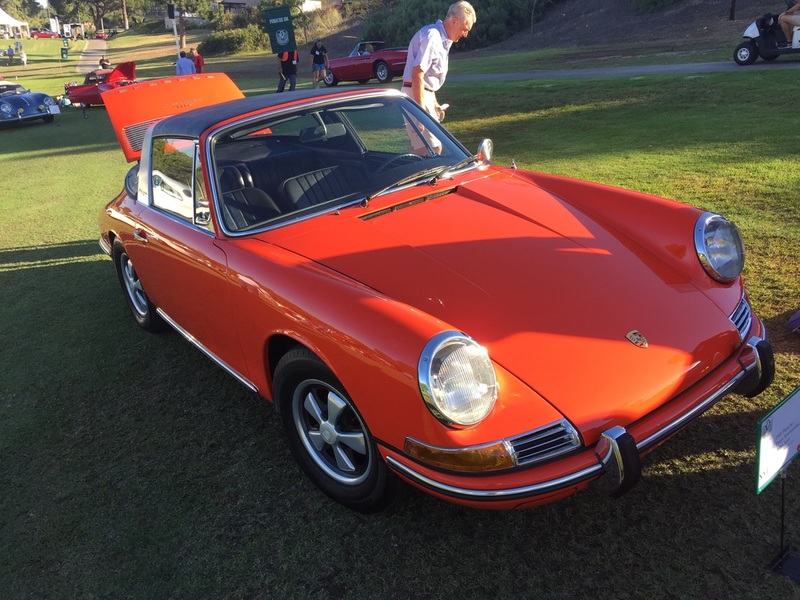 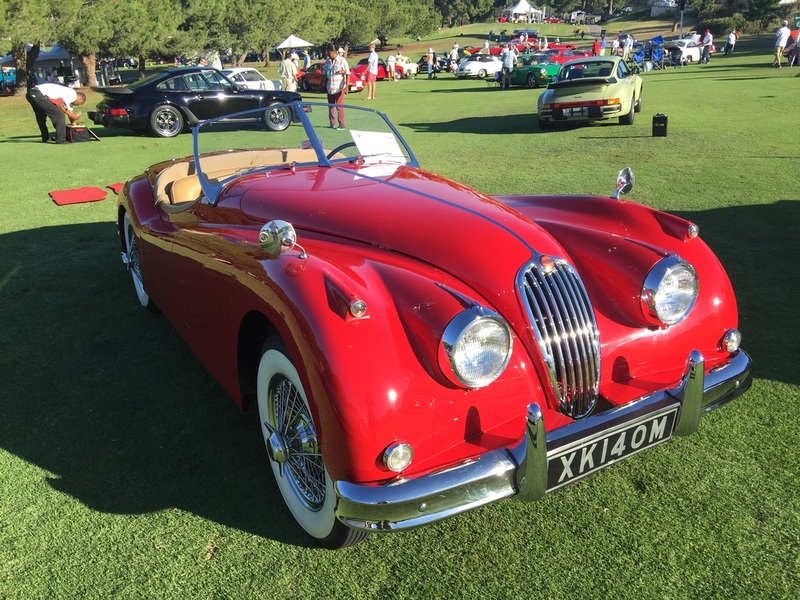 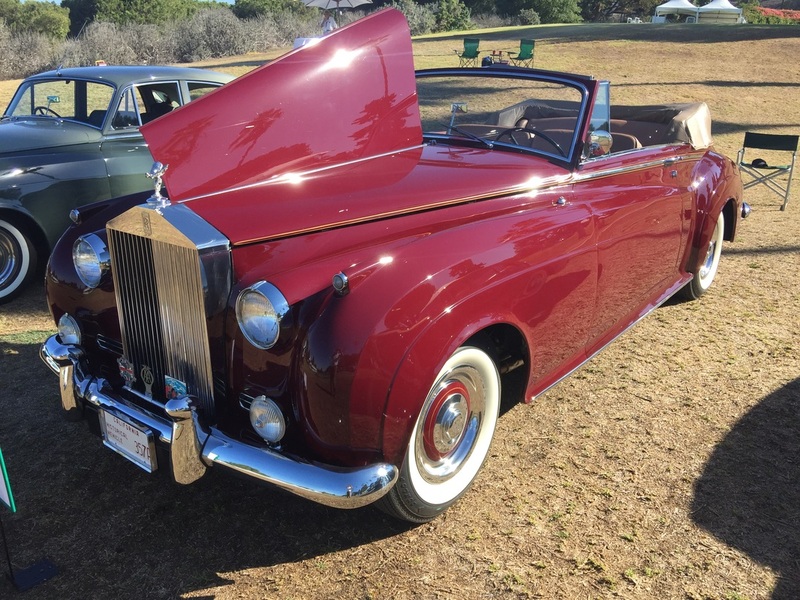 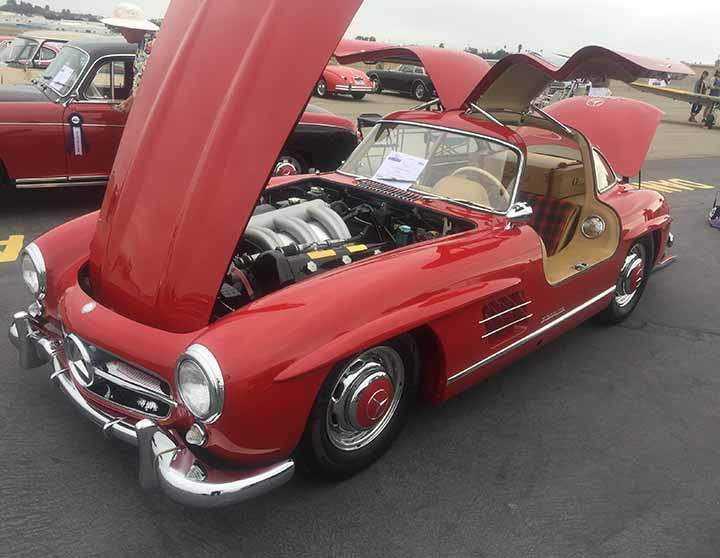 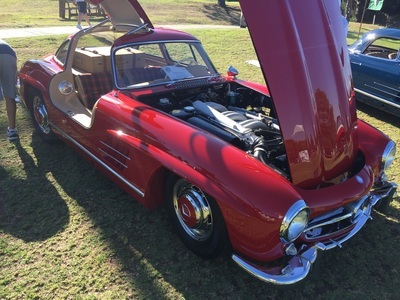 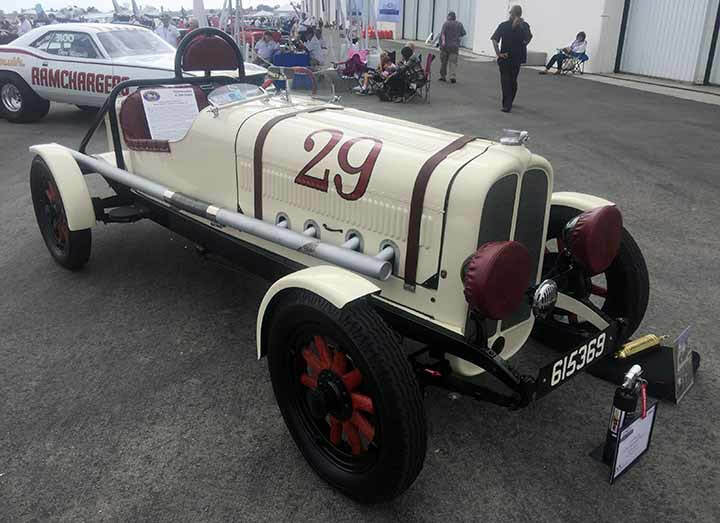 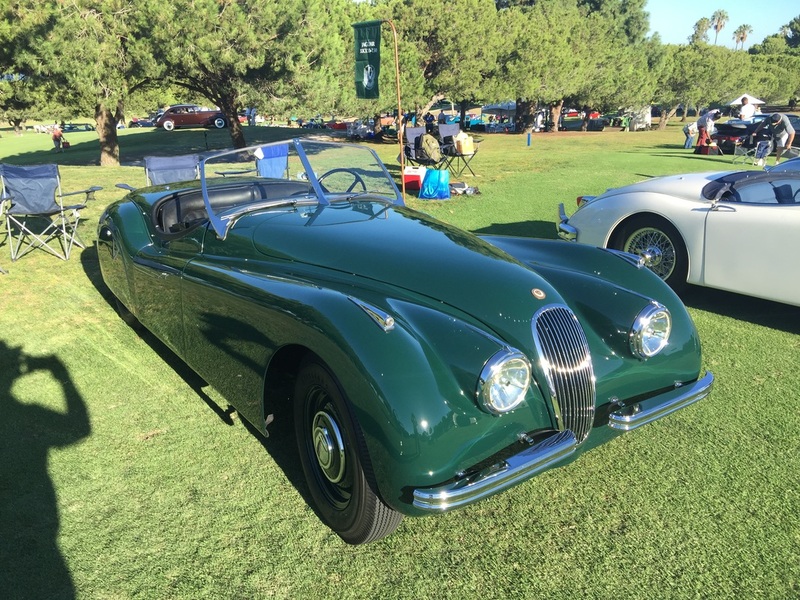 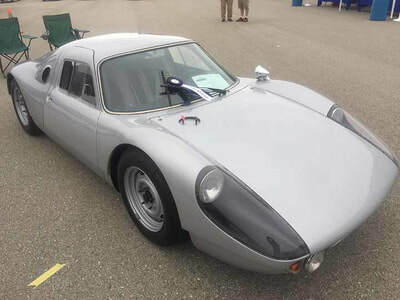 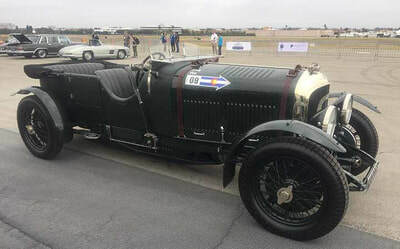 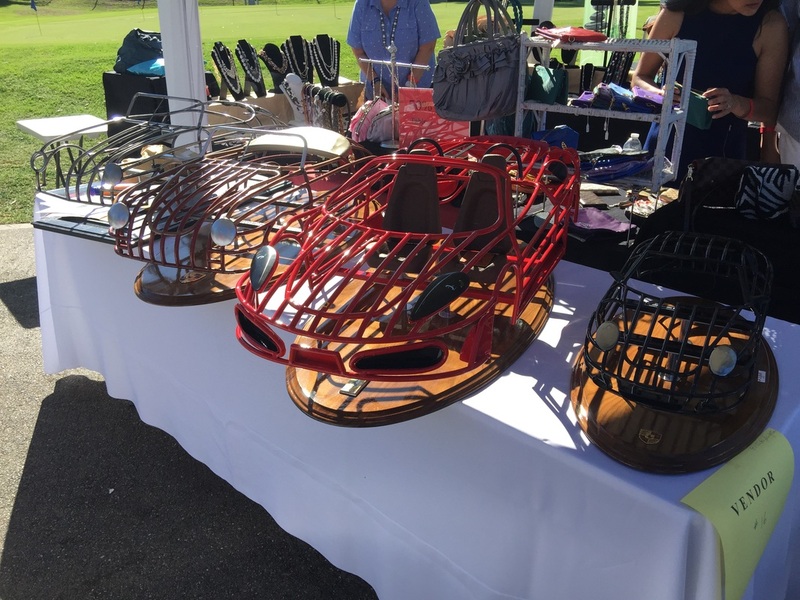 No matter how many concours events I go to, I always seem to a) enjoy myself b) meet new and interesting people and c) be in awe of the beauty of these cars. 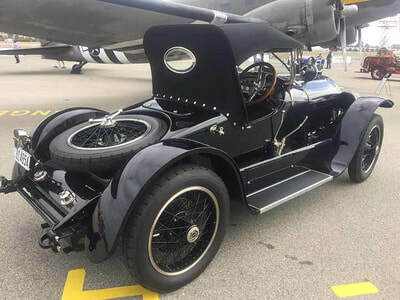 They truly do not make them like they used to. 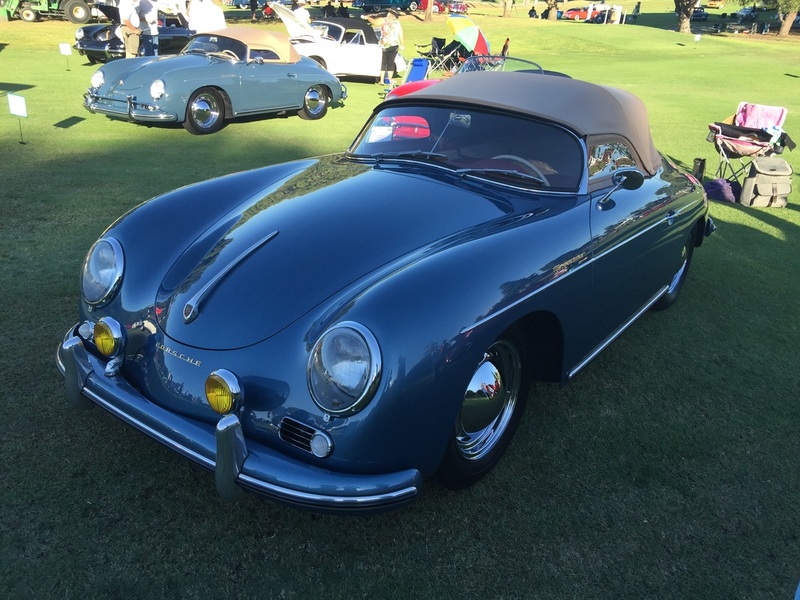 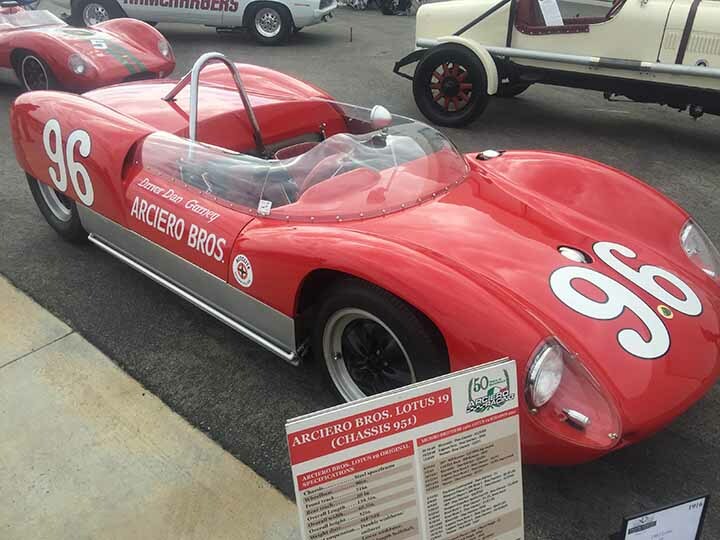 The lines, craftsmanship, elegance, bodywork, etc. You can never get tired of seeing these masterpieces. 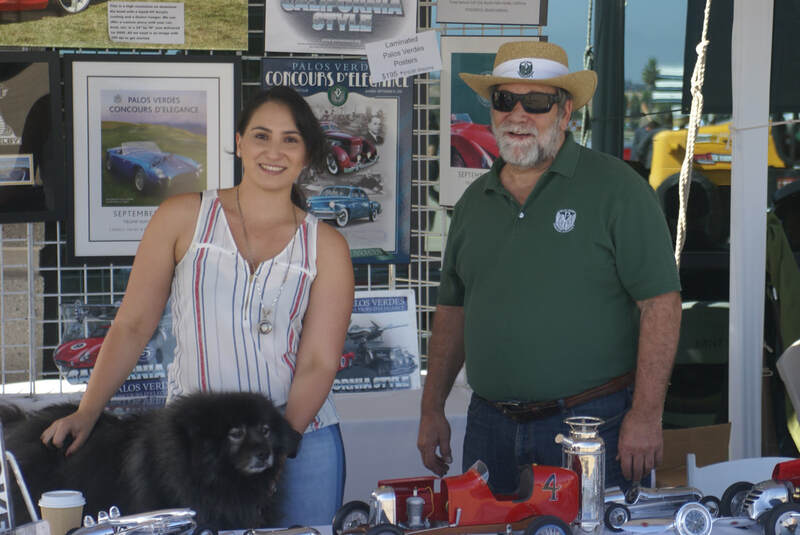 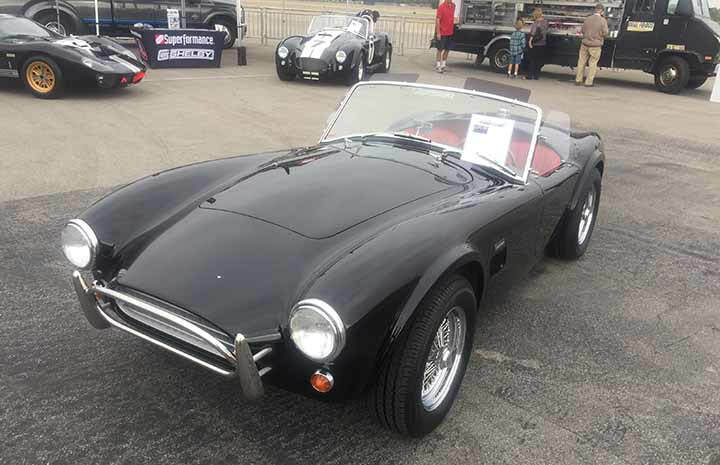 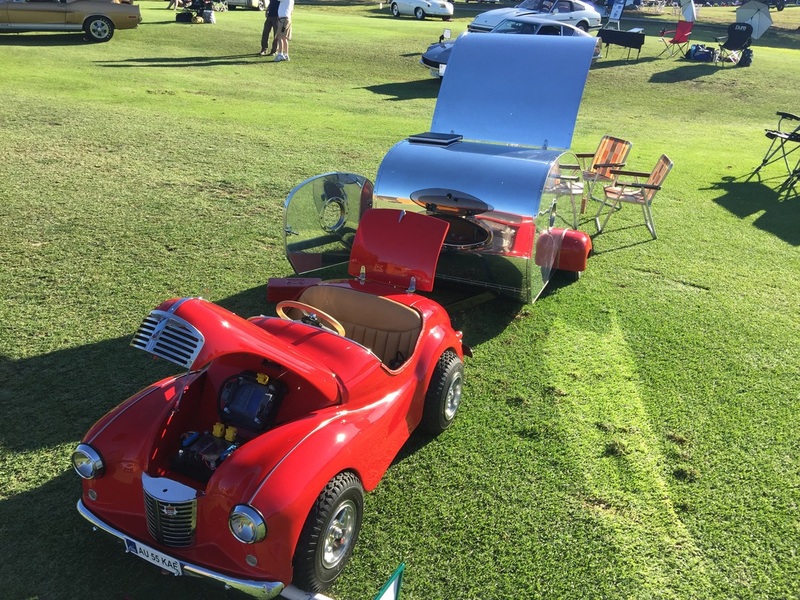 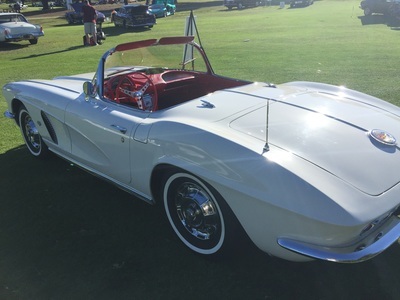 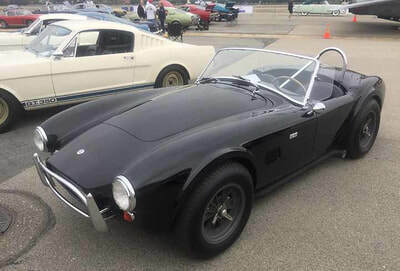 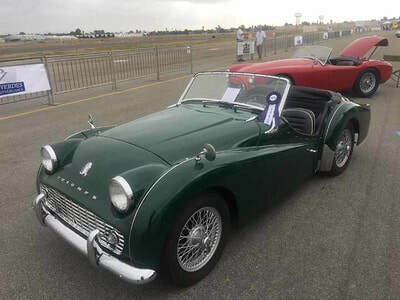 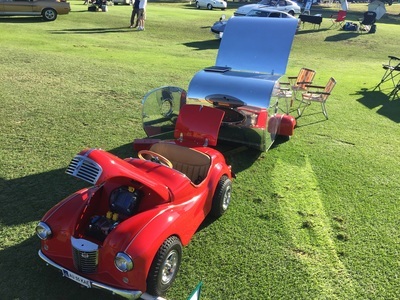 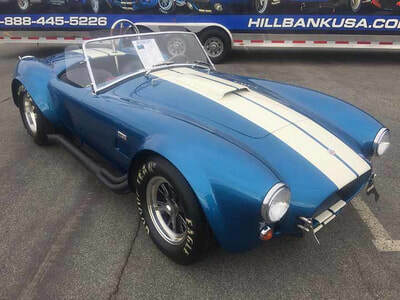 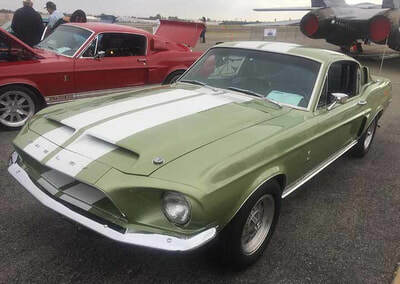 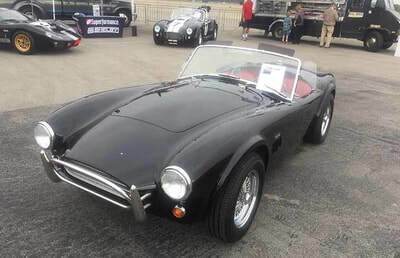 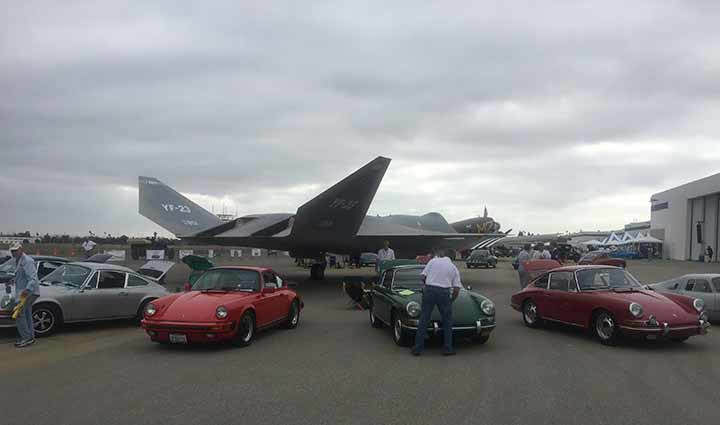 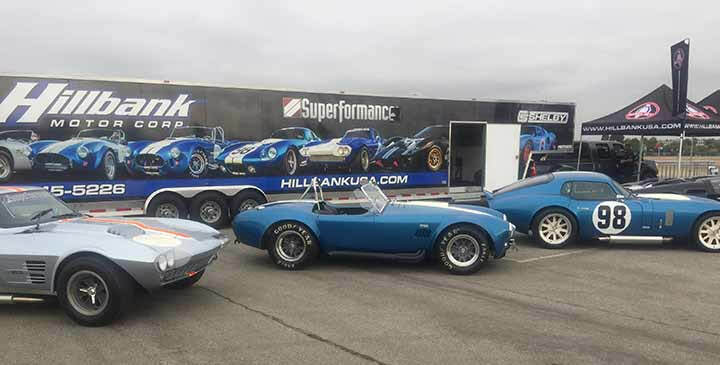 This past show I had the added company of my daughter, she unlike the younger generation (I hope) has an appreciation for these cars; and if she doesn't then she is either a) not my daughter or b) a very good actress. 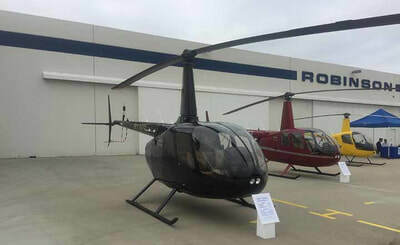 Its amazing what you can learn about these cars by going early or well being media and talking to them. 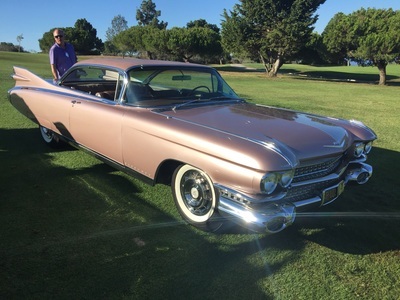 If you are respectful and nice you can learn a lot and the best part is the people are happy to explain and educate you. I have met many owners and I cant some to be my friends. 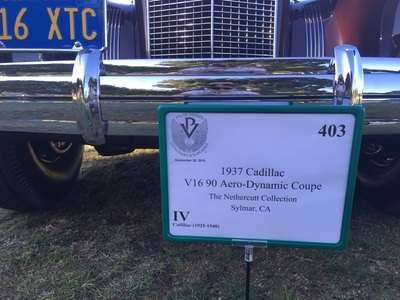 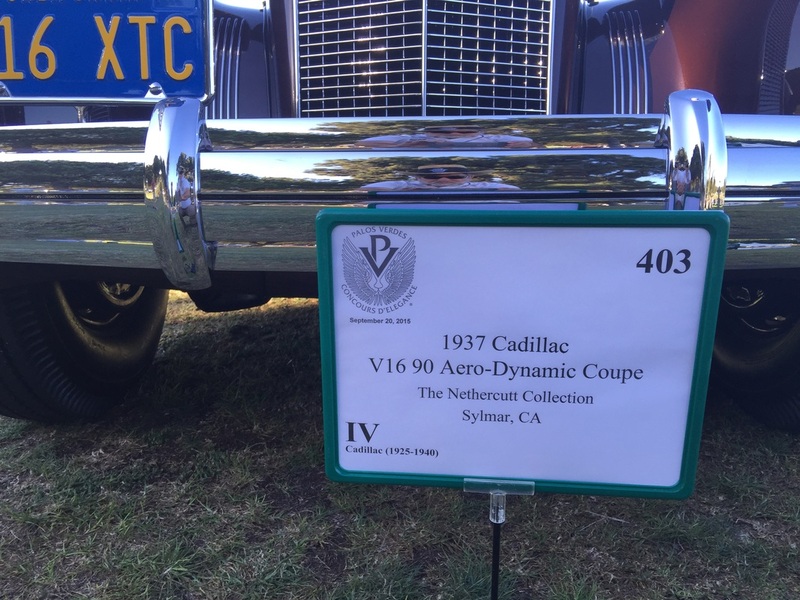 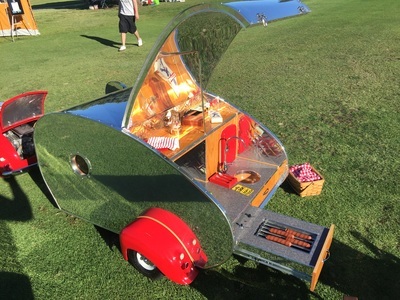 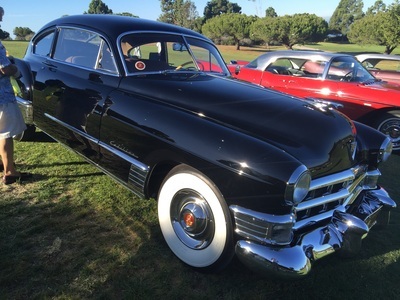 This year the concours honored the Tucker 48 and (inset here). 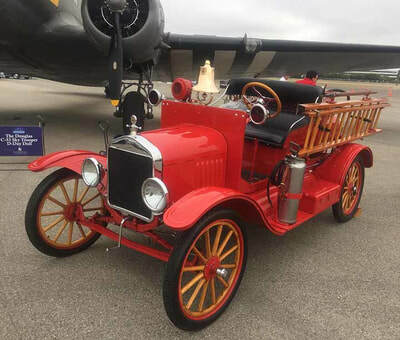 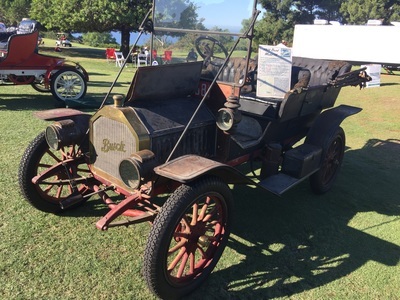 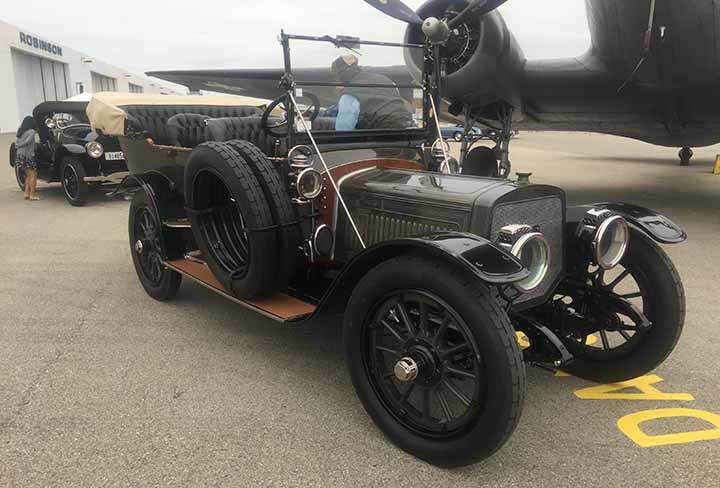 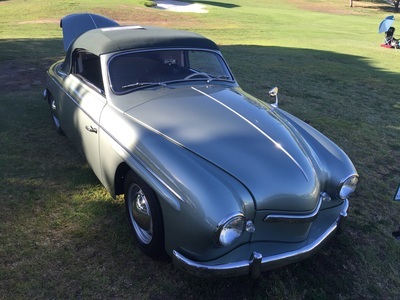 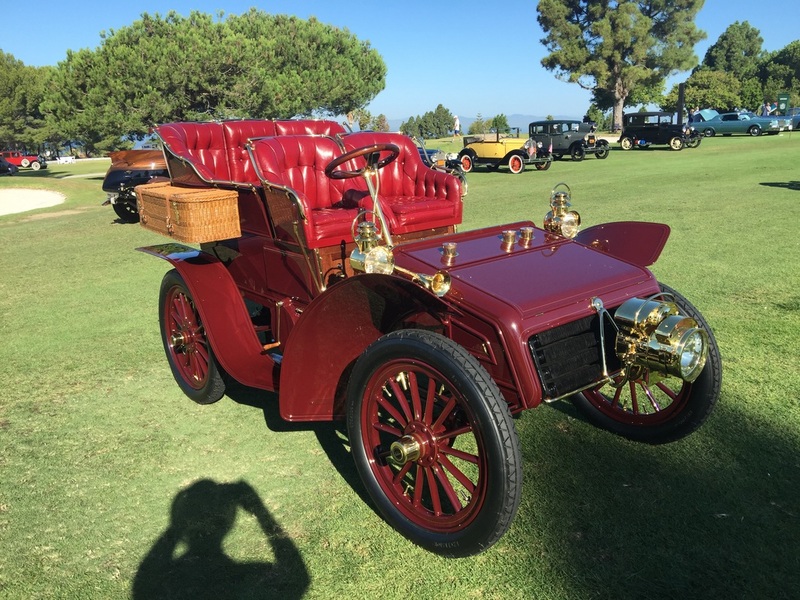 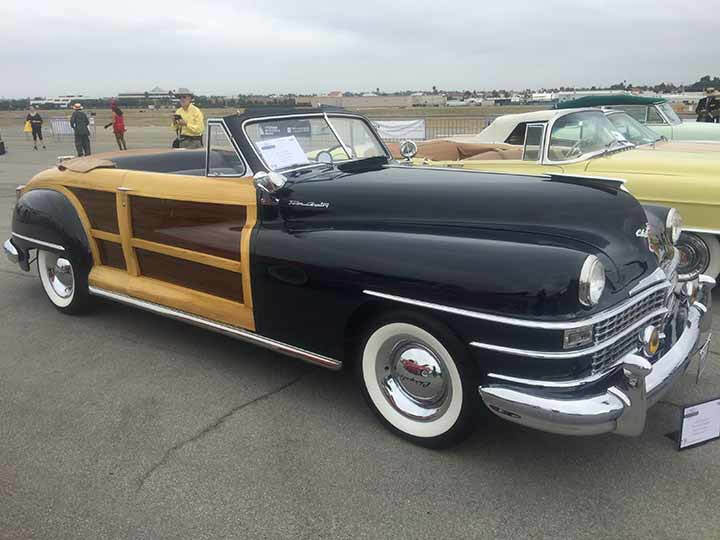 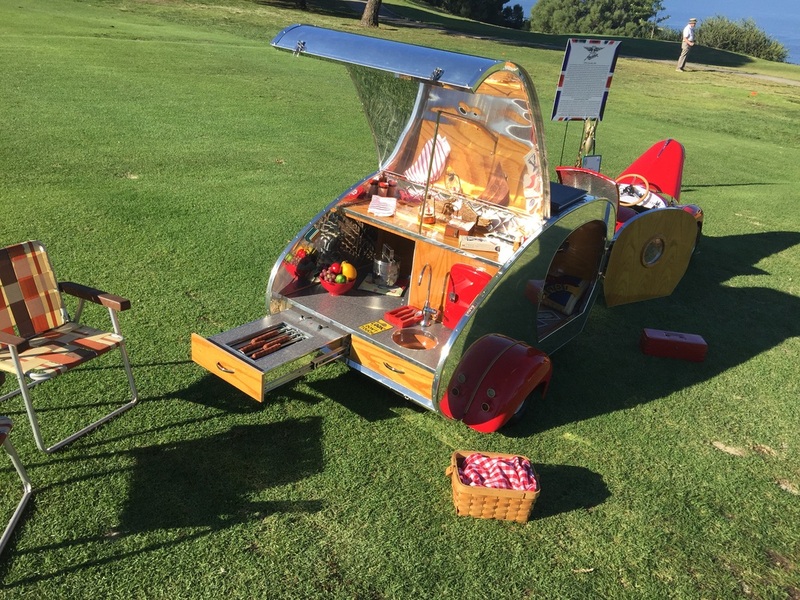 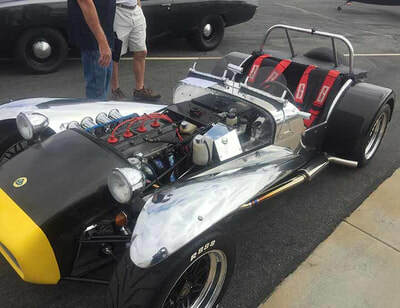 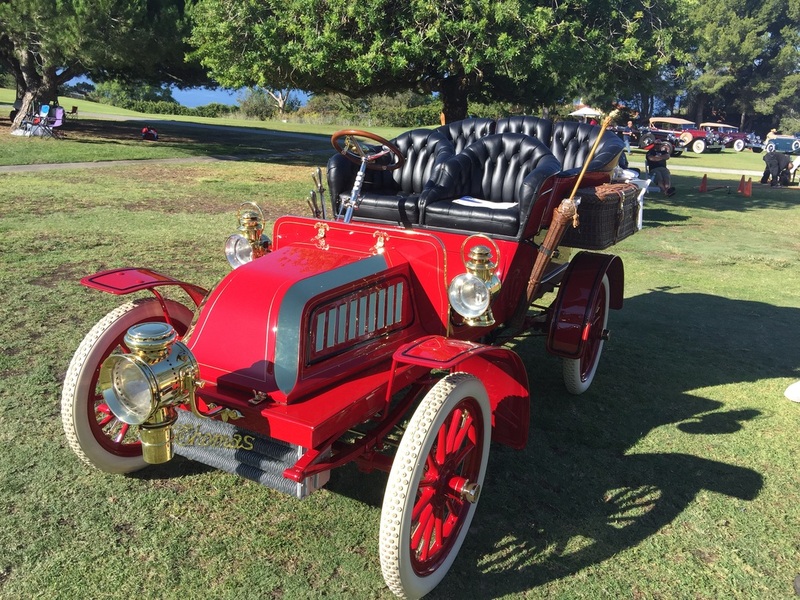 The Tucker is an incredibly innovated car for its time period. 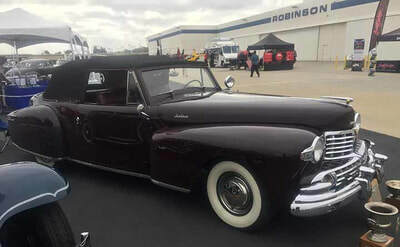 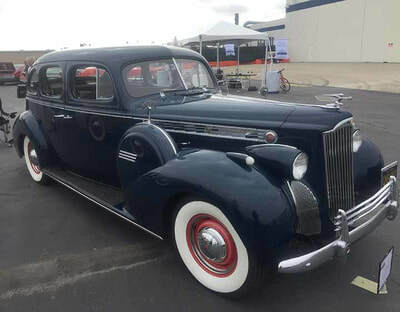 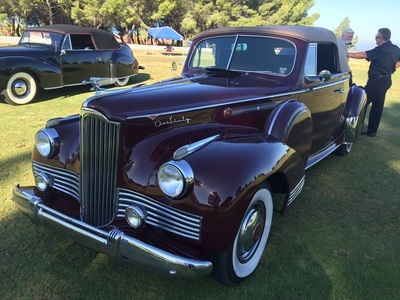 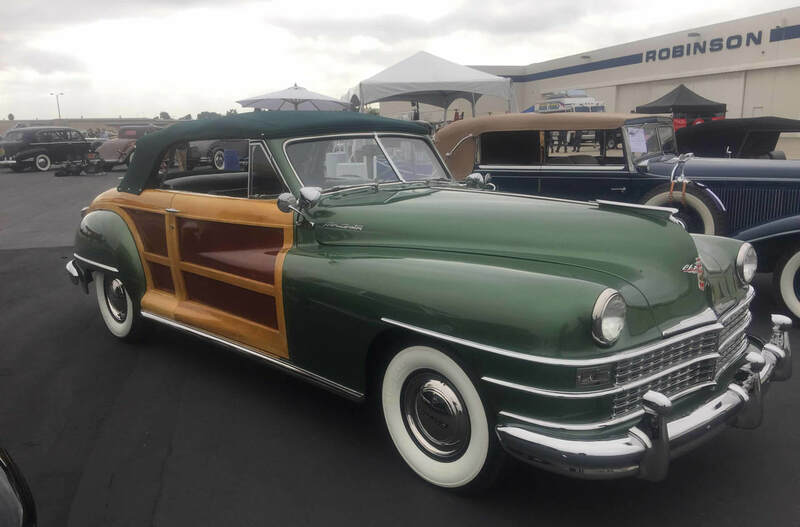 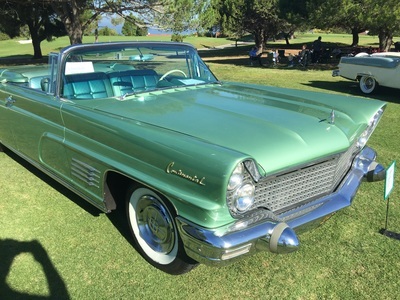 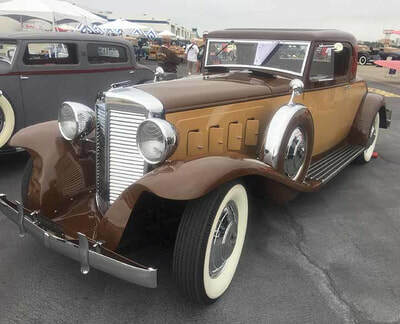 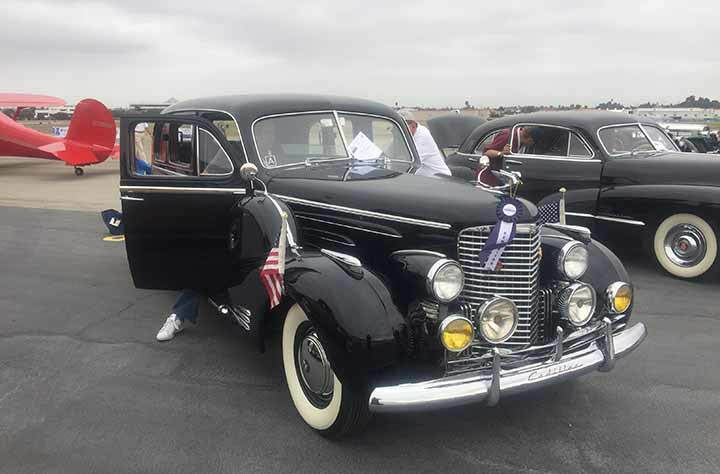 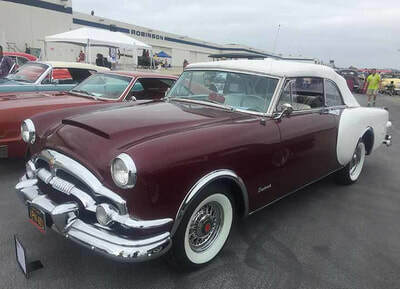 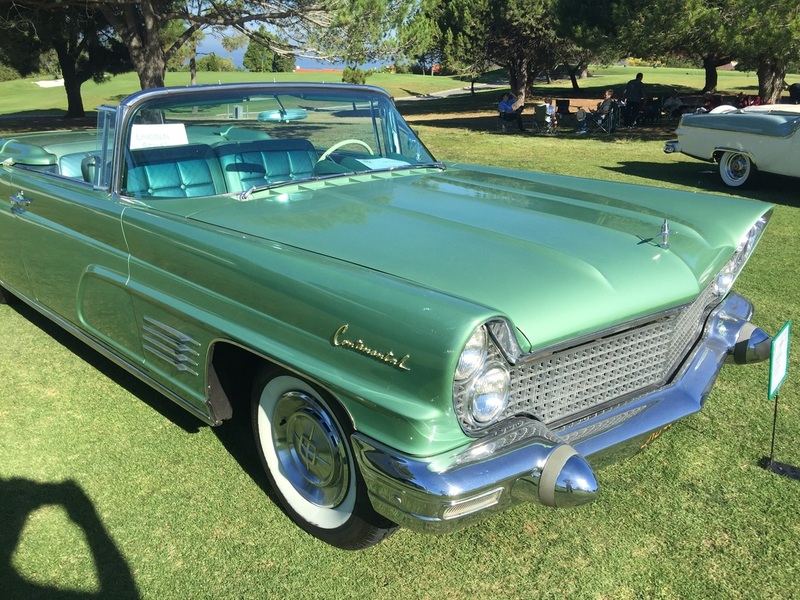 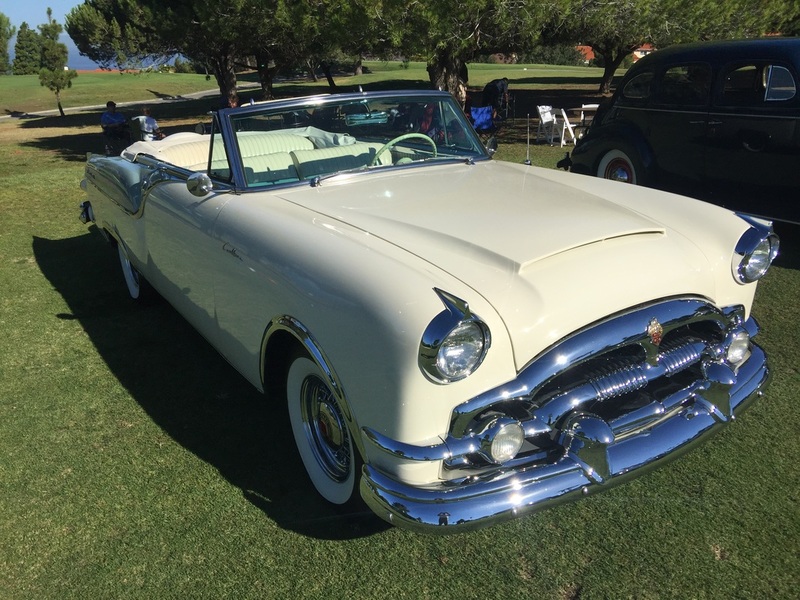 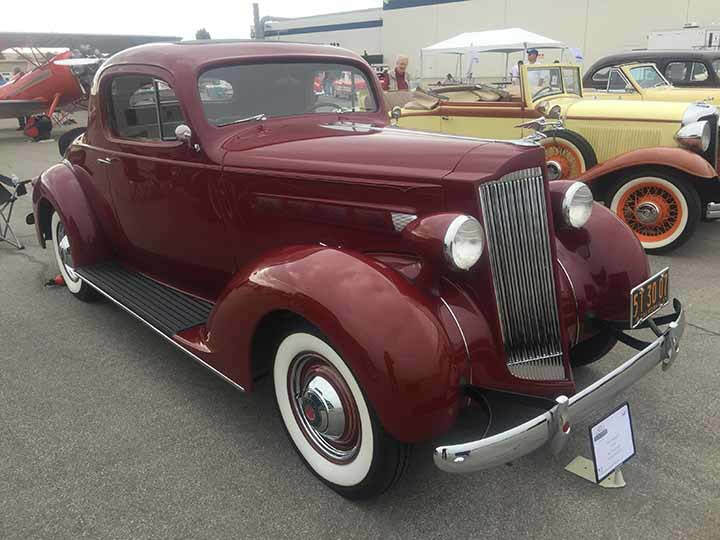 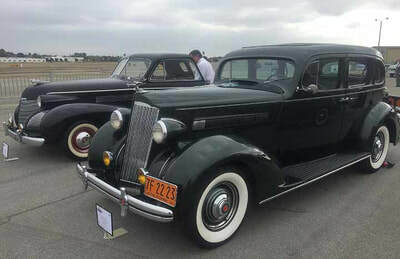 It is a shame that Tucker could not continue to produce his cars, I am certain if he had then America might still be a large competitor in the car market. Imagine what his cars would be like now, considering he was ahead of his time then. 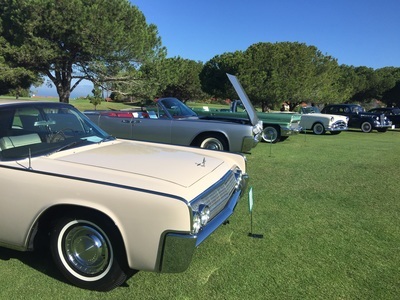 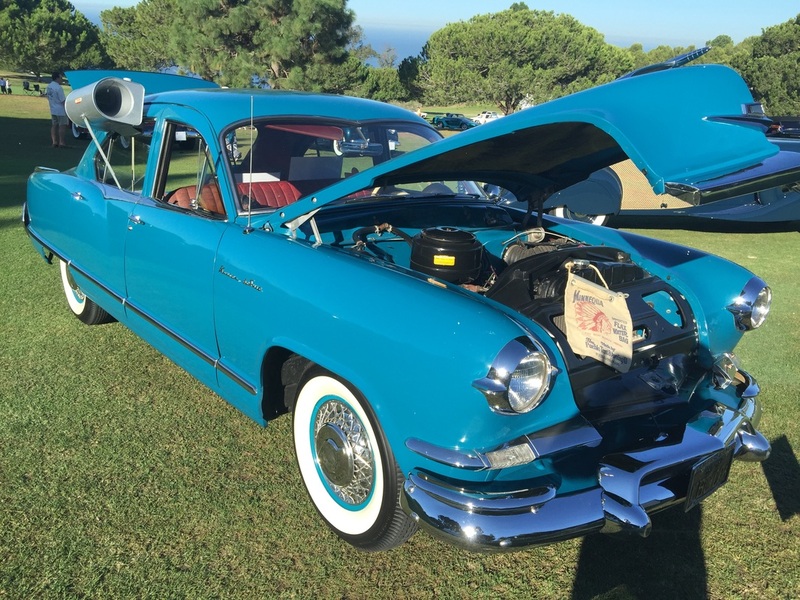 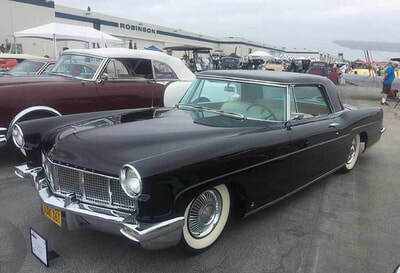 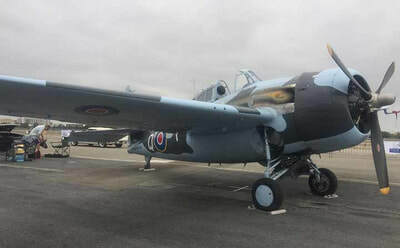 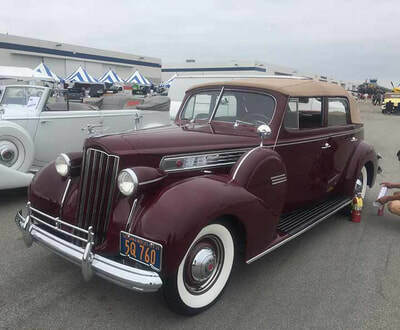 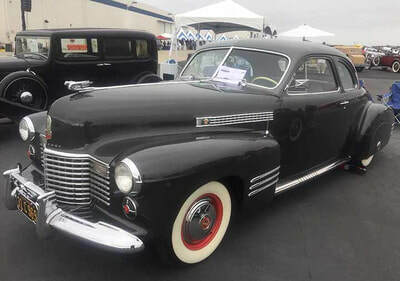 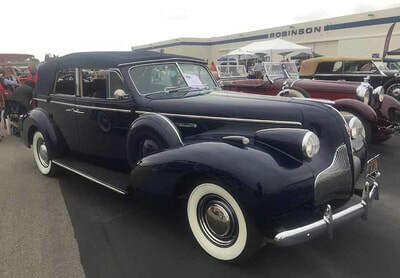 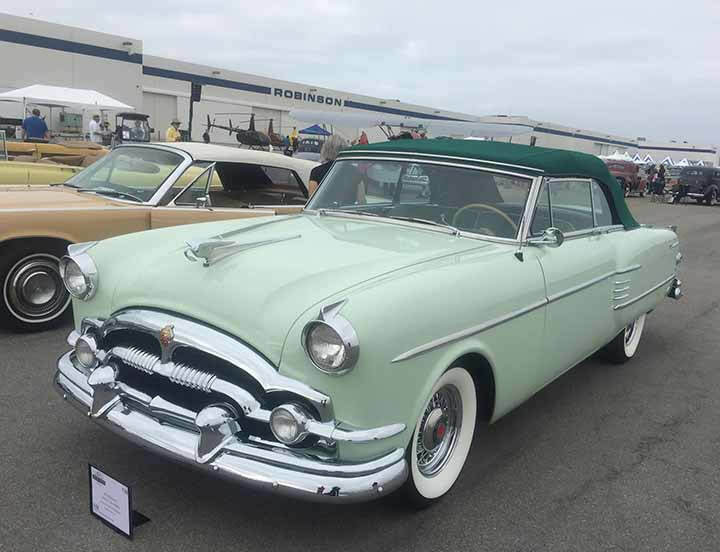 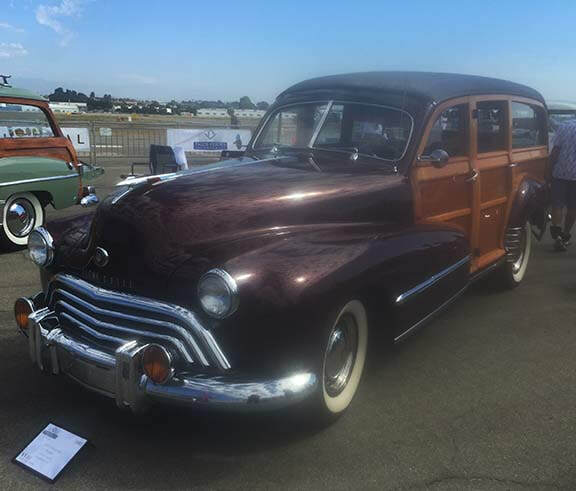 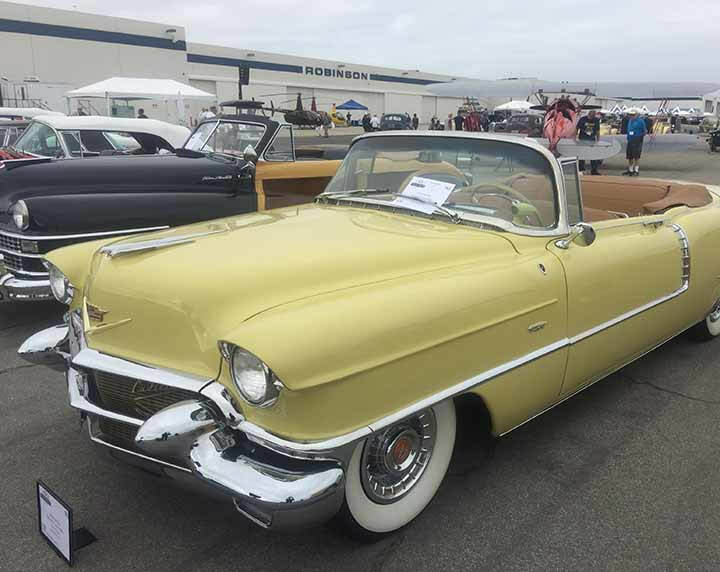 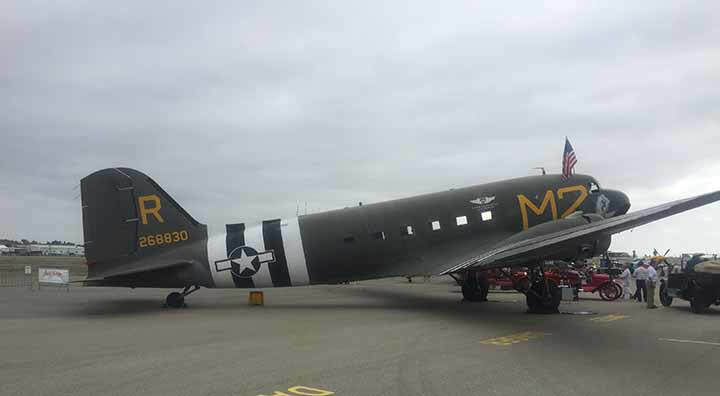 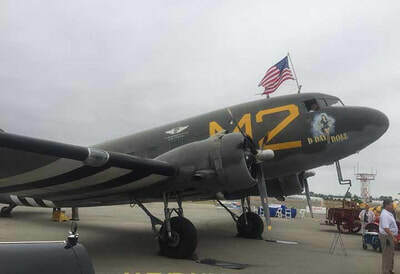 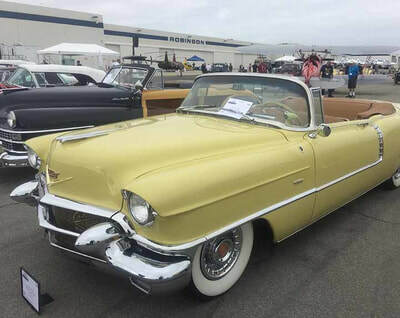 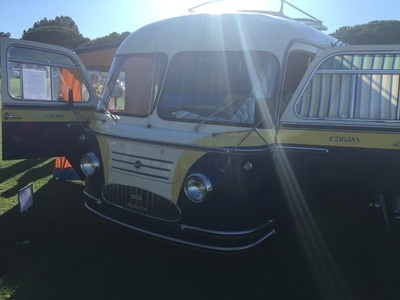 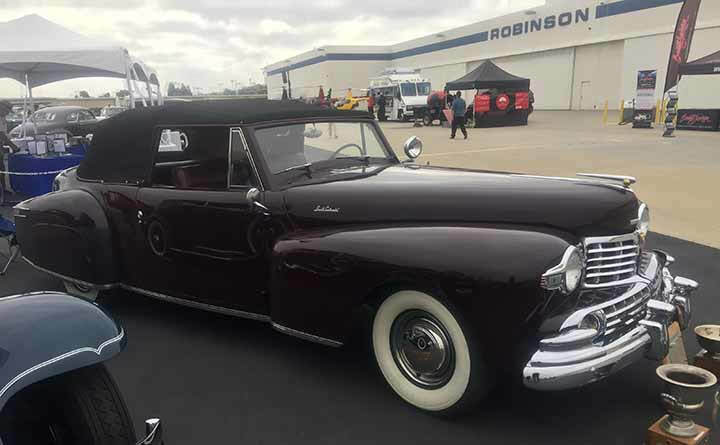 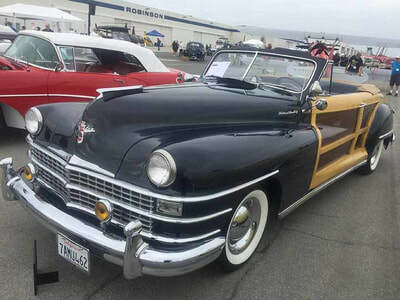 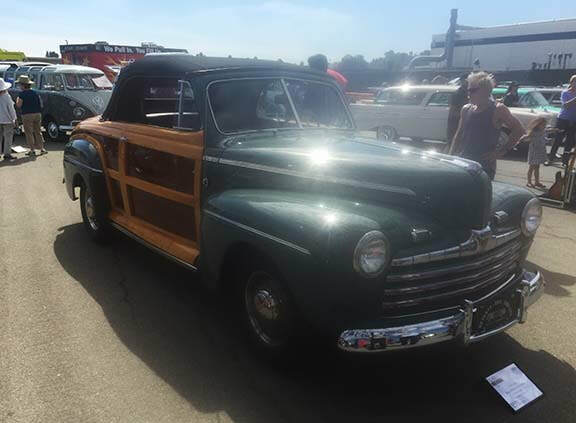 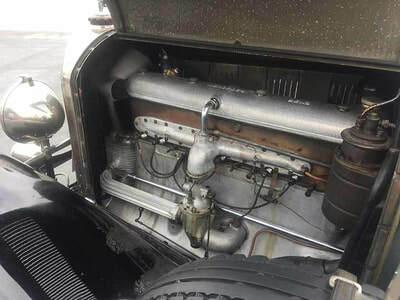 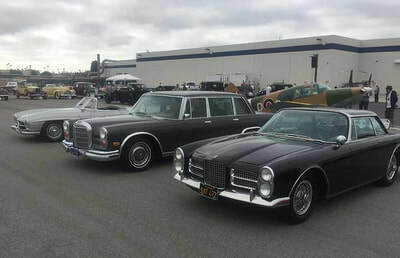 There were a total of 3 Tuckers present and one owned by Eric, a real treat to see. 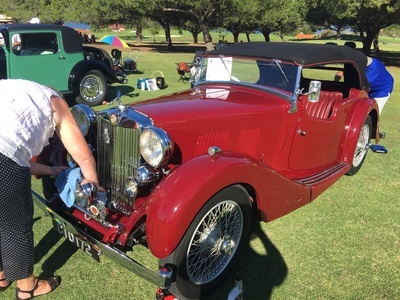 Eric owns the family's original car and rarely takes it to events. 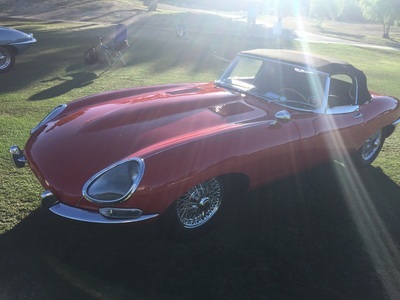 It was a real treat to see his car considering he only decided he would be able to attend the night before at 7pm. 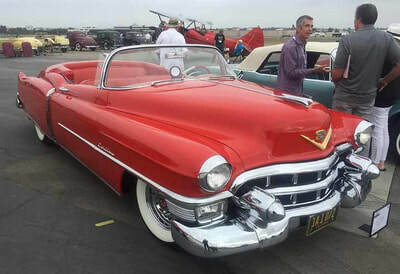 Eric took home Best in class, and there is not a doubt in my mind that he deserved it. When going to these shows I am incredibly biased, newer cars do not interest me so I bypass them all and head straight to the true classics. 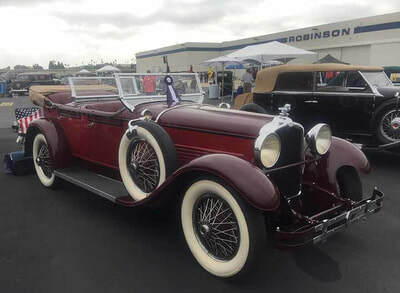 My photos below in the slide show are some of my favorite cars at the show.